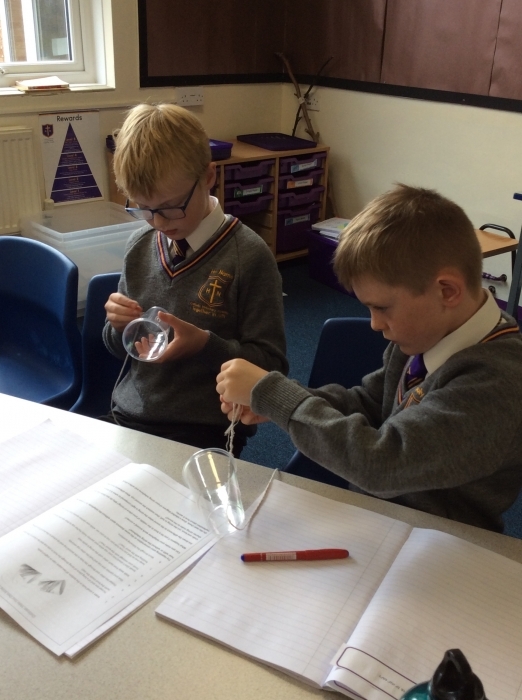 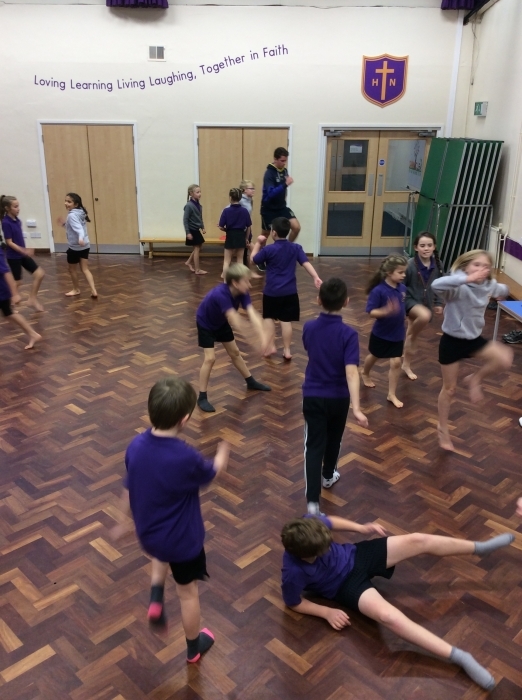 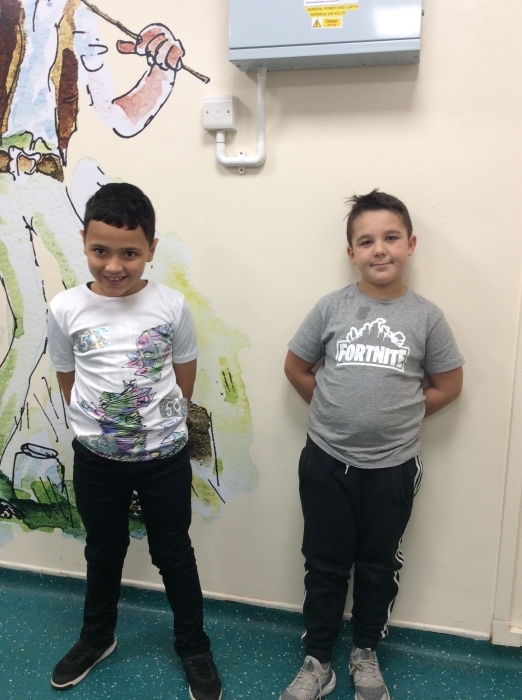 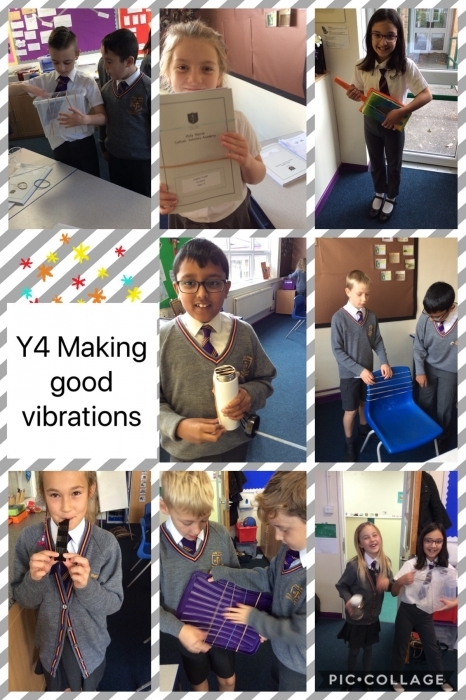 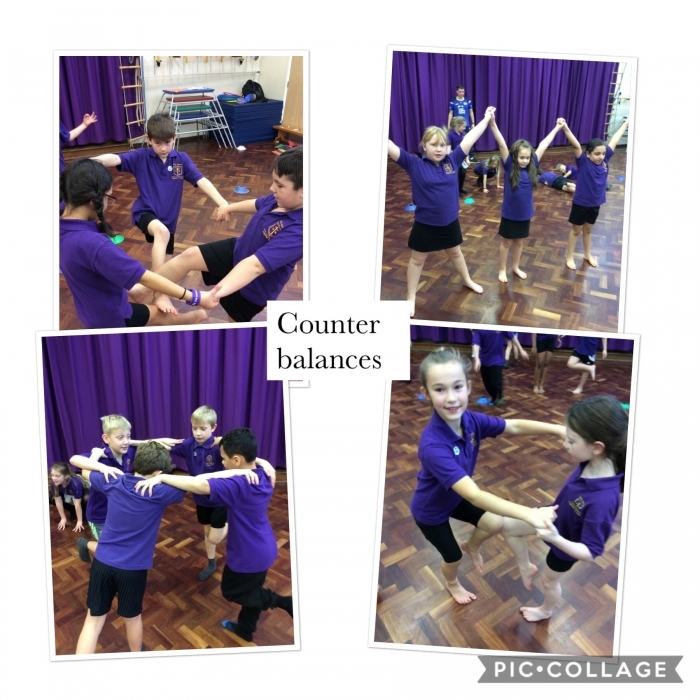 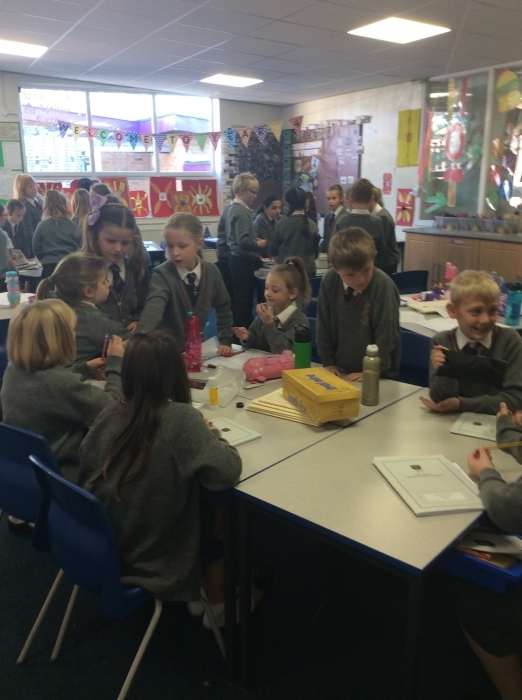 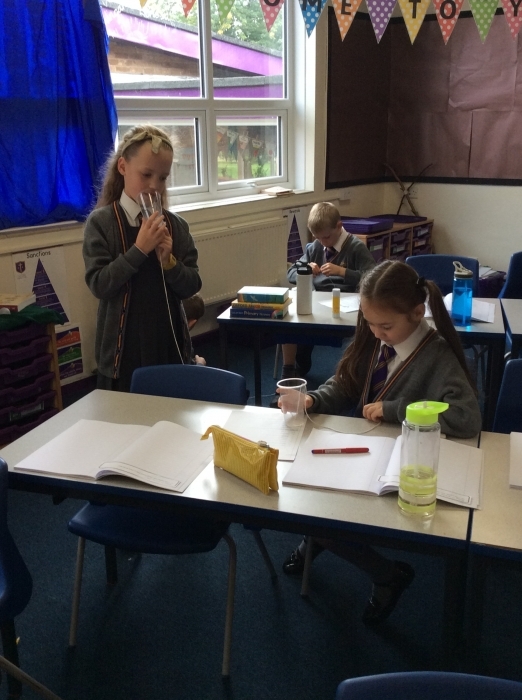 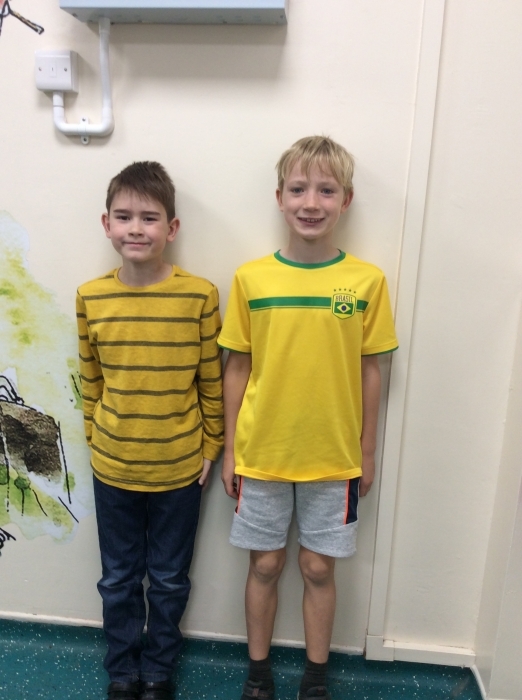 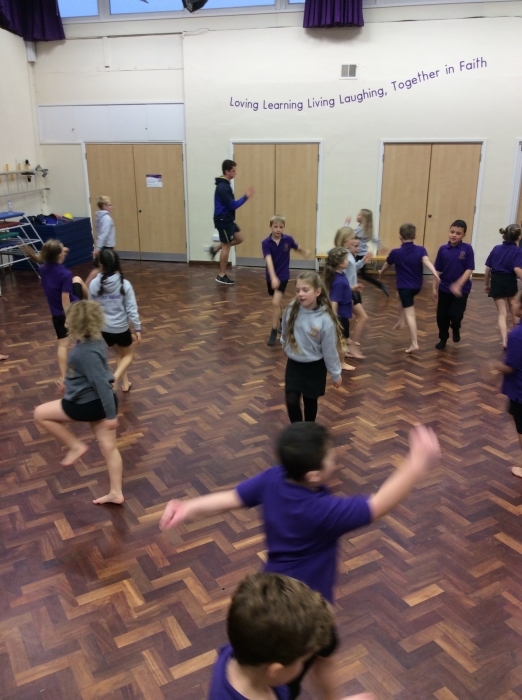 We are a fantastic class who are taught by Mr Stewardson and Mrs Milner. 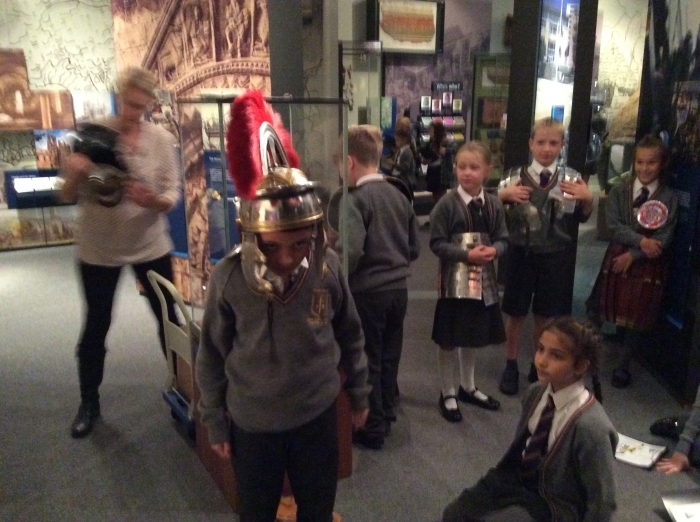 You'll be able to see lots of things we do on Twitter and on this web page so keep checking. 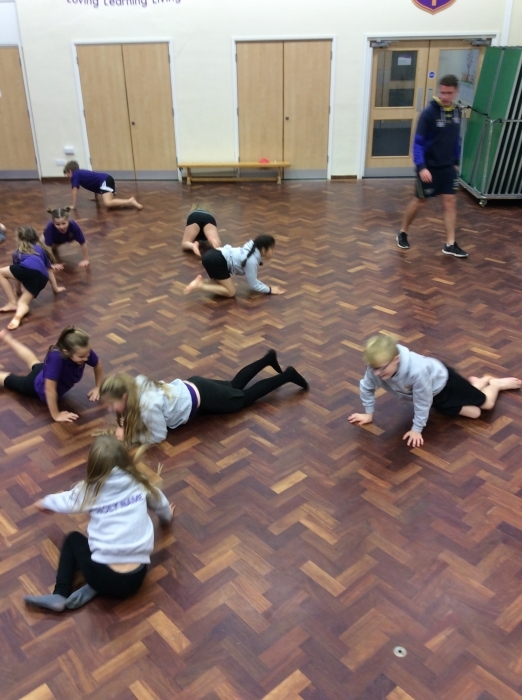 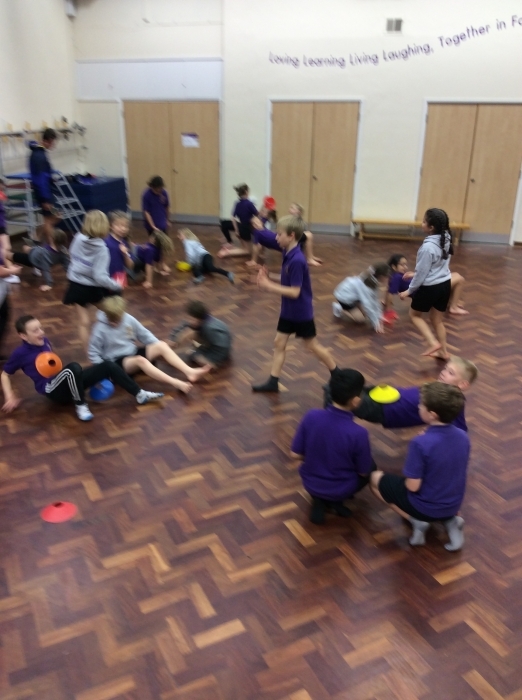 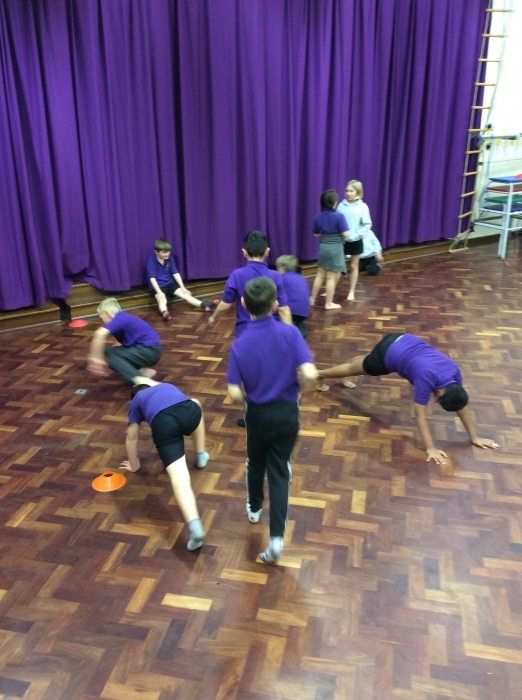 We will be doing PE on a Tuesday afternoon so make sure you have your kit and trainers in school. 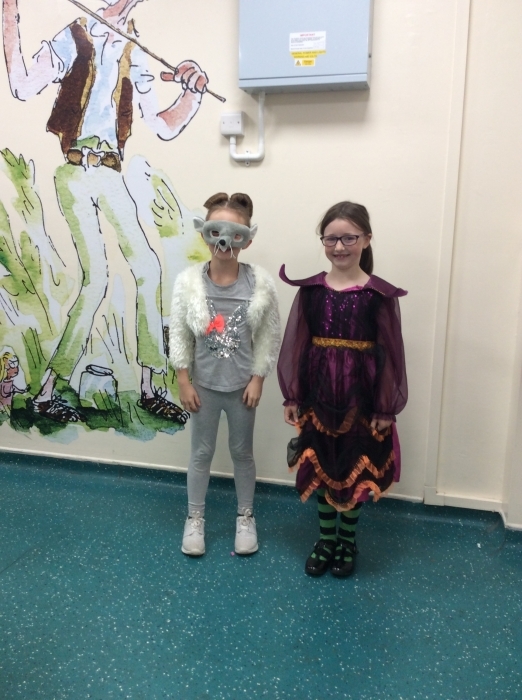 We will be swimming every Friday so make sure you bring your costumes. 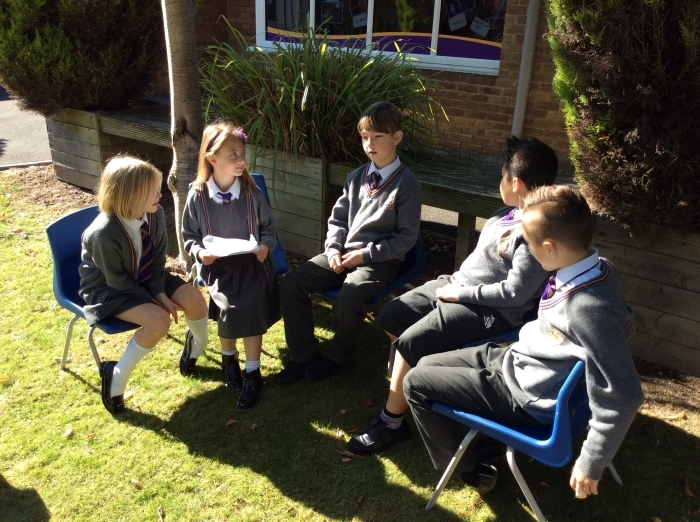 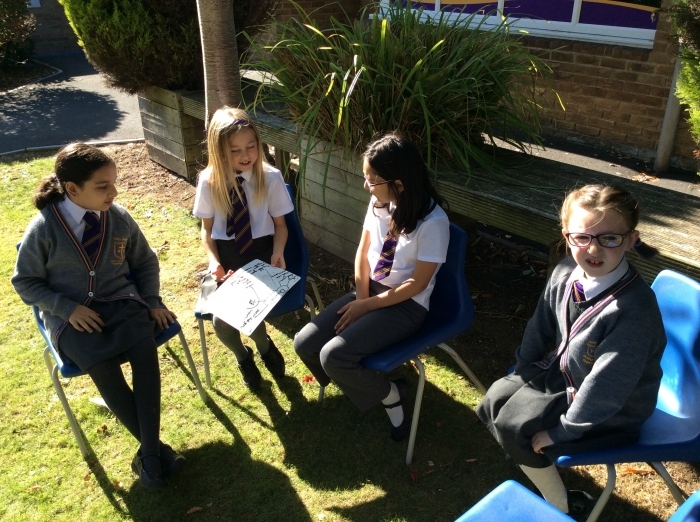 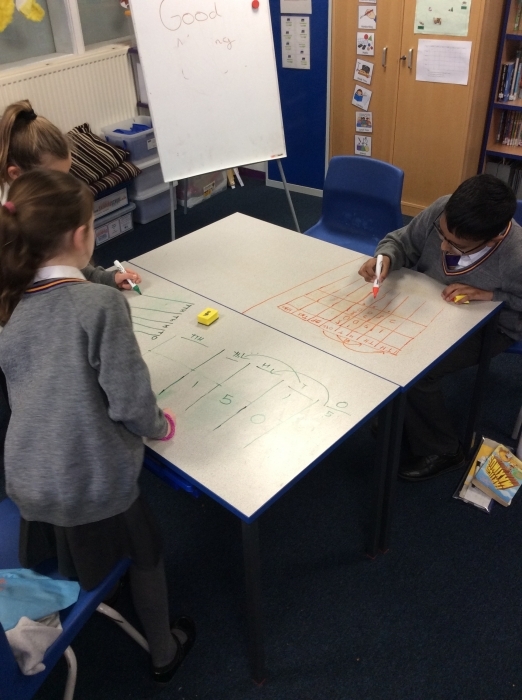 We do times tables on a Monday, Wednesday and Friday. 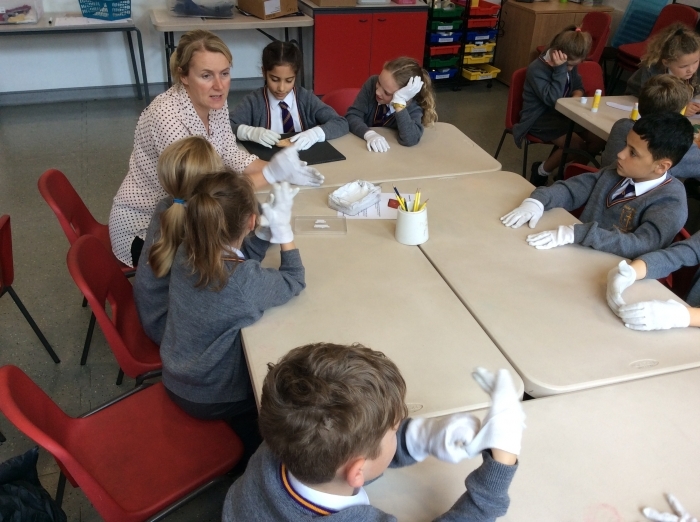 Reading books are changed on a Tuesday and we will also visit the library on a Thursday every other week (books can be changed more regularly). 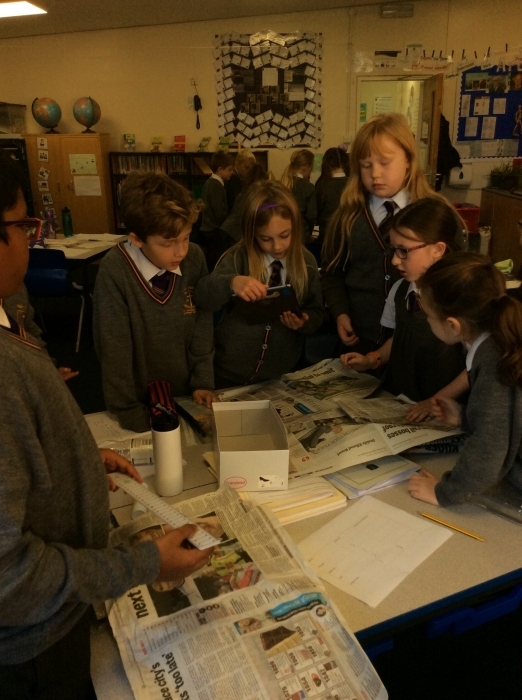 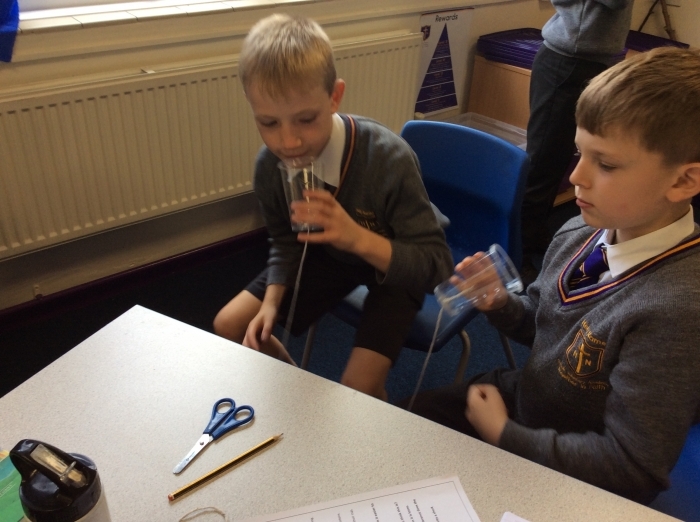 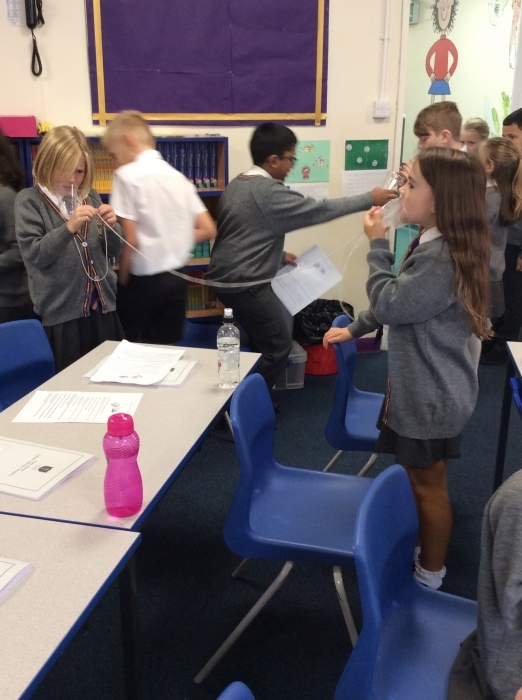 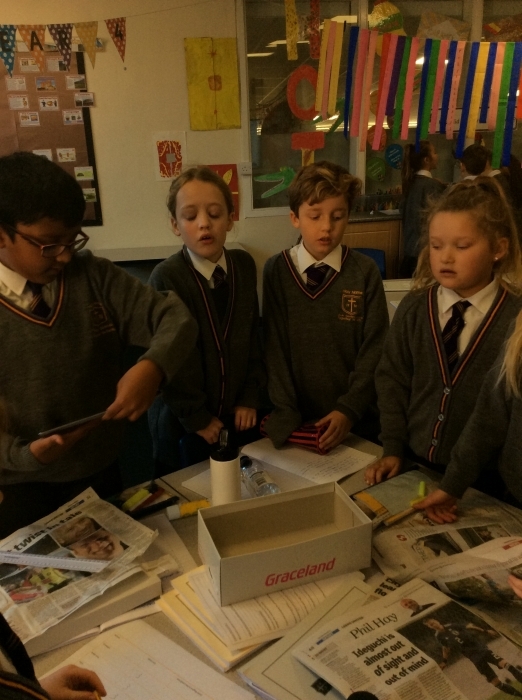 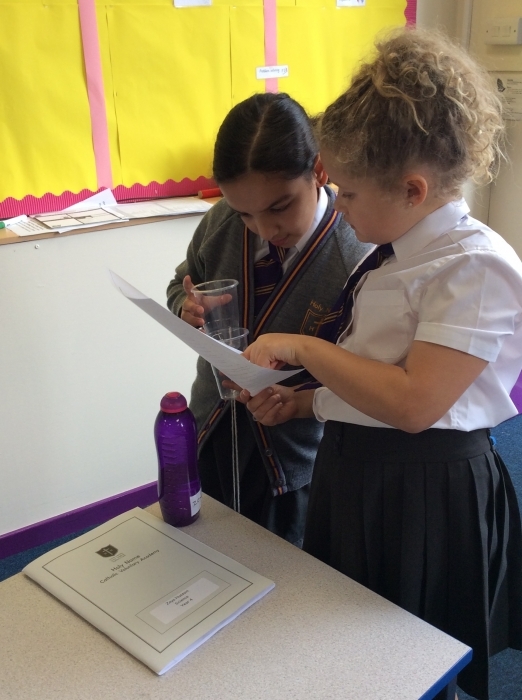 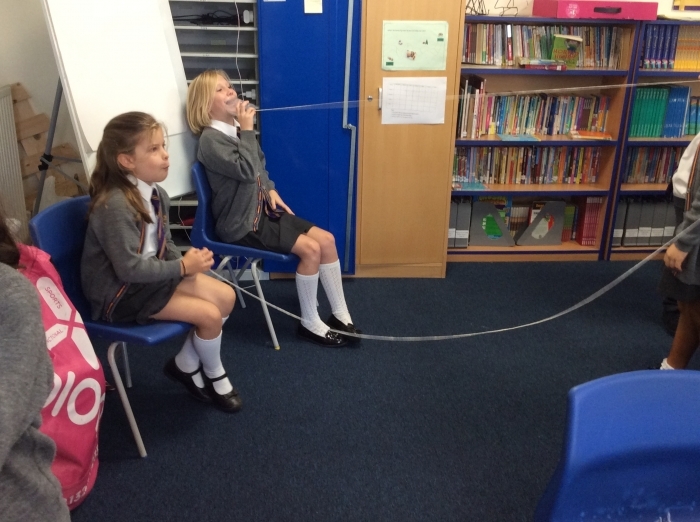 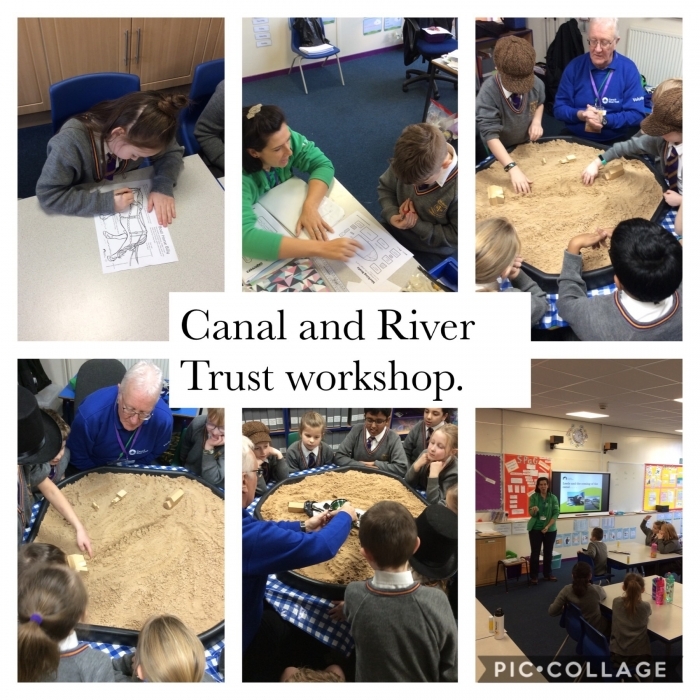 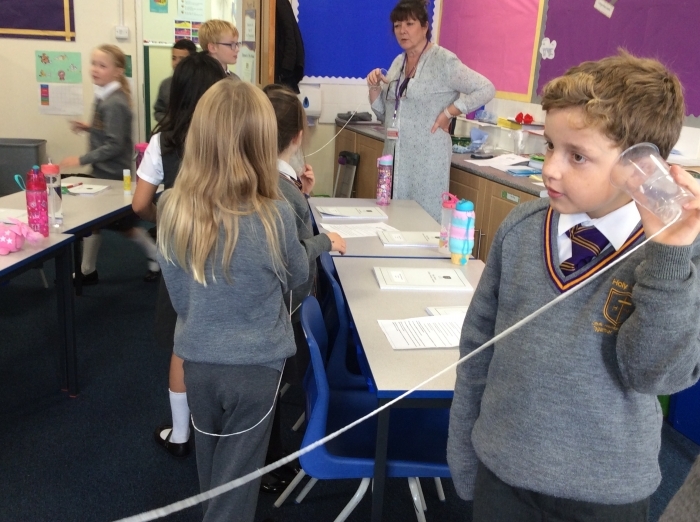 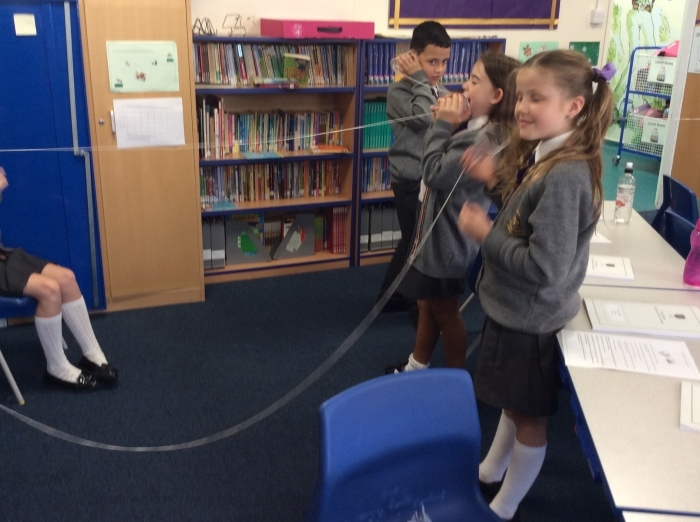 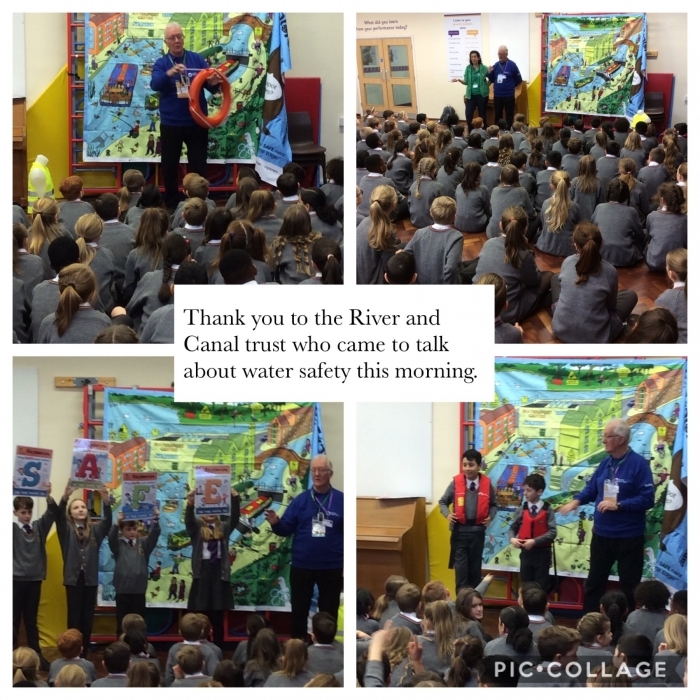 Year 4 began their new topic 'Rivers and Cities' with an assembly and workshop delivered by The Rivers and Canal Trust. 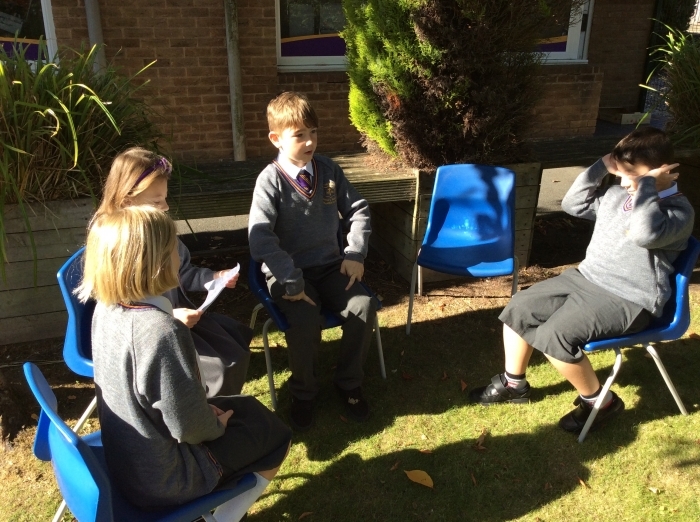 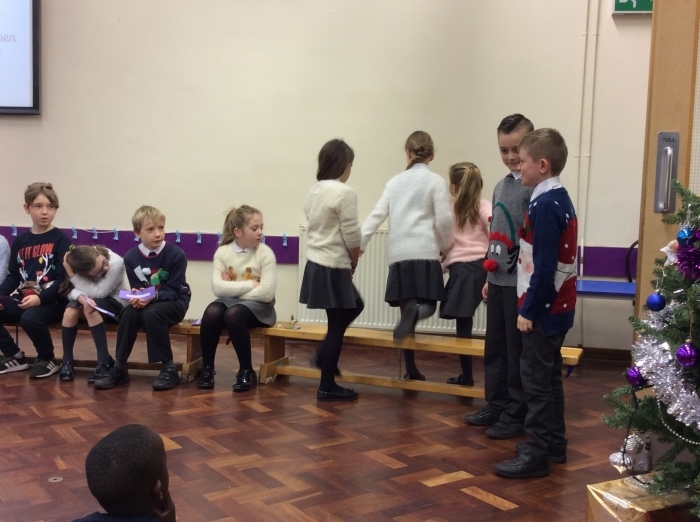 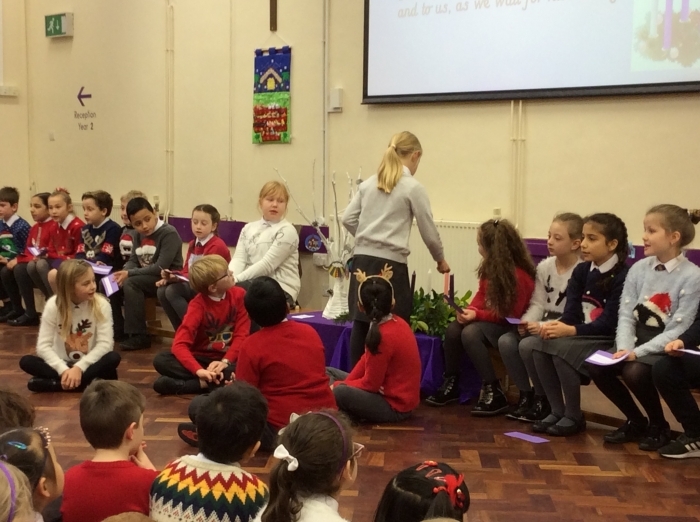 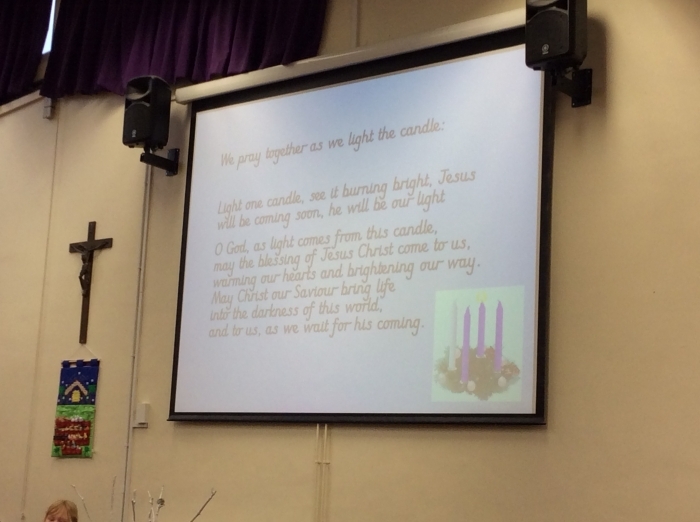 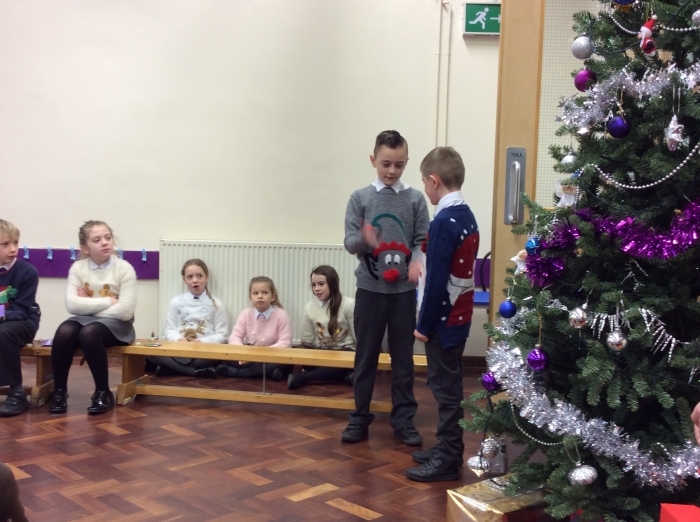 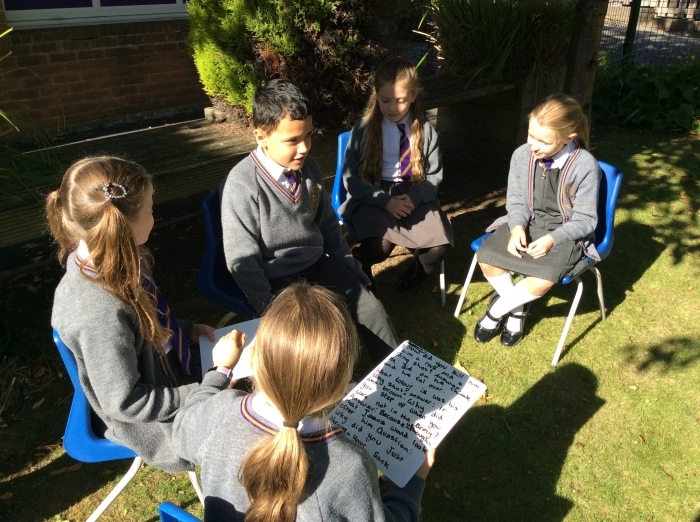 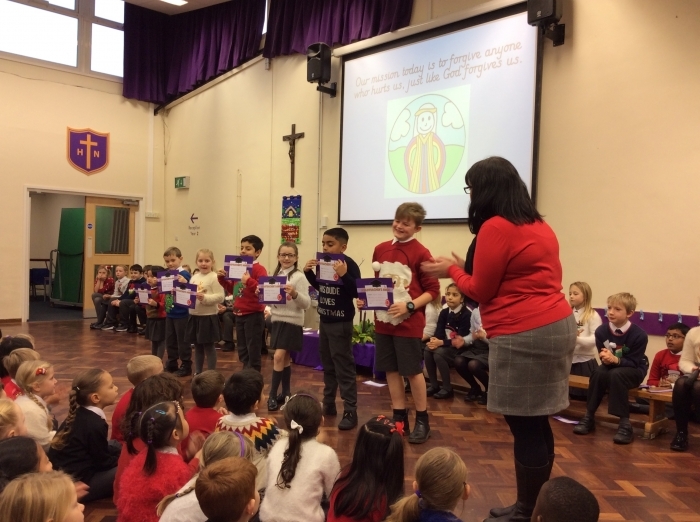 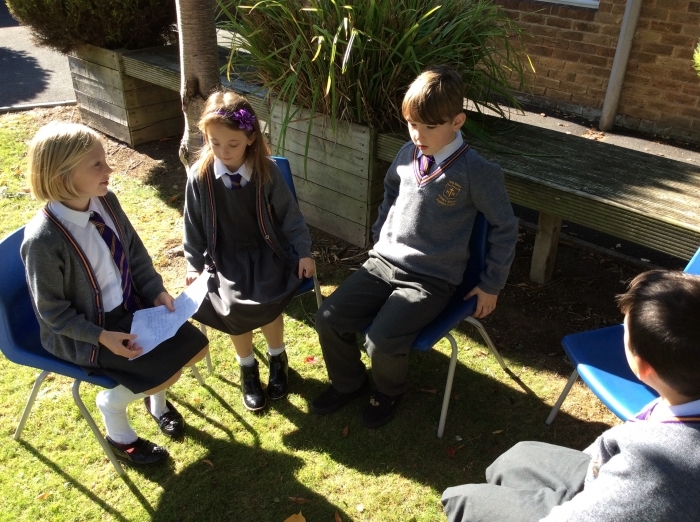 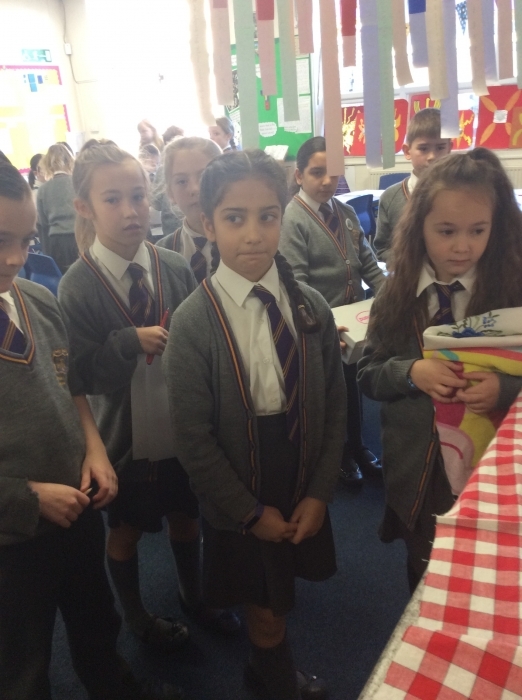 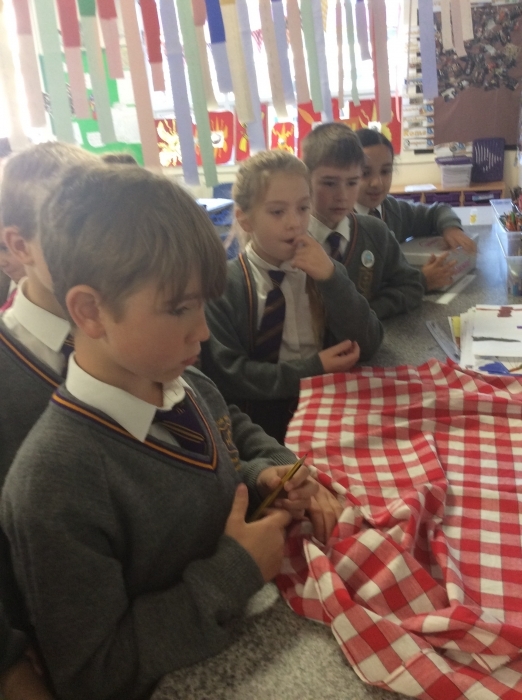 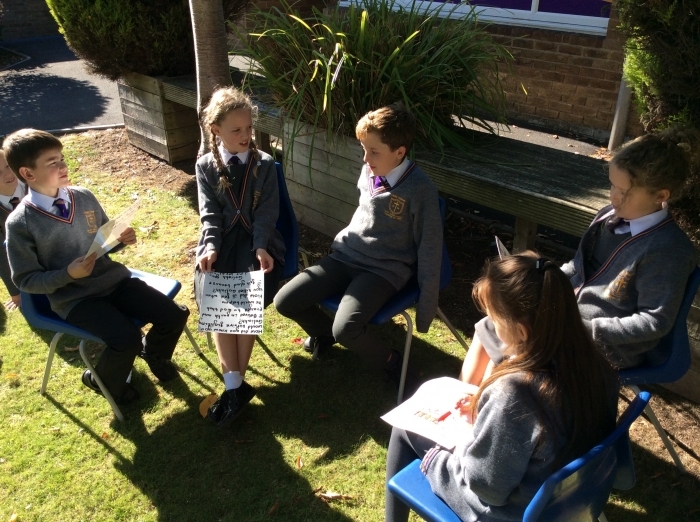 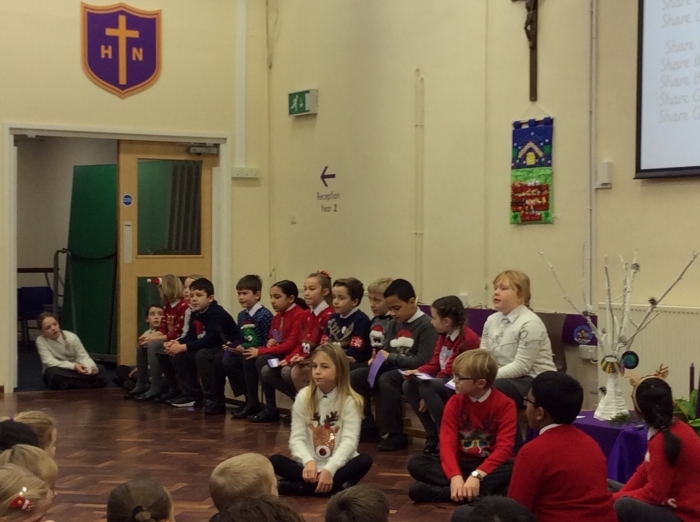 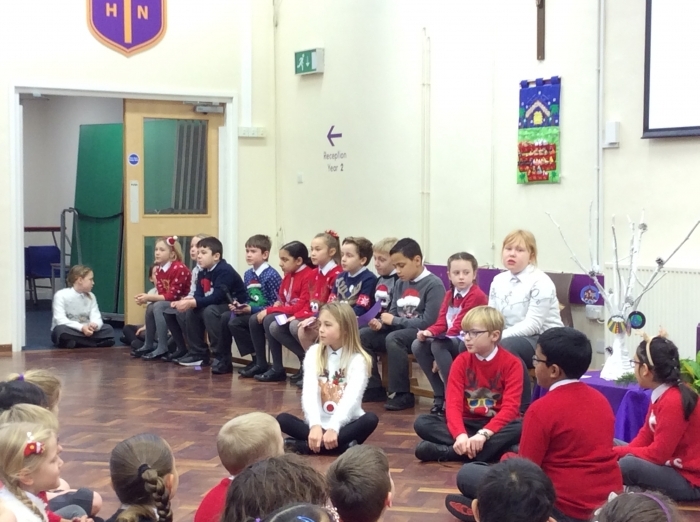 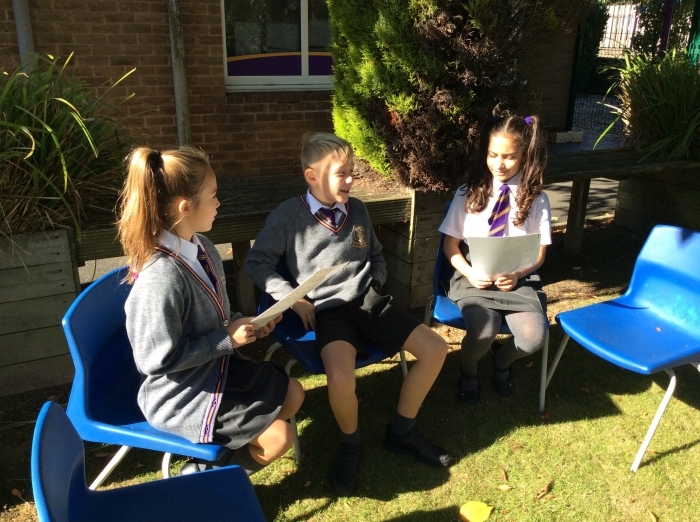 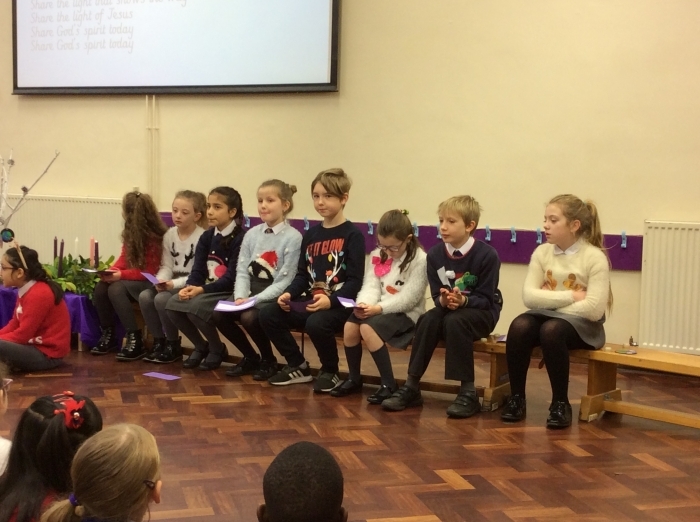 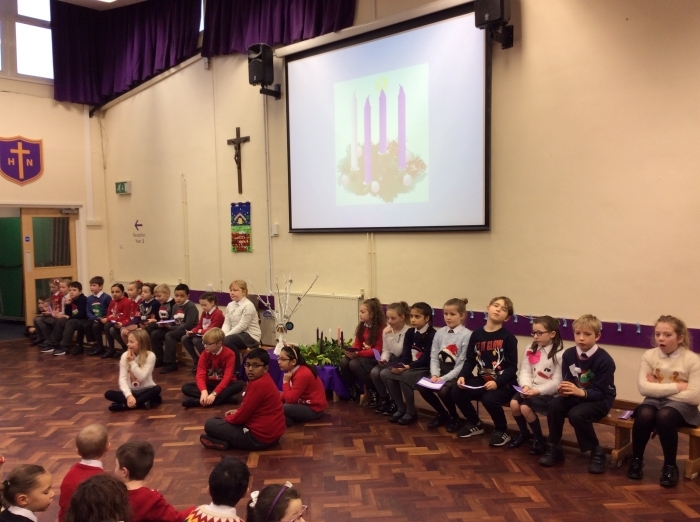 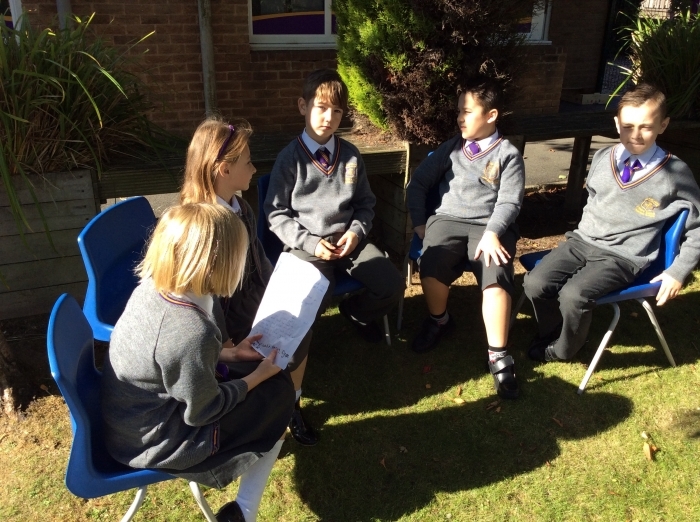 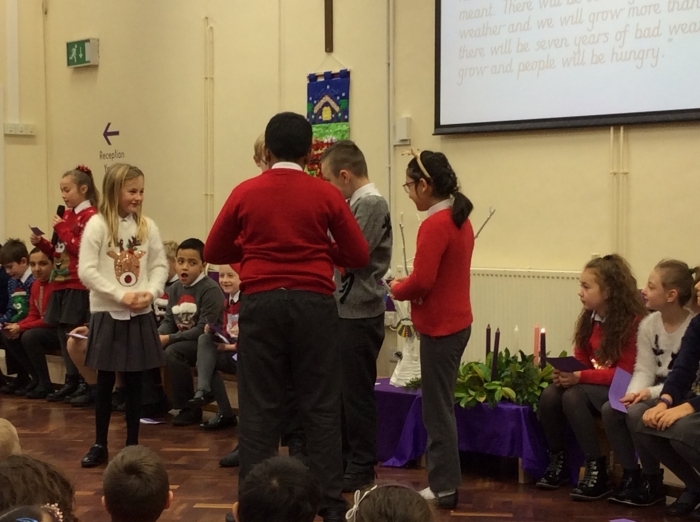 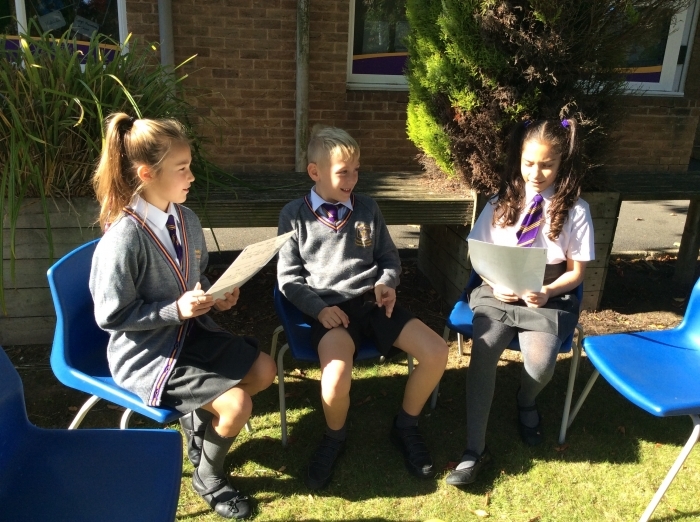 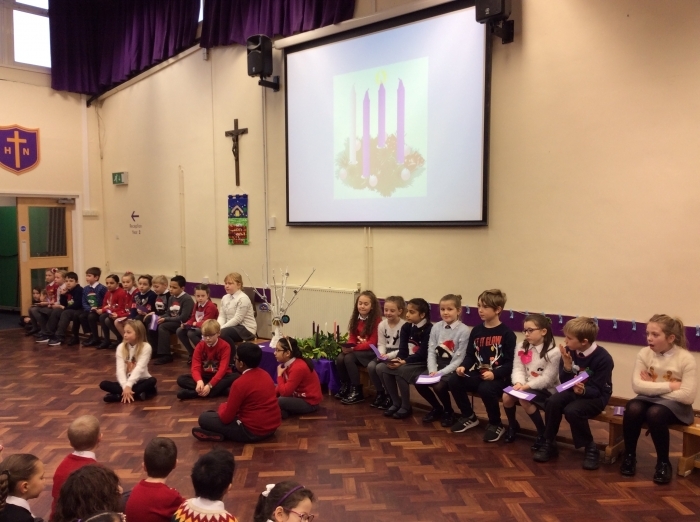 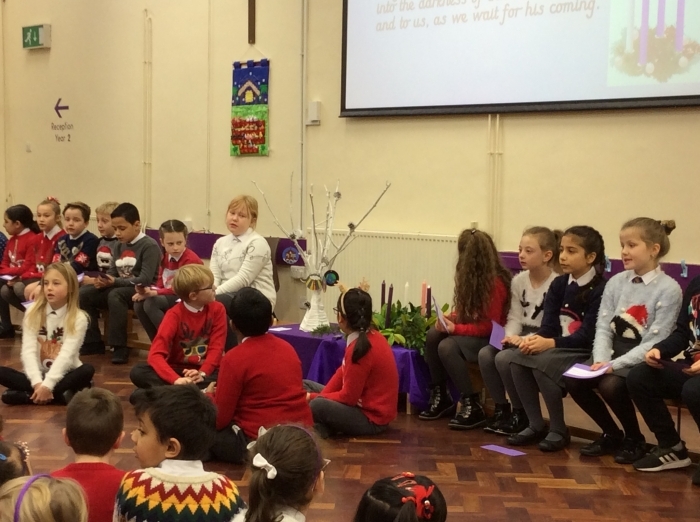 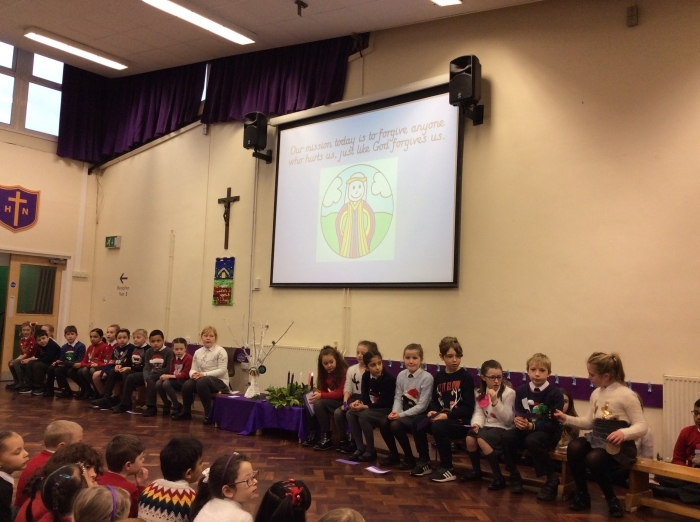 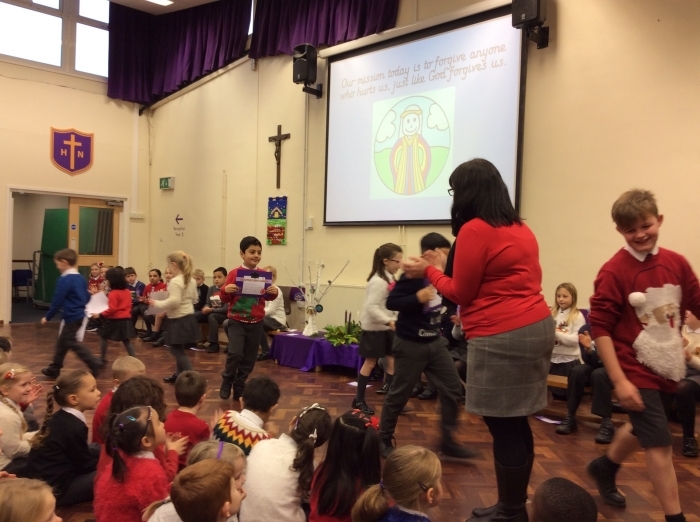 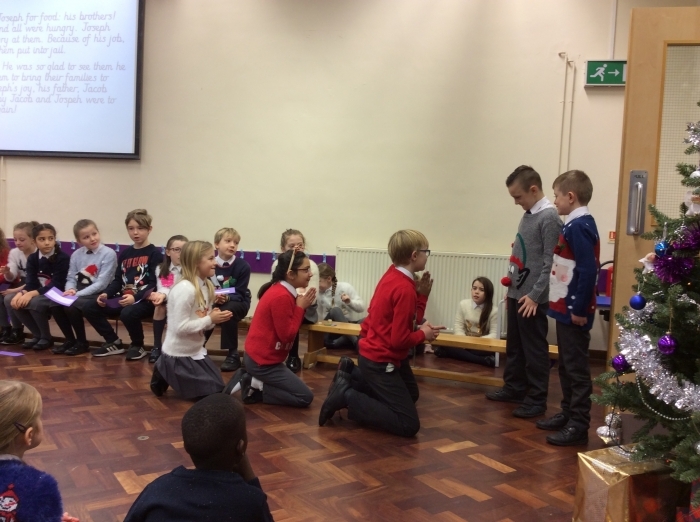 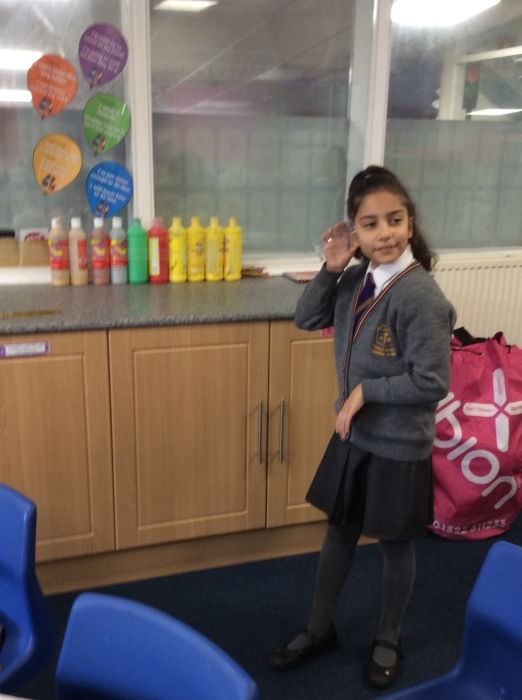 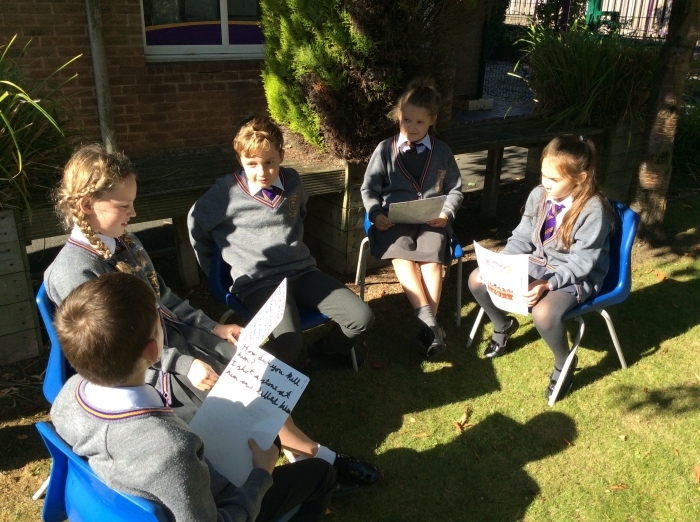 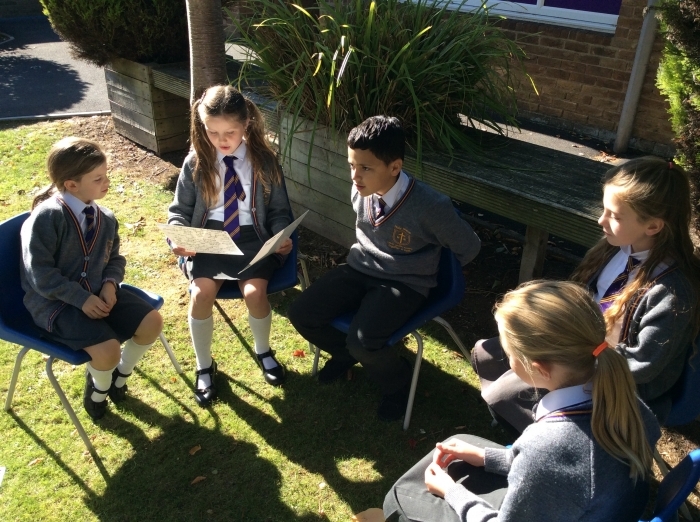 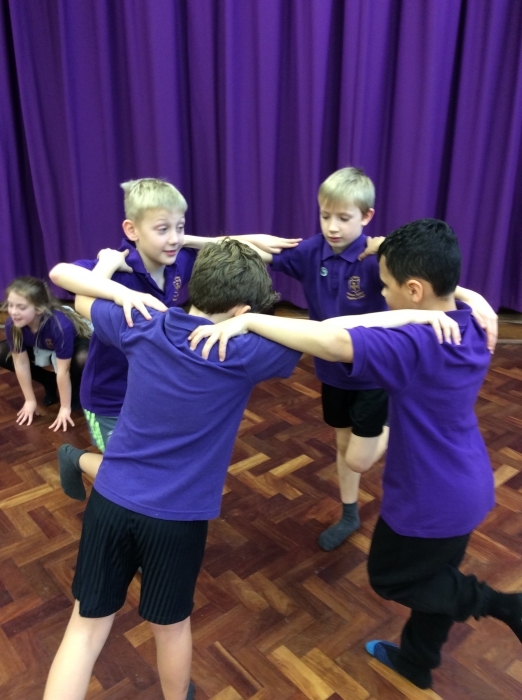 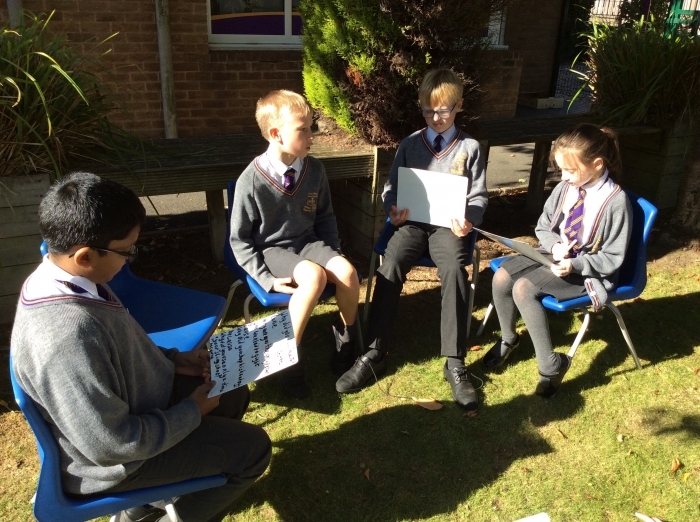 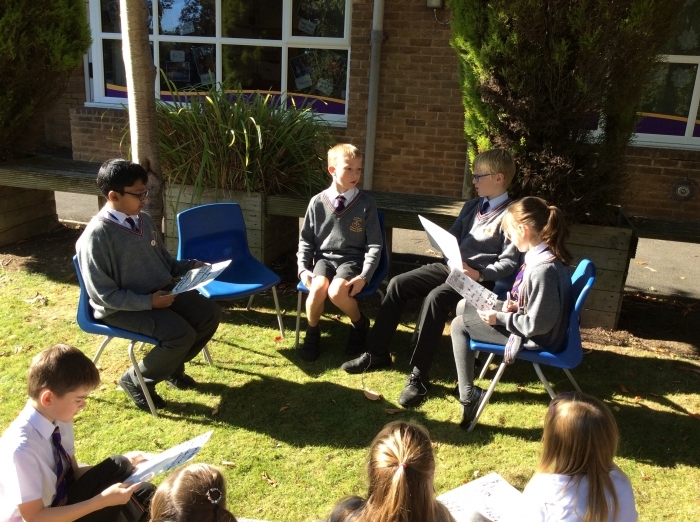 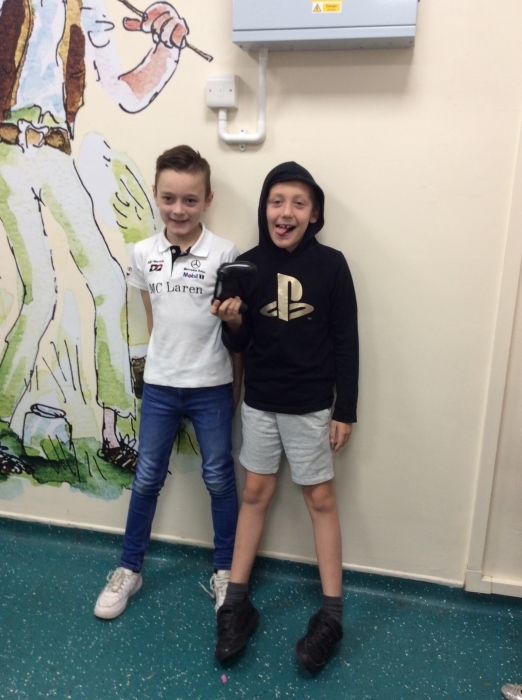 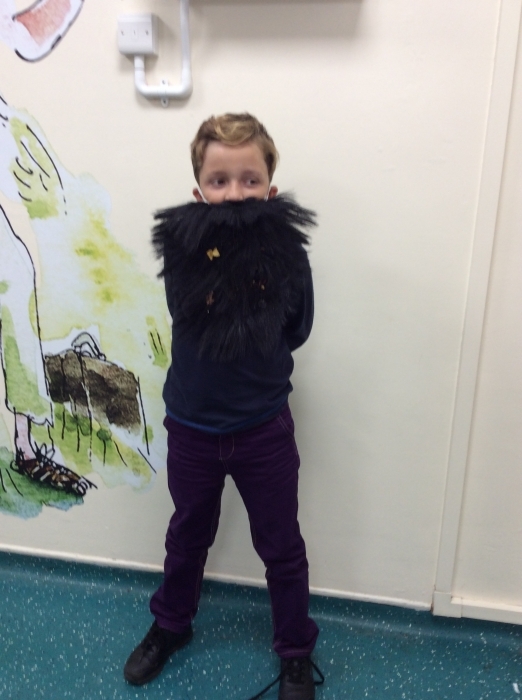 Year 4 delivered their Jesse Tree assembly about Joseph and his brothers. 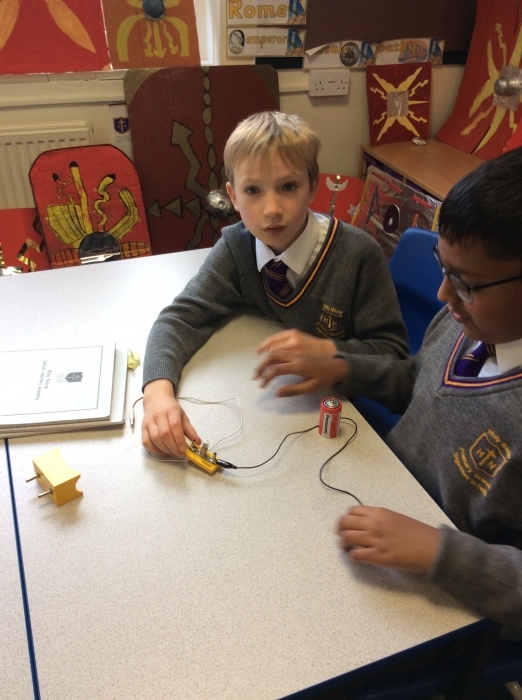 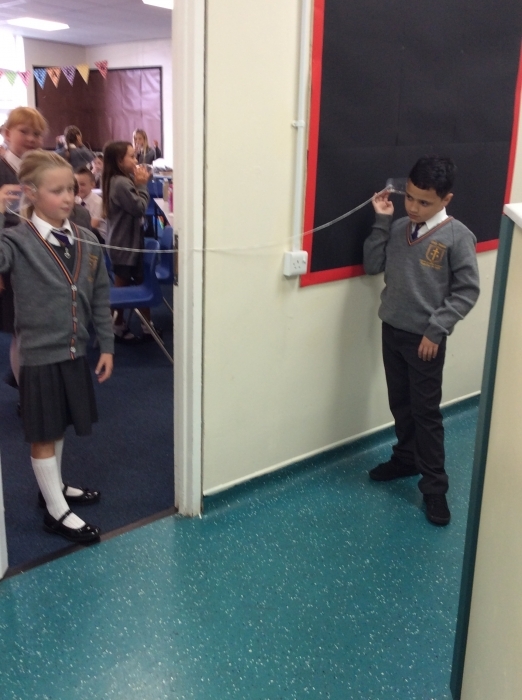 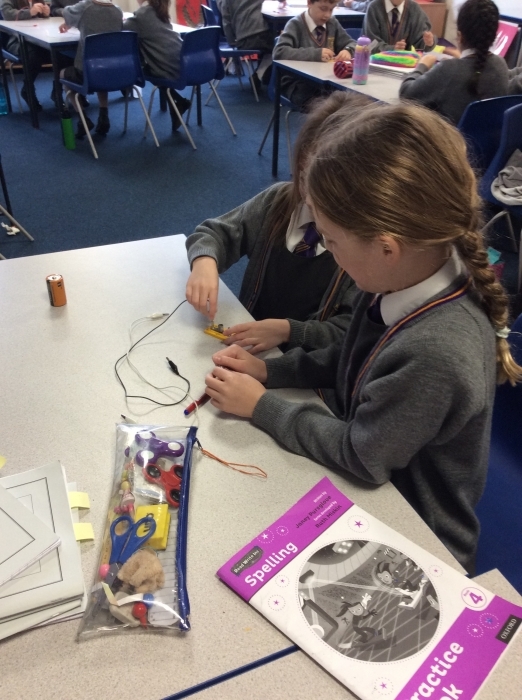 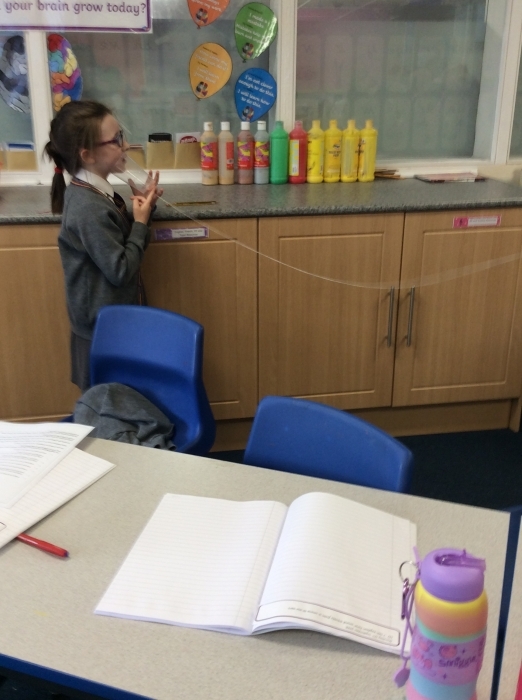 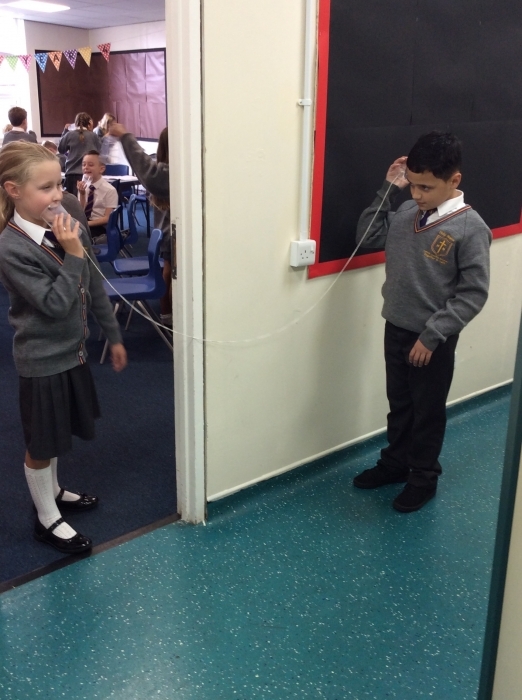 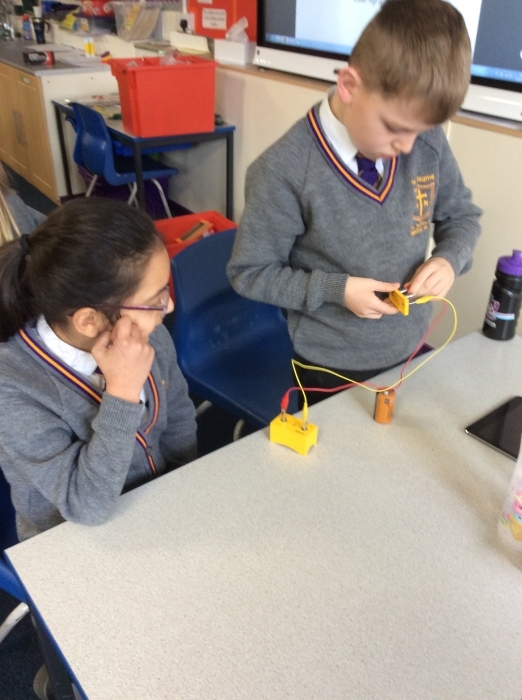 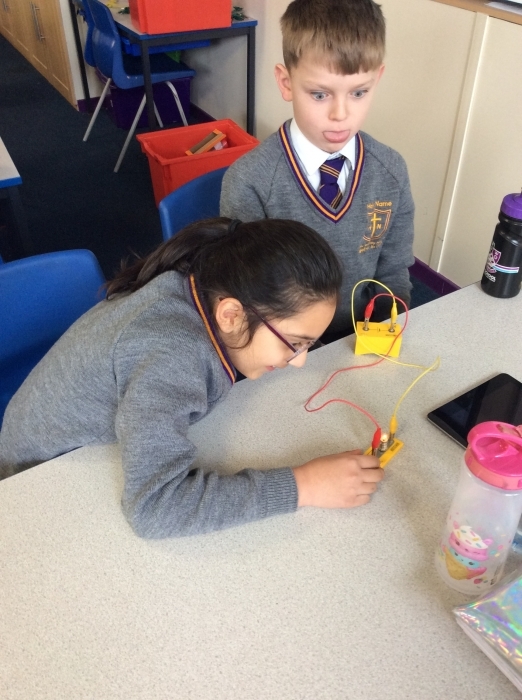 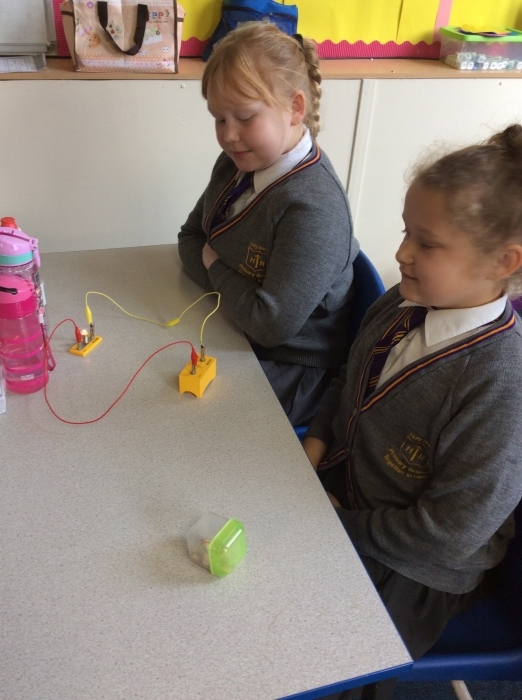 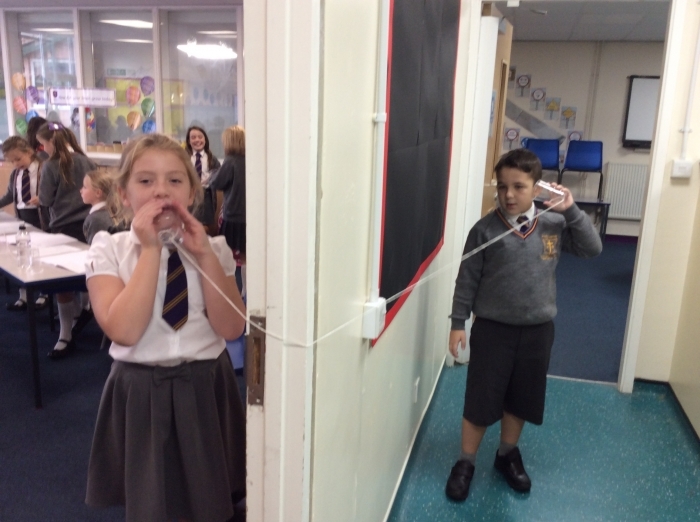 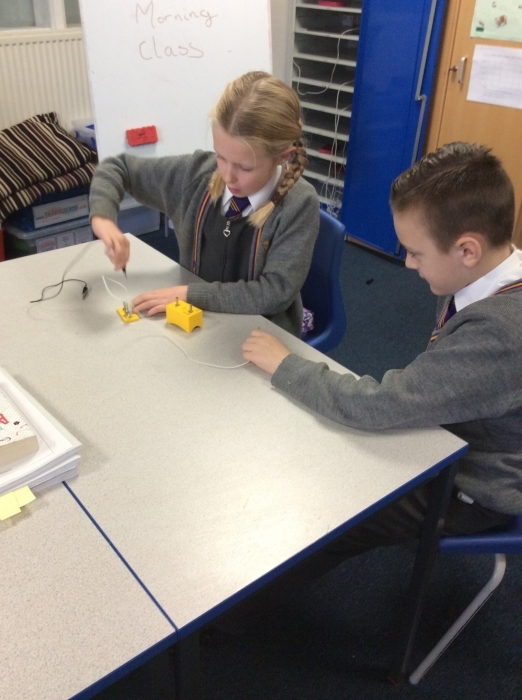 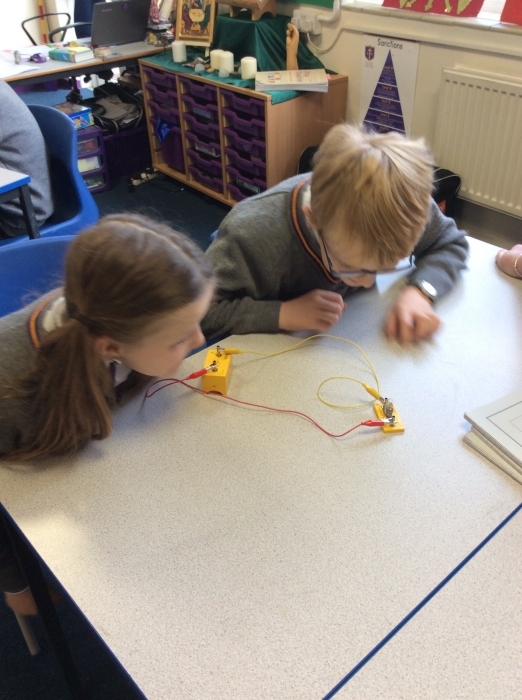 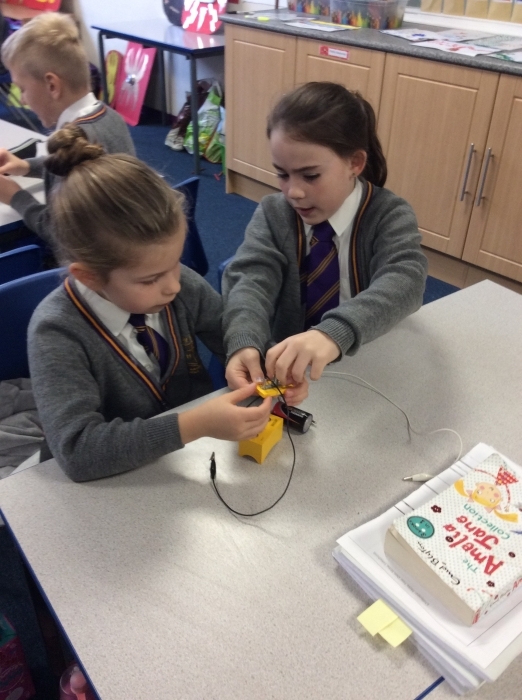 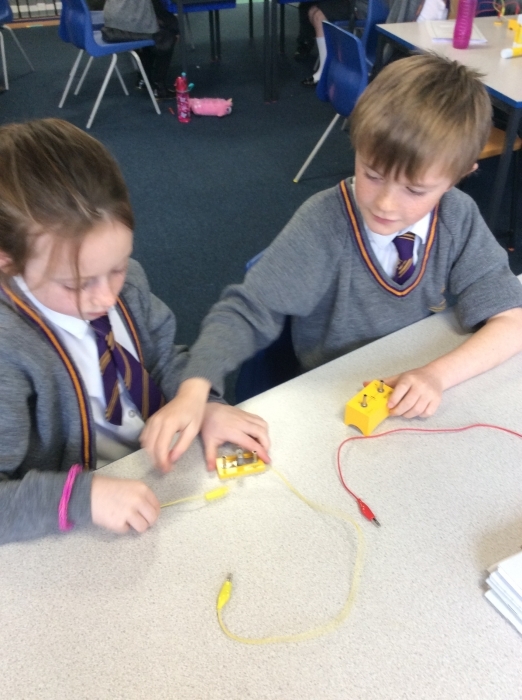 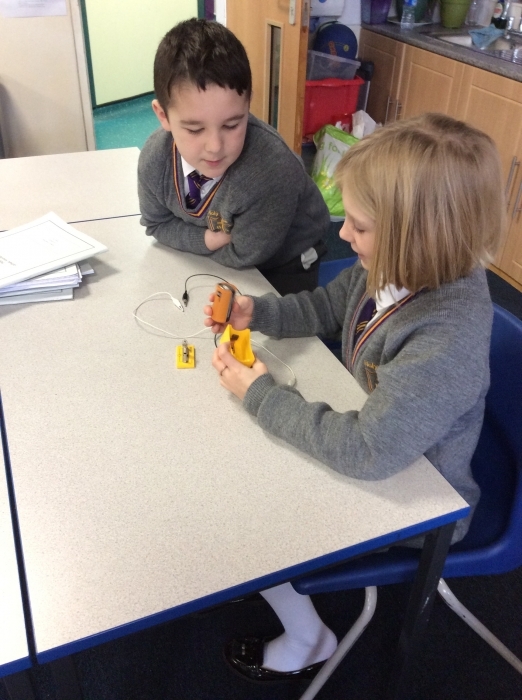 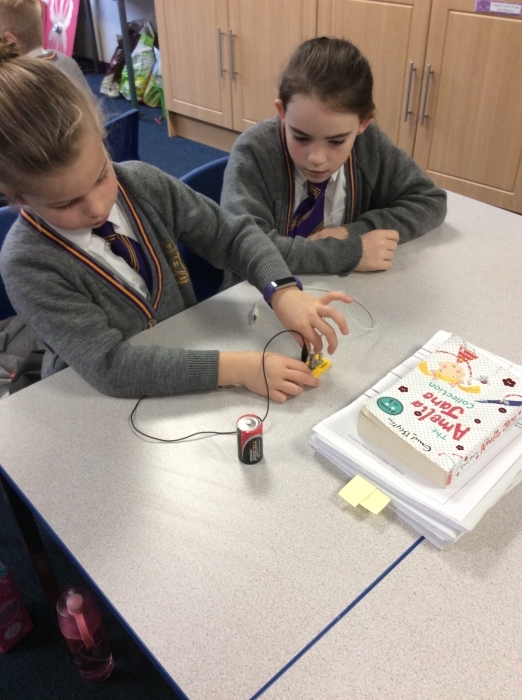 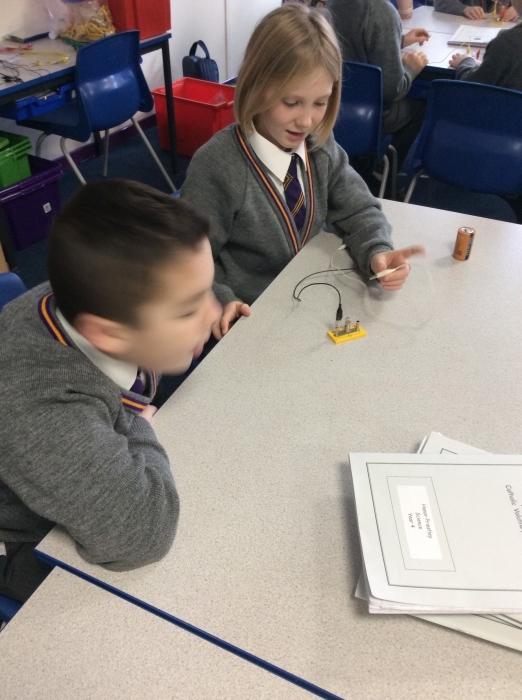 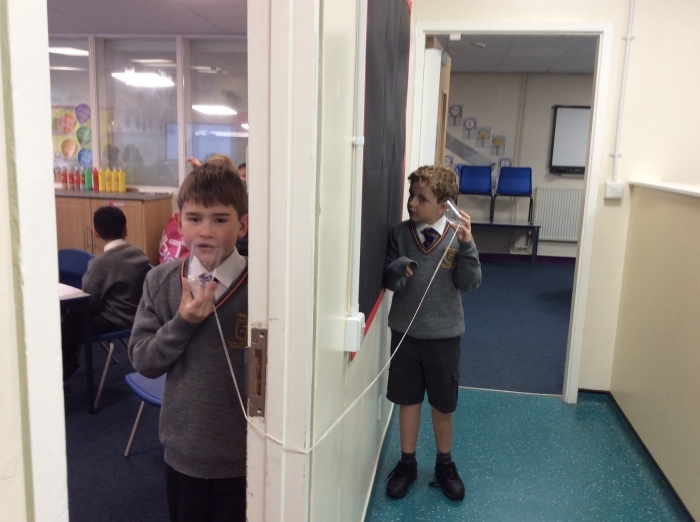 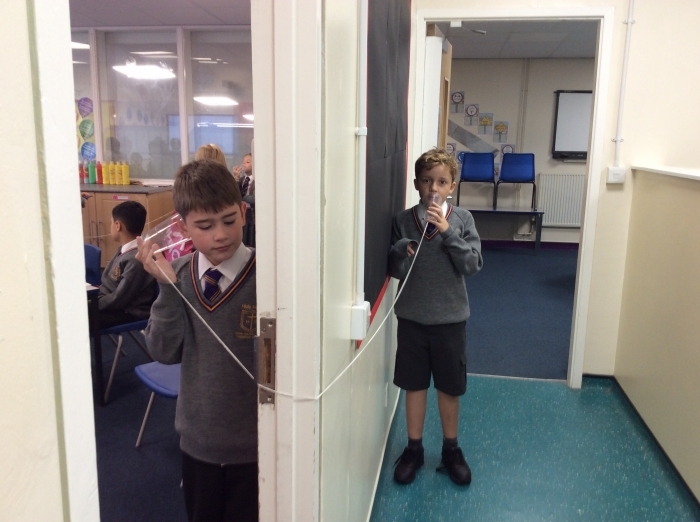 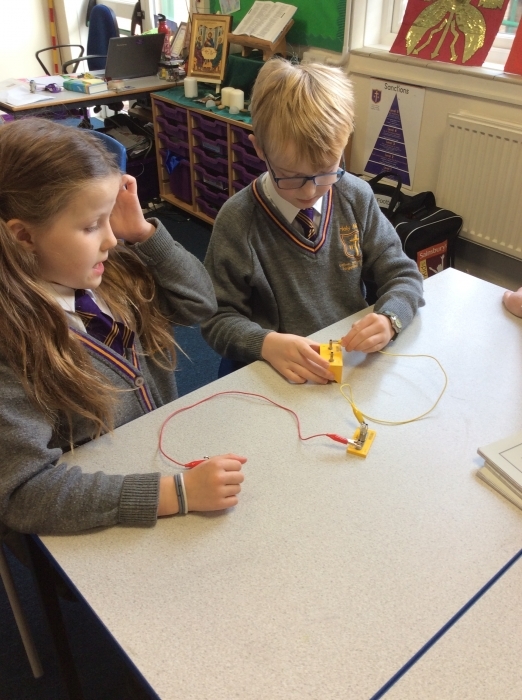 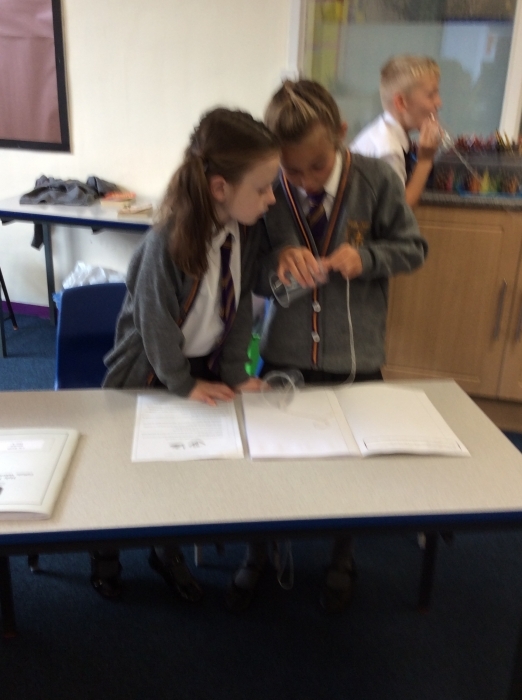 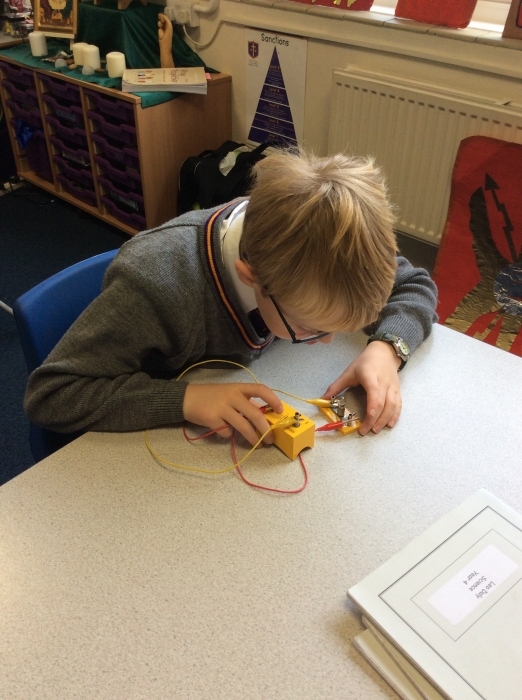 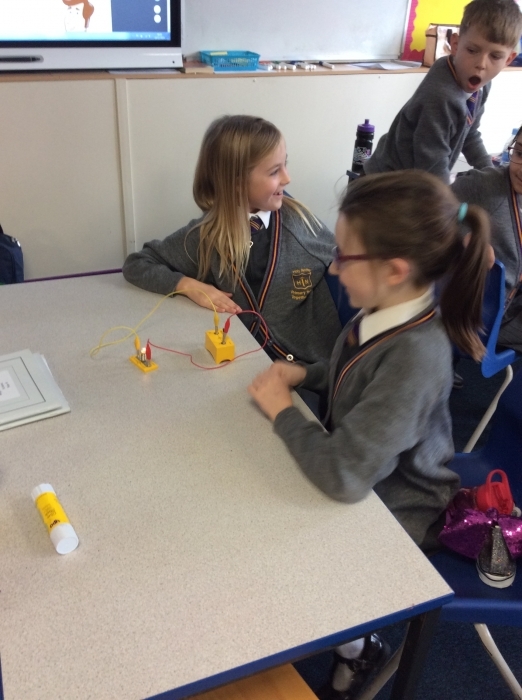 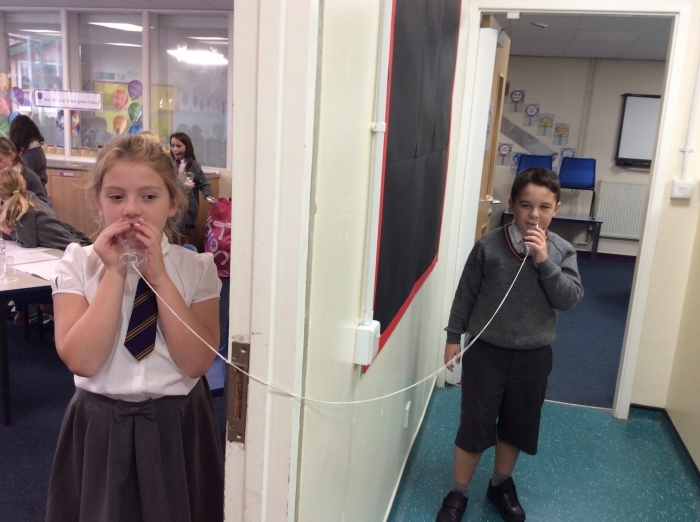 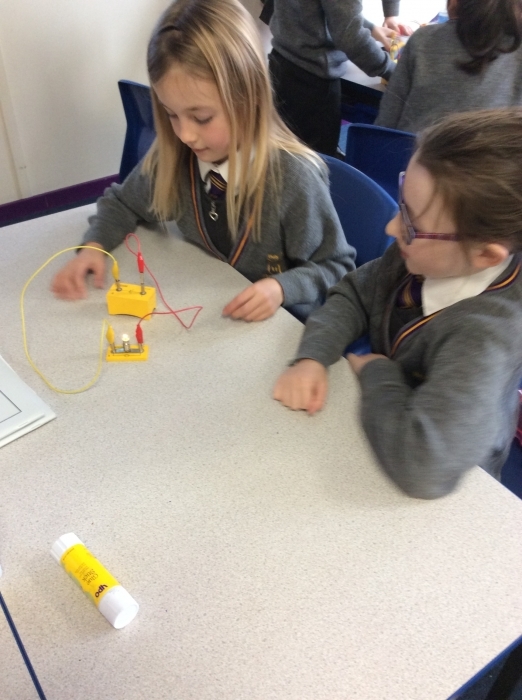 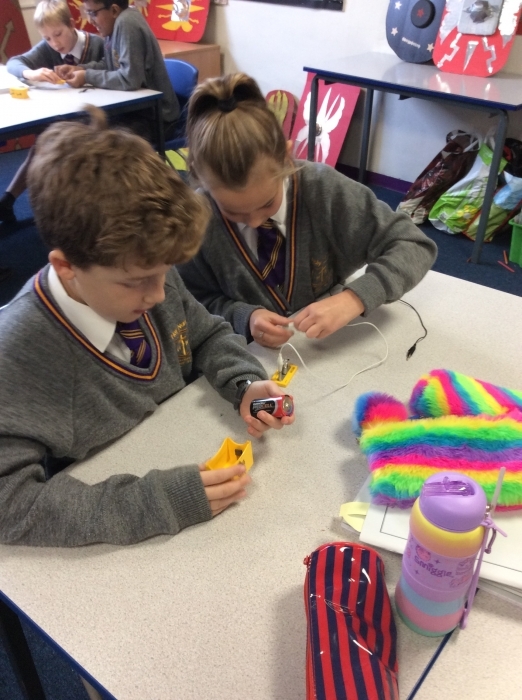 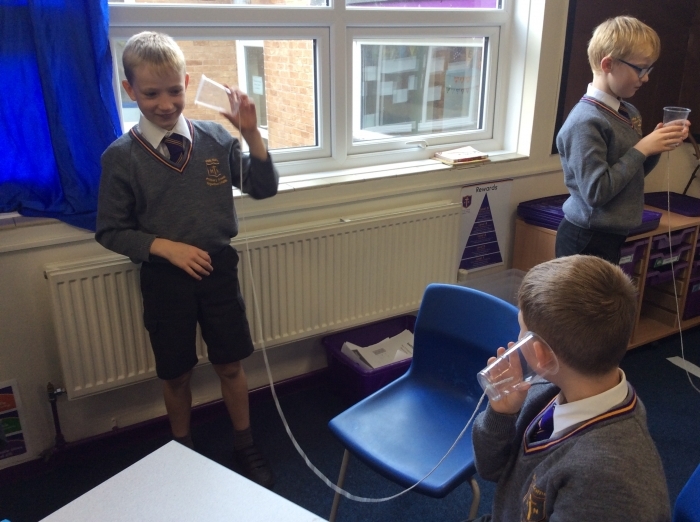 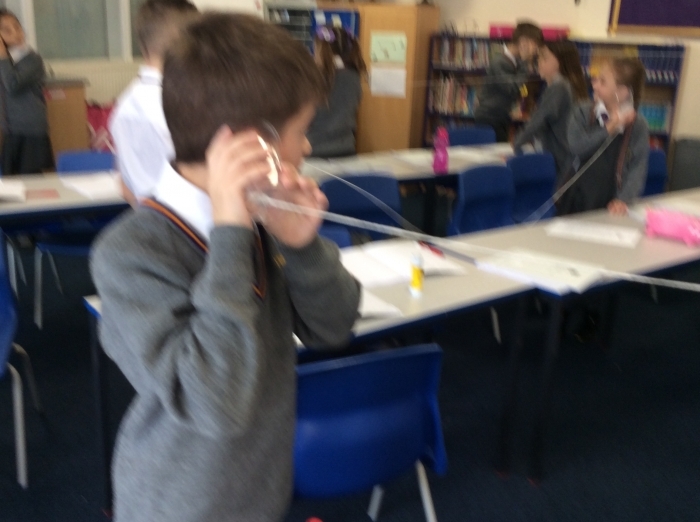 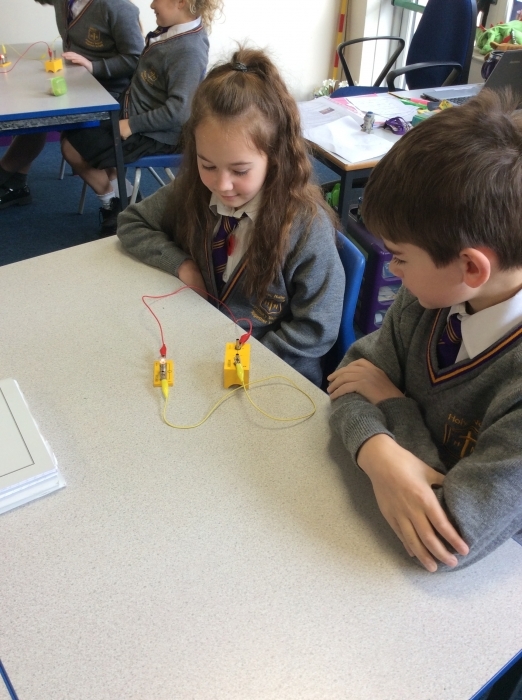 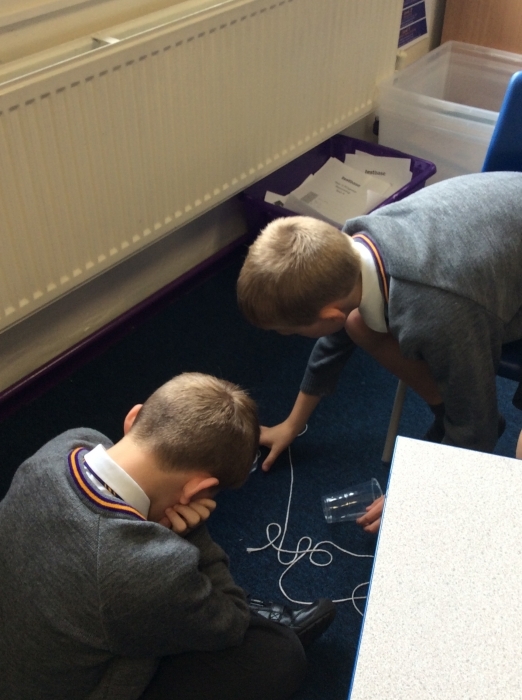 Electricity lessons with Mrs Milner. 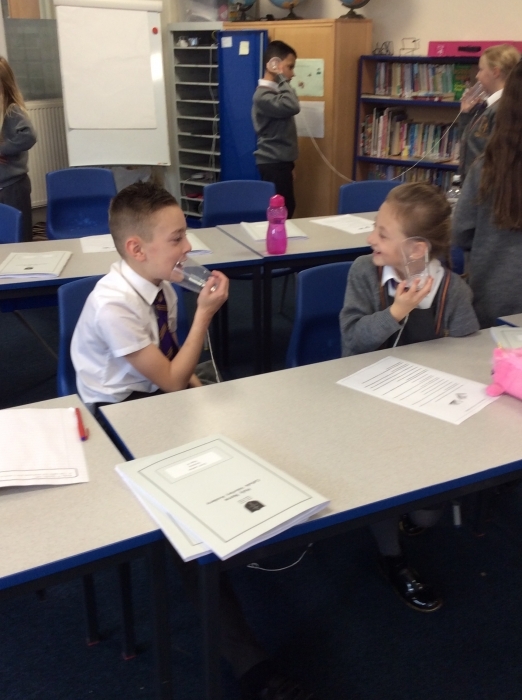 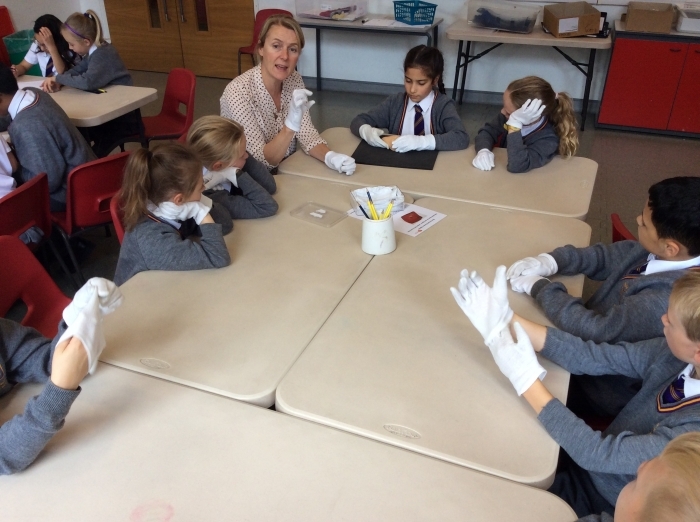 Sound lessons with Mrs Milner. 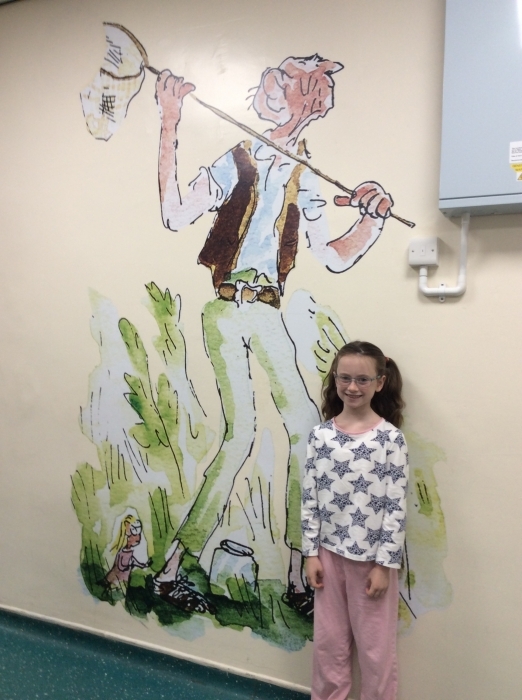 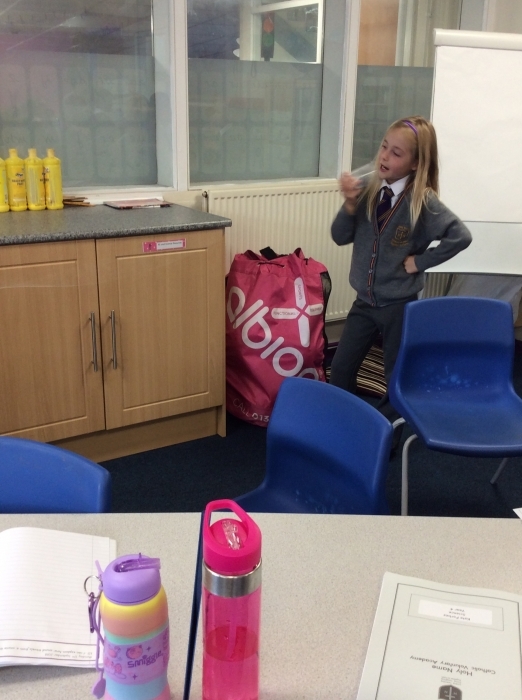 Year 4 have been thinking about questions they would ask David after he agreed to fight Goliath. 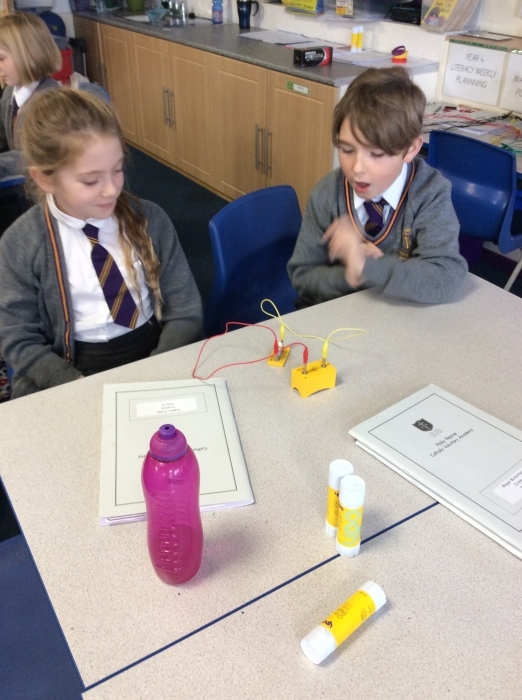 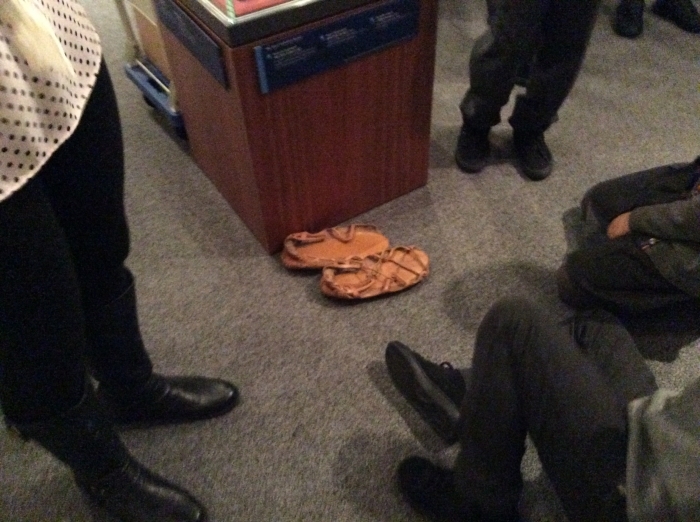 They also thought about some answers he might have given. 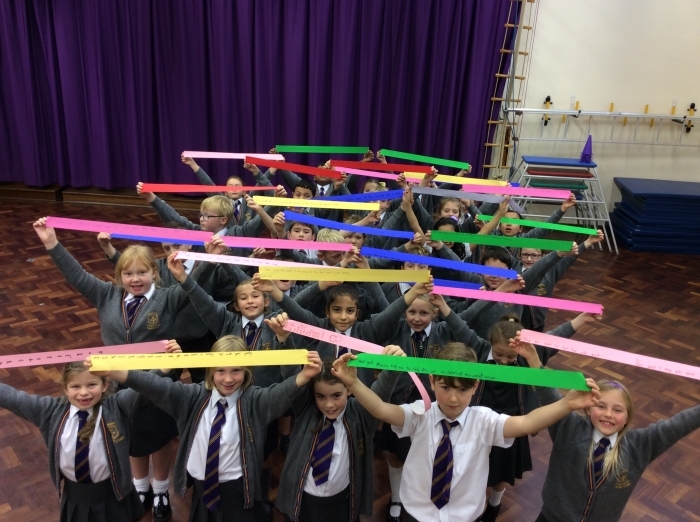 Year four made a rainbow walk way to brighten up our world and support CAFOD. 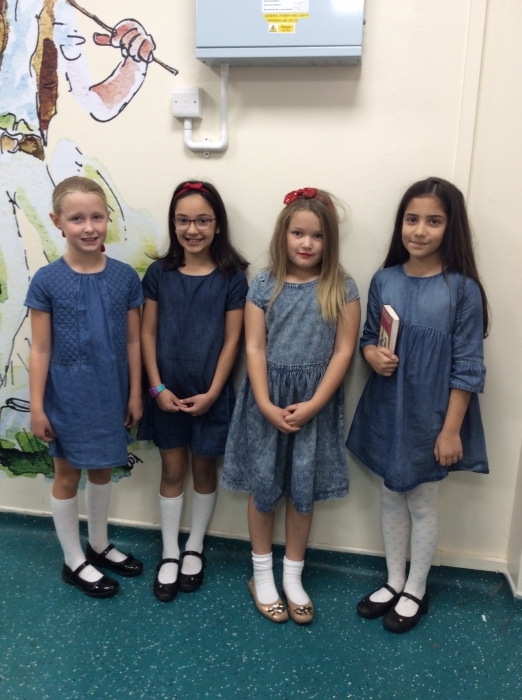 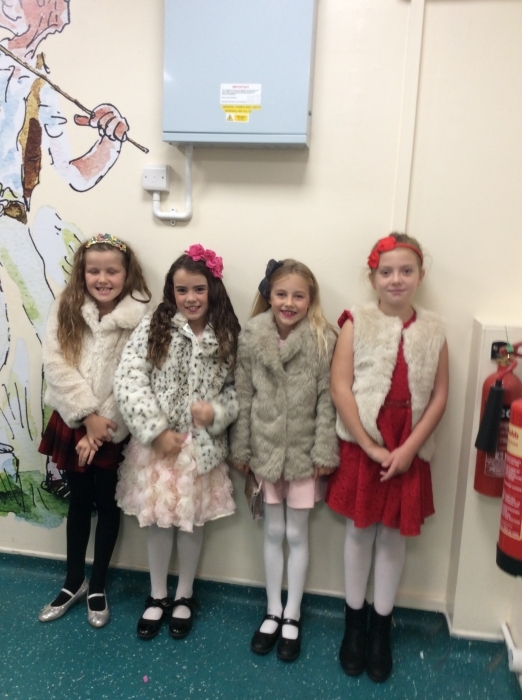 Look at at these amazing outfits. 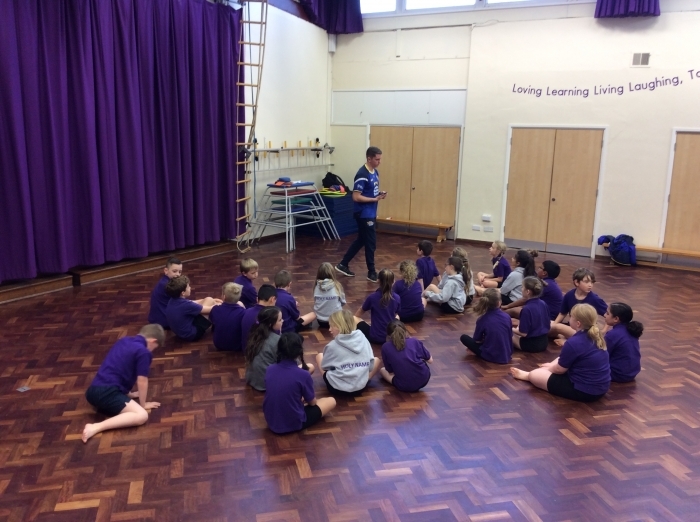 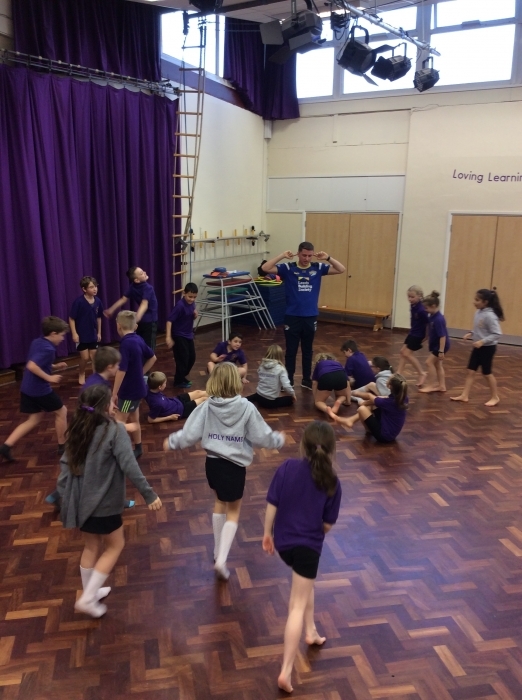 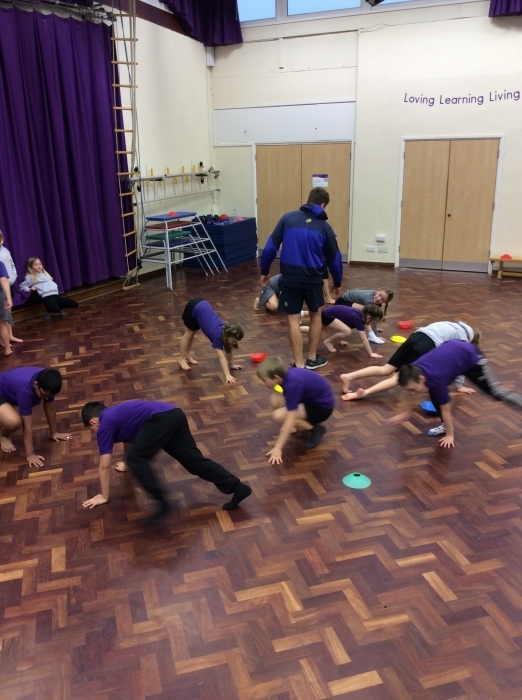 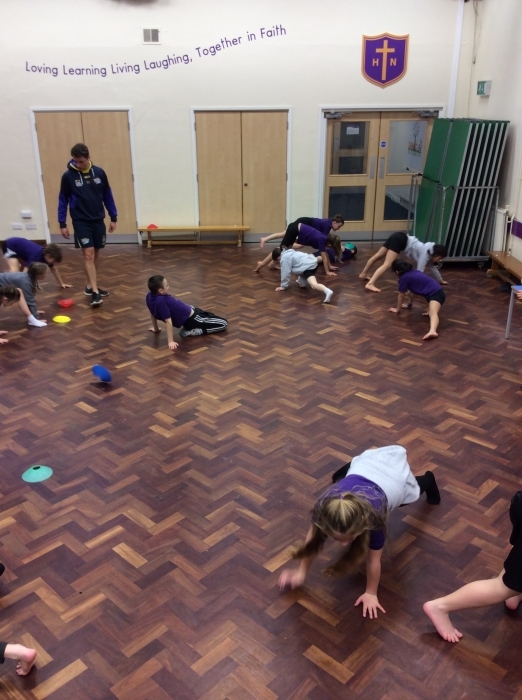 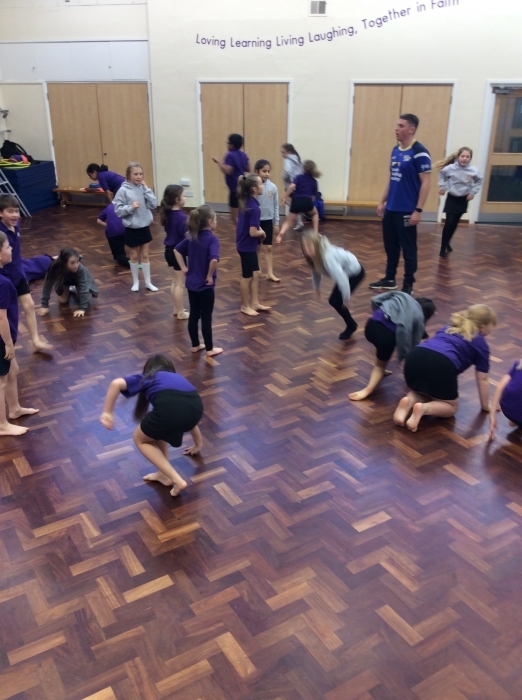 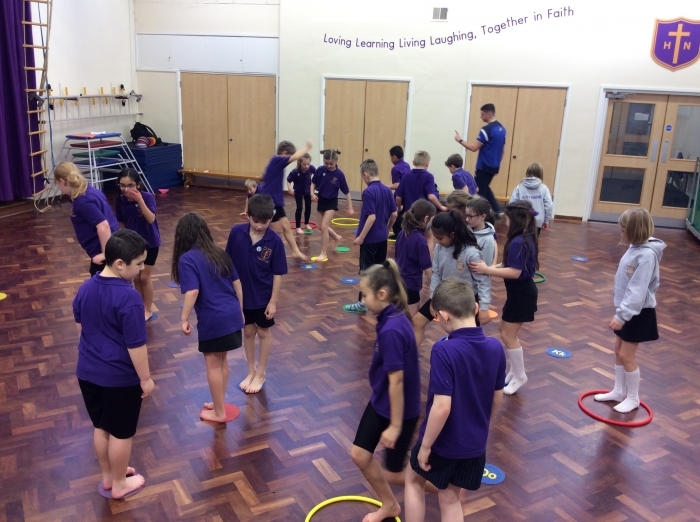 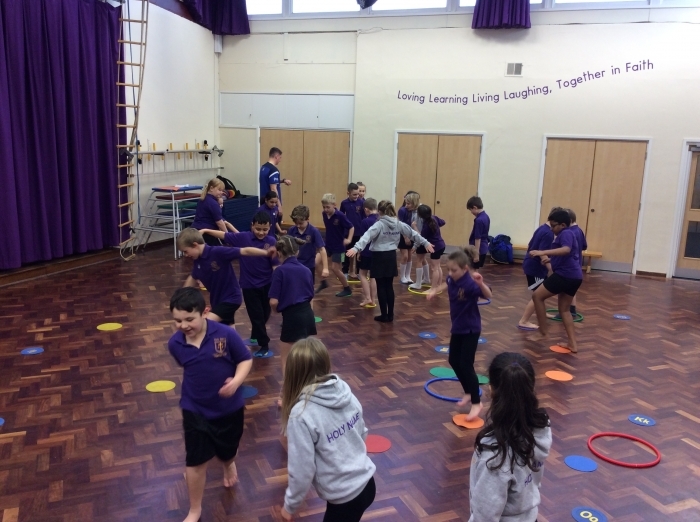 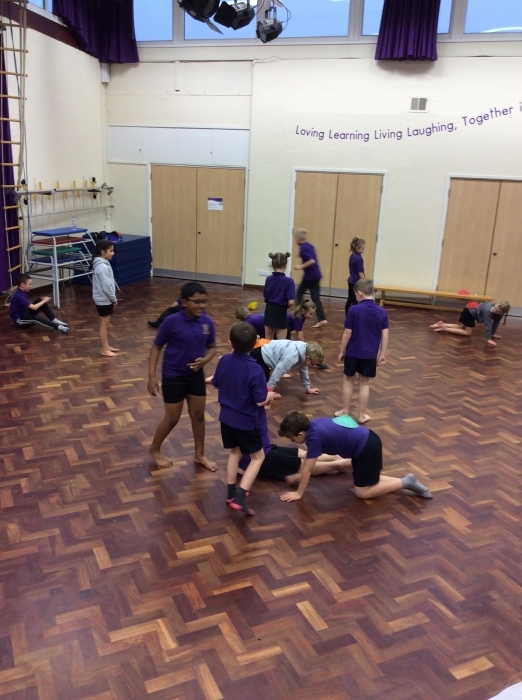 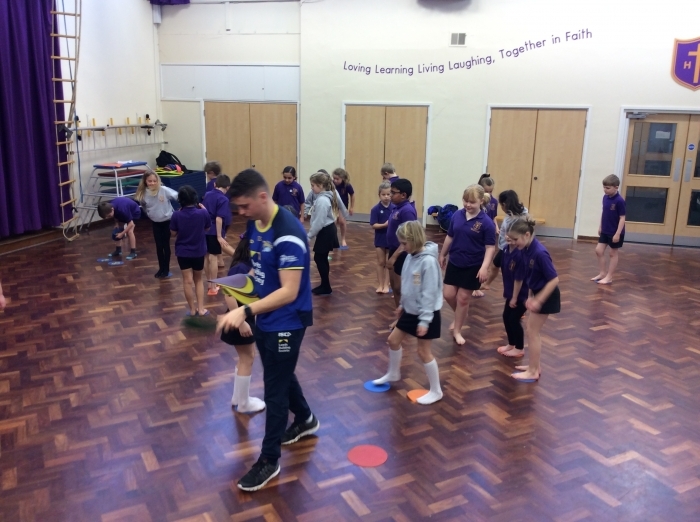 Year 4 enjoyed all their sessions with Dan from Leeds Rhinos. 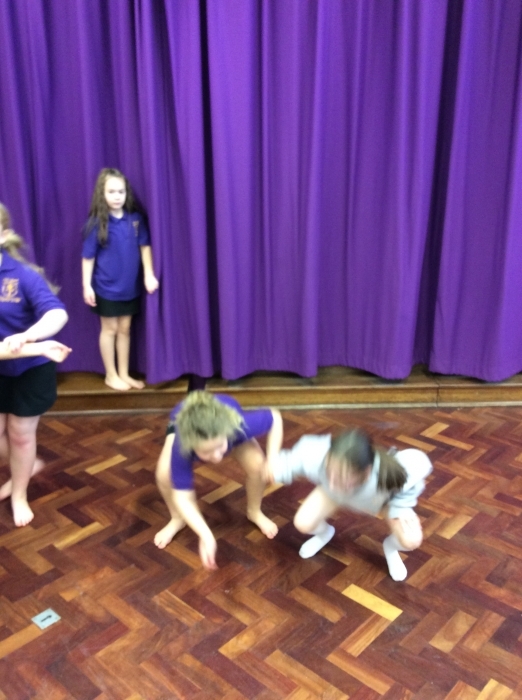 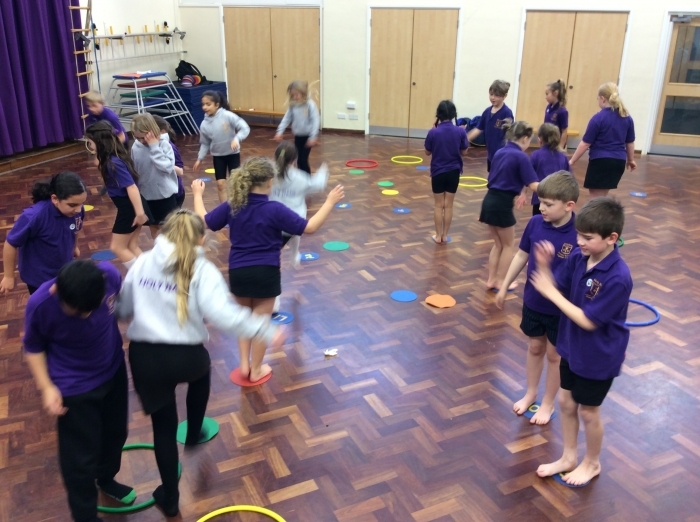 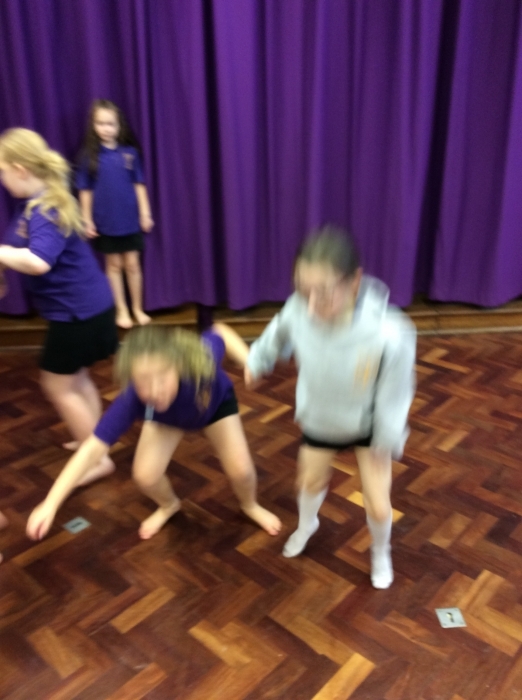 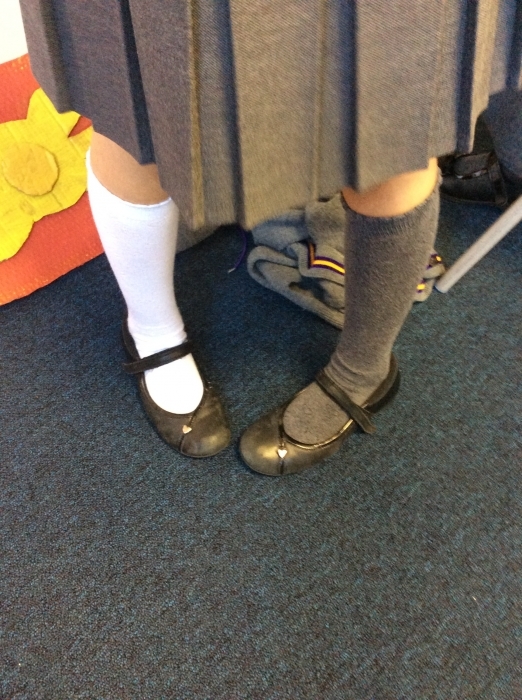 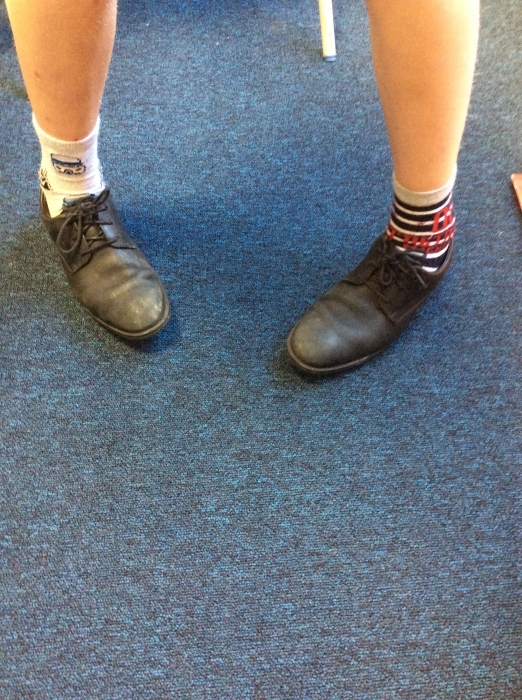 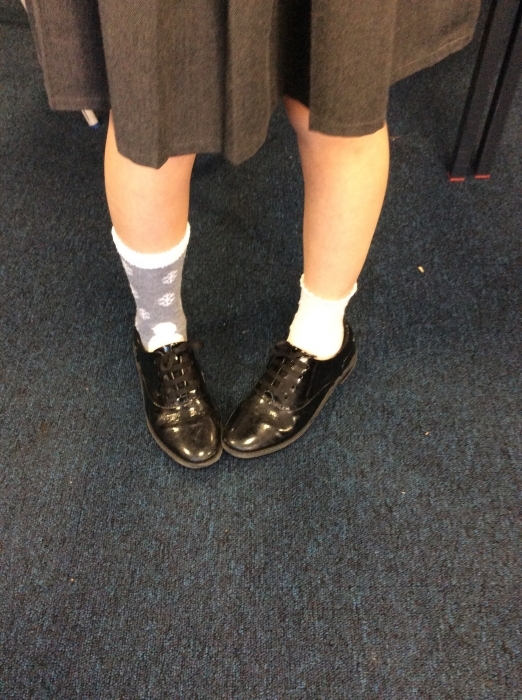 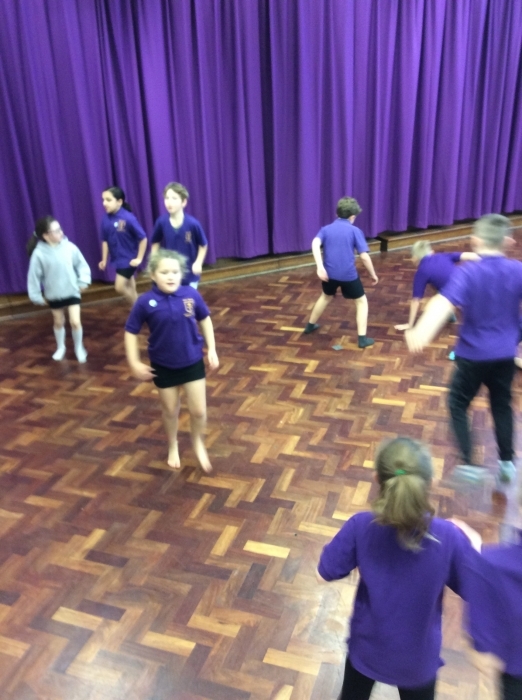 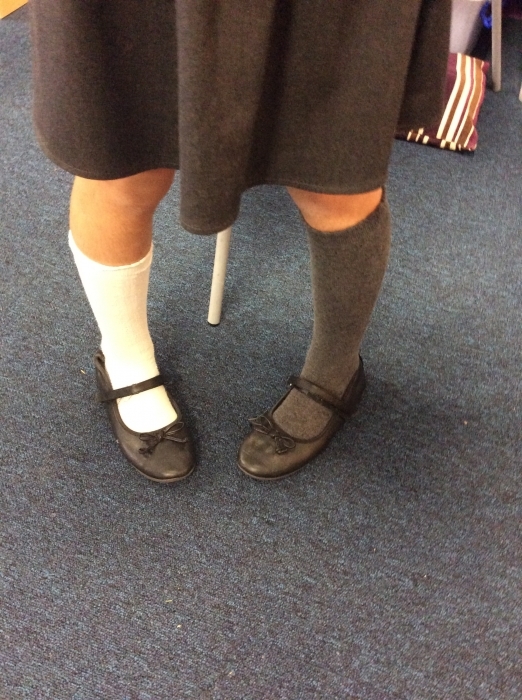 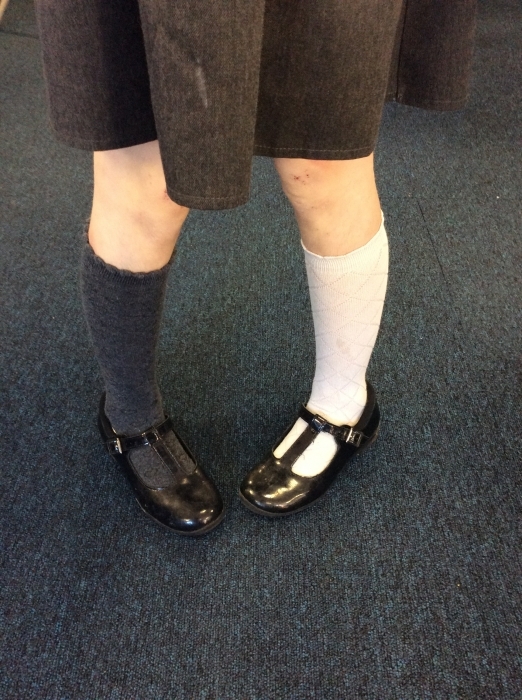 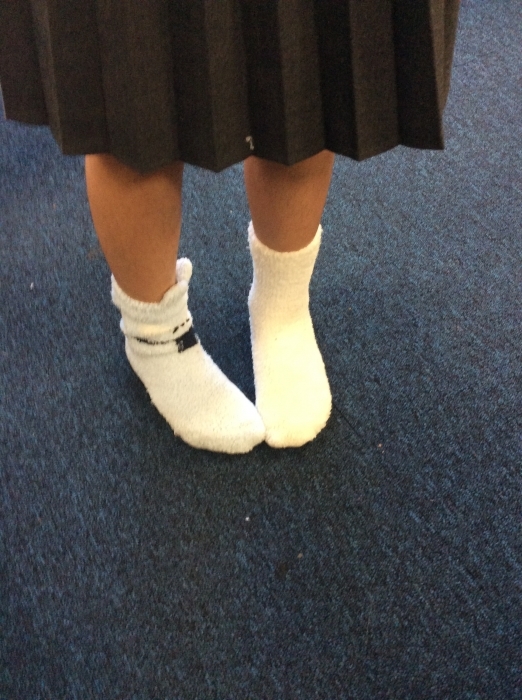 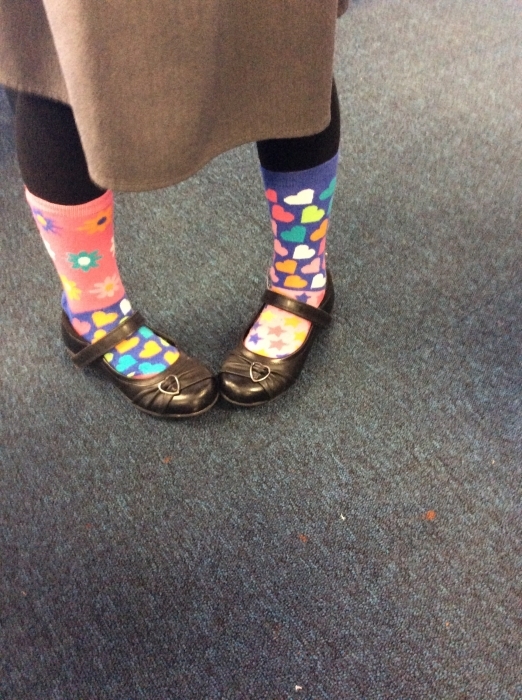 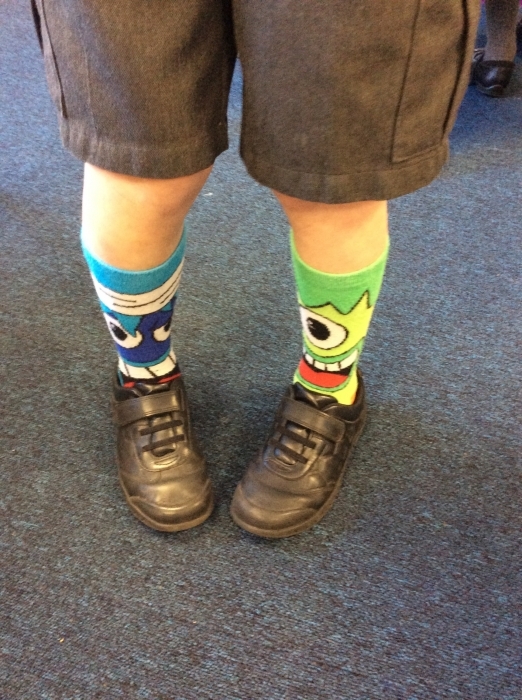 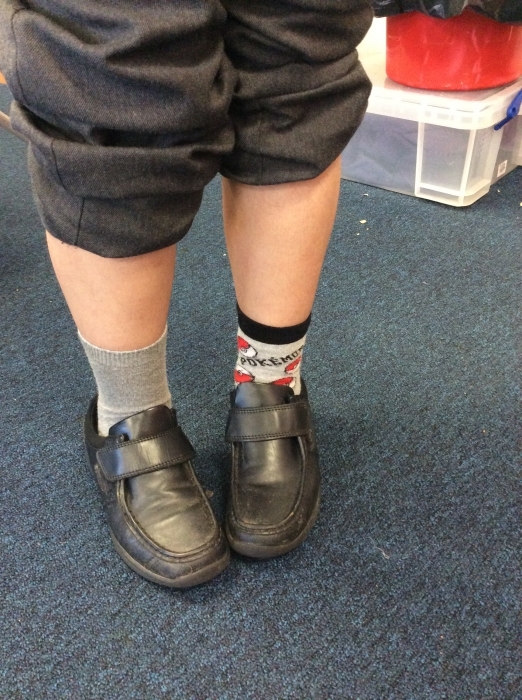 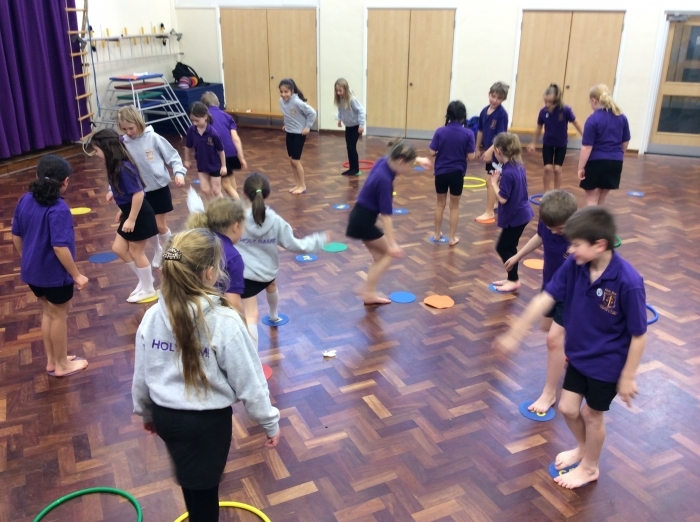 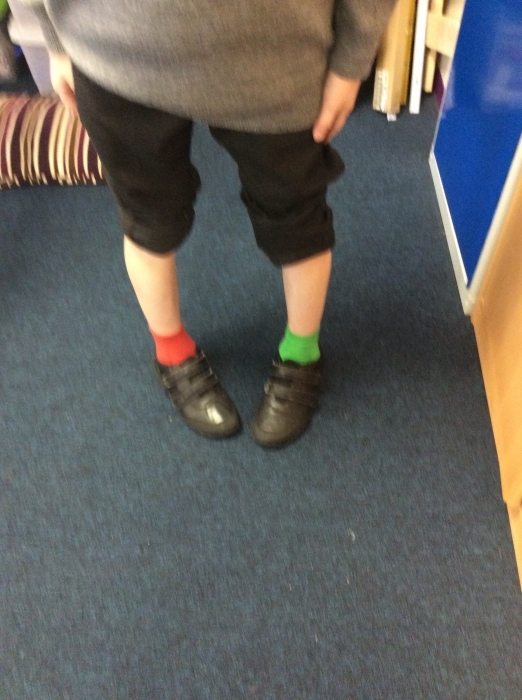 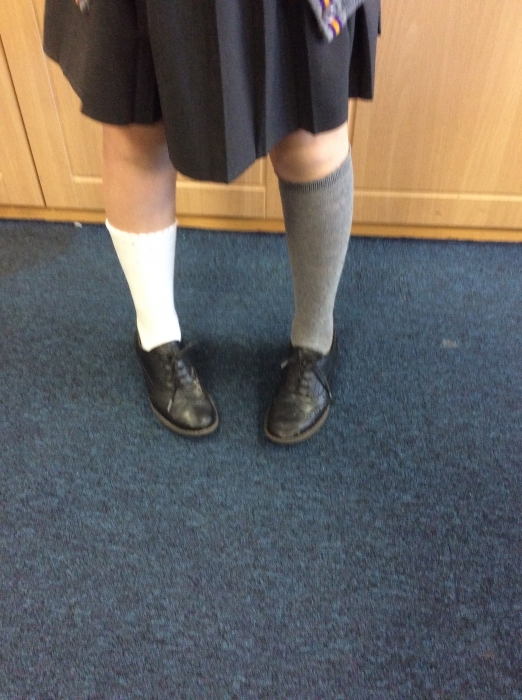 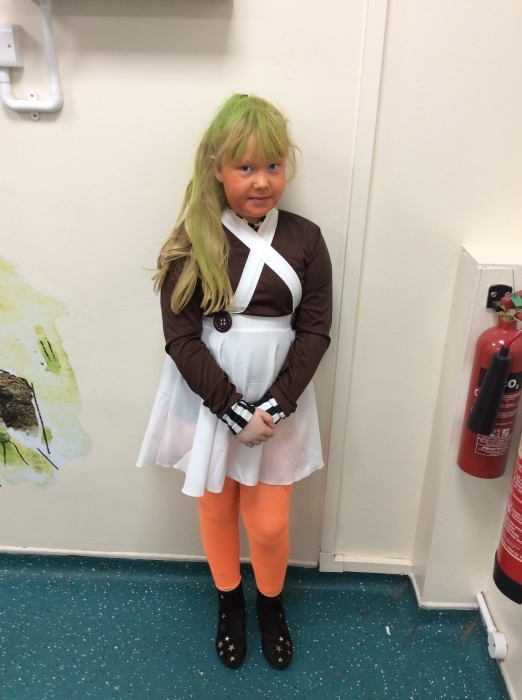 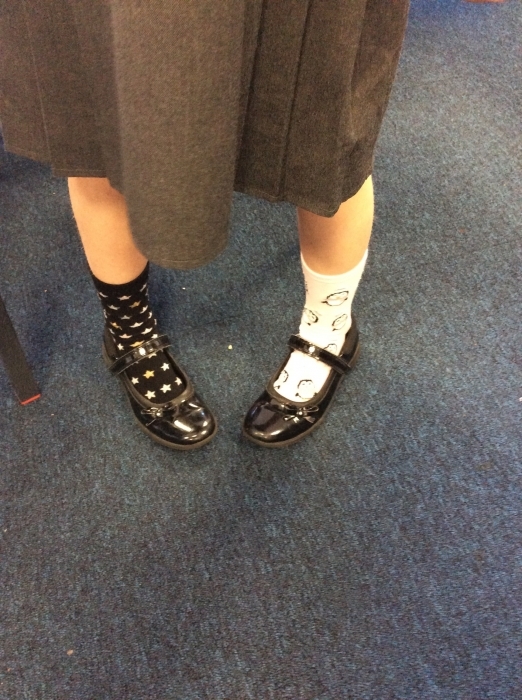 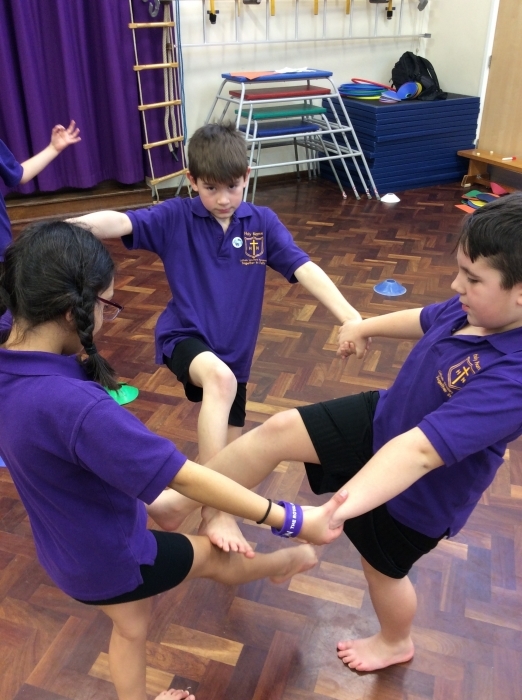 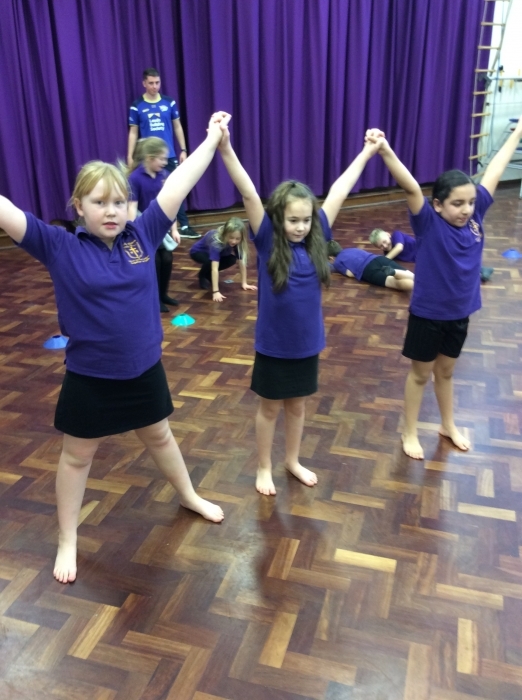 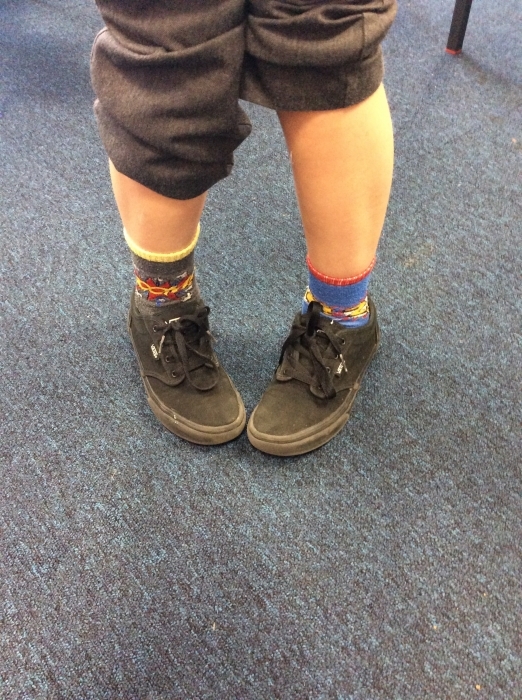 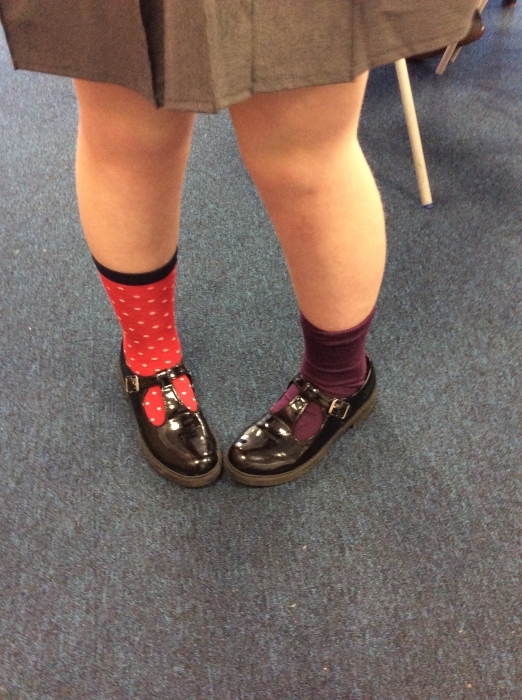 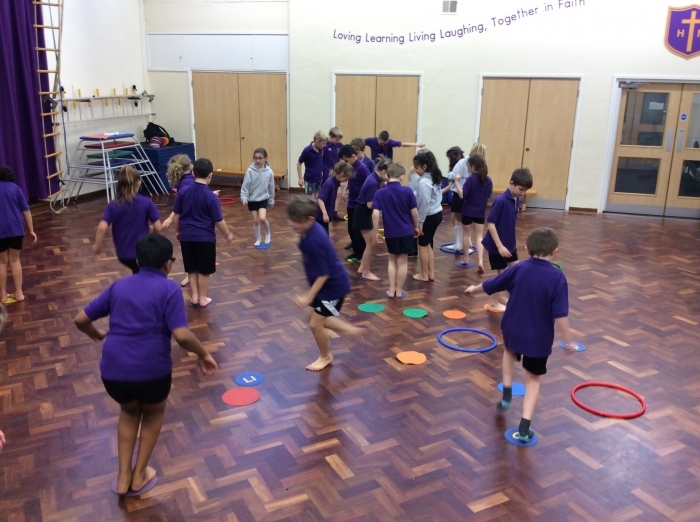 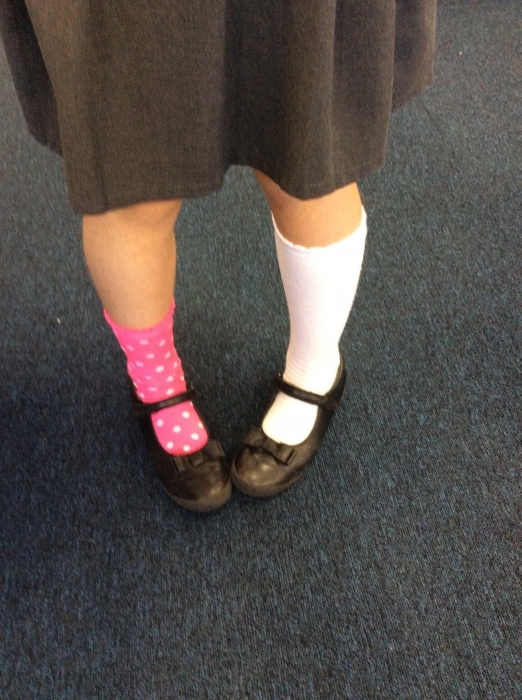 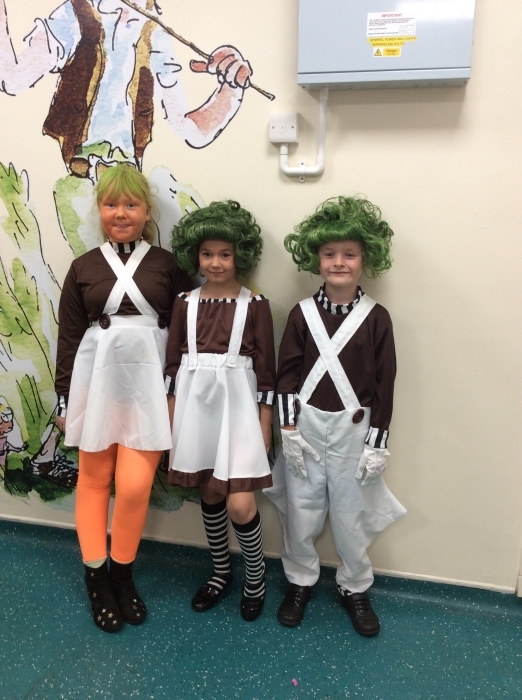 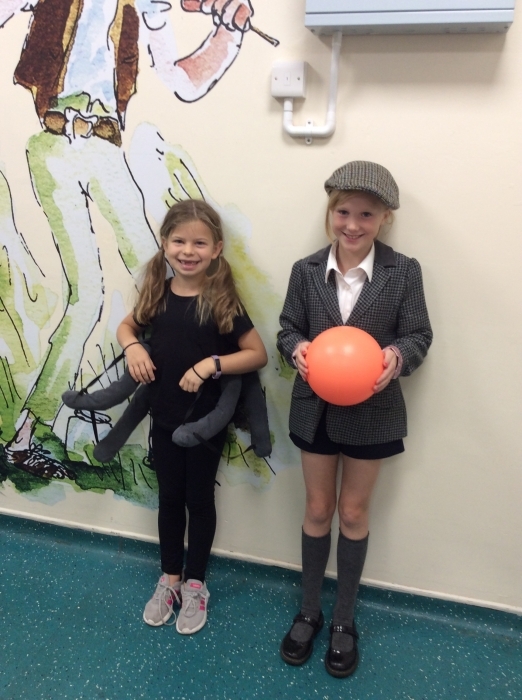 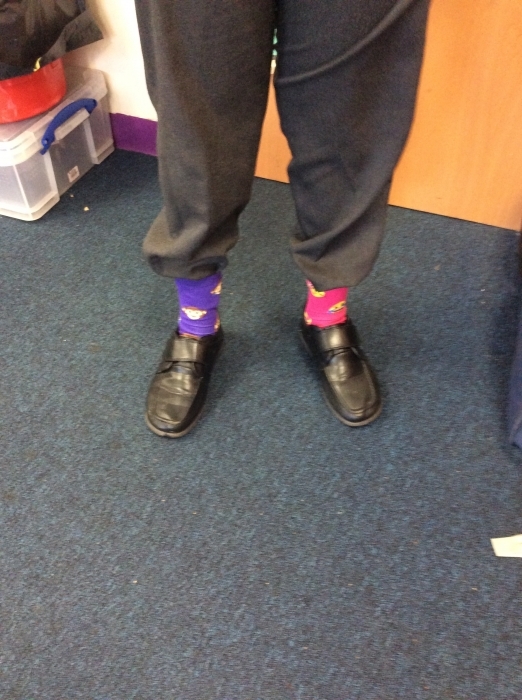 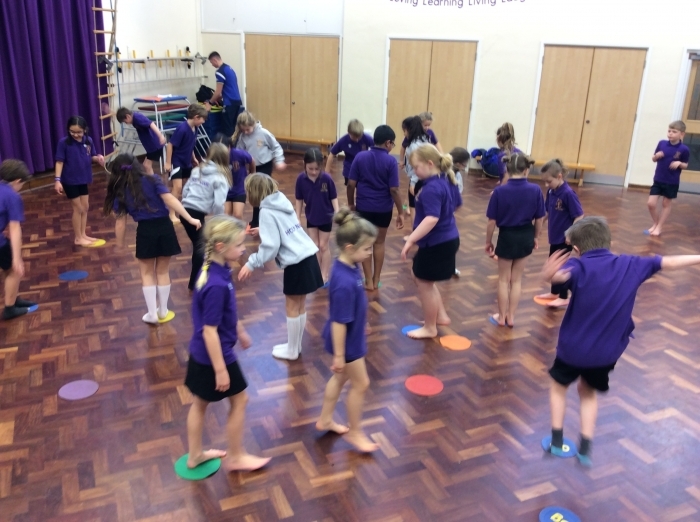 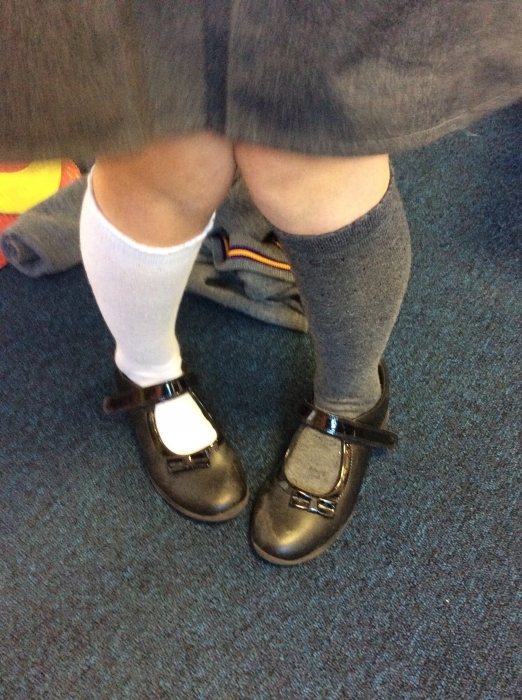 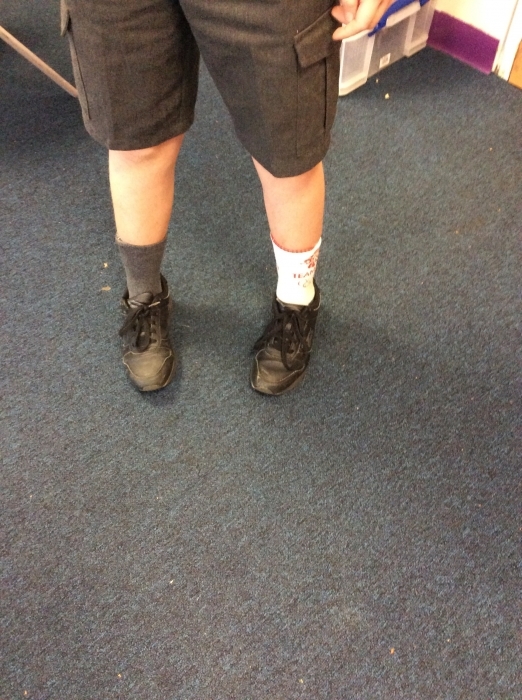 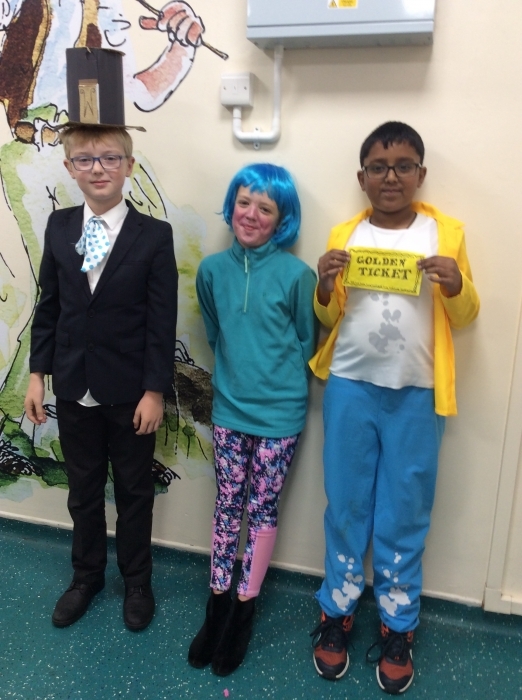 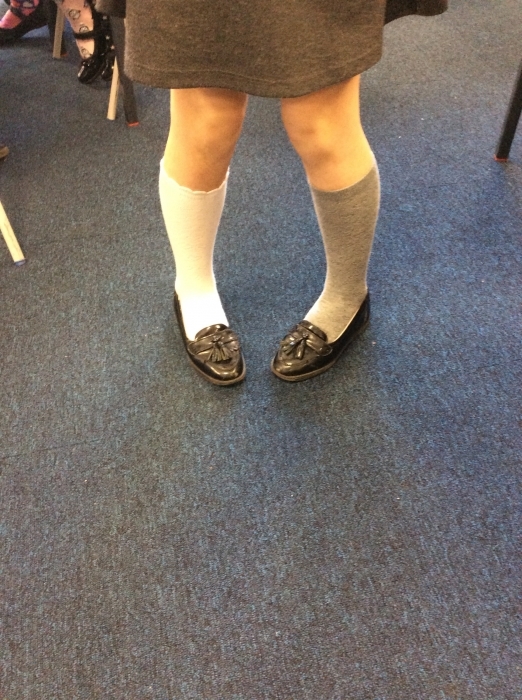 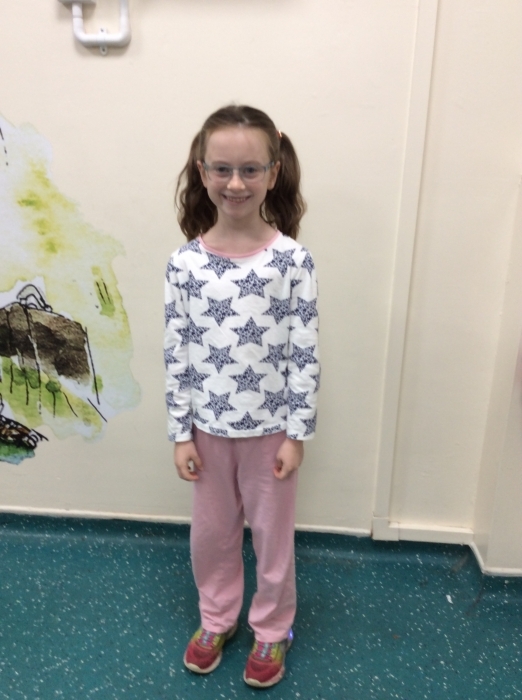 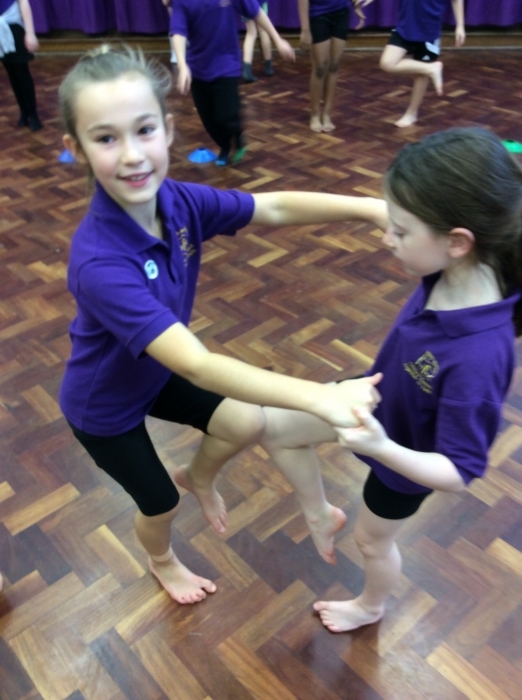 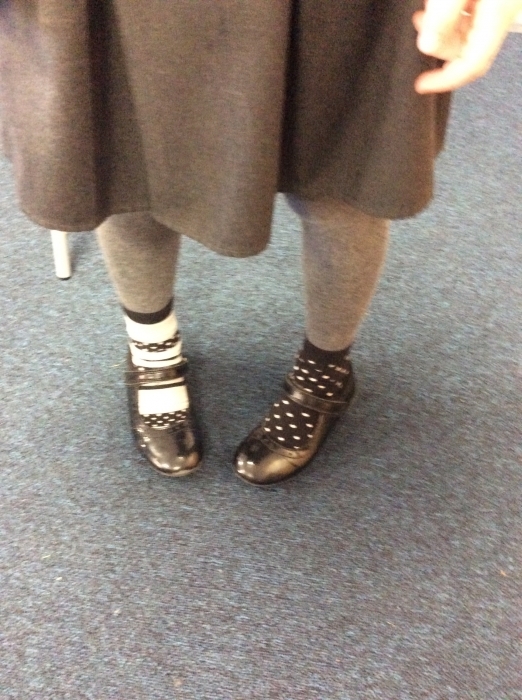 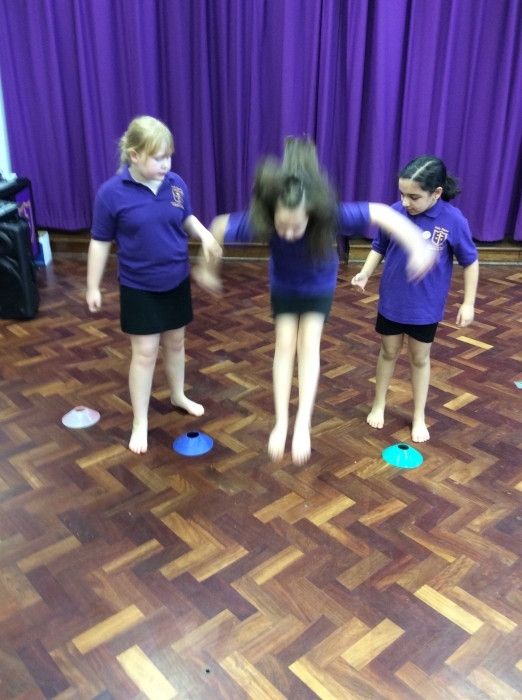 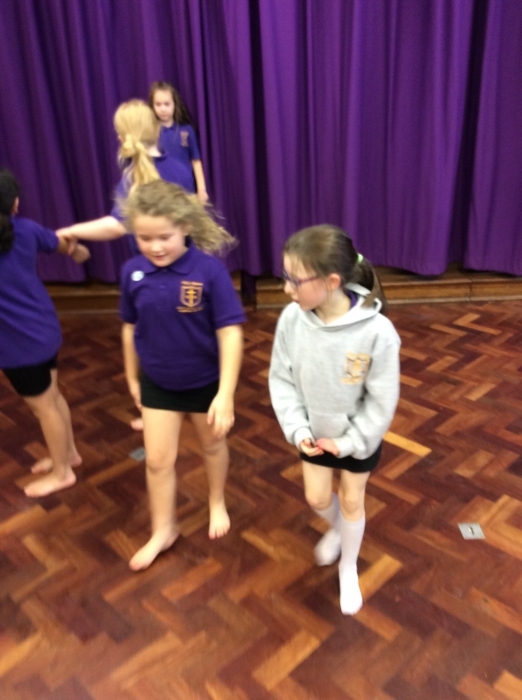 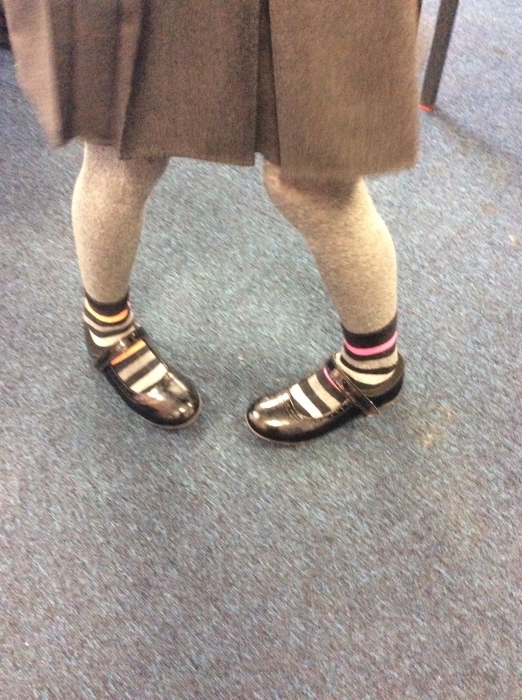 All of Year 4 joined in by wearing odd socks. 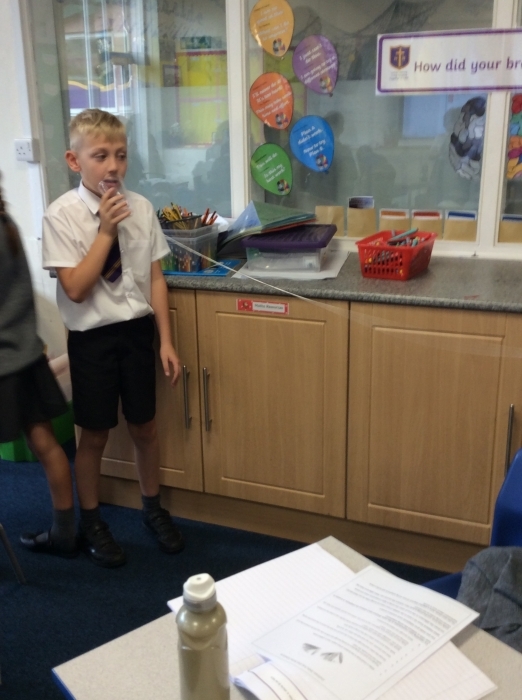 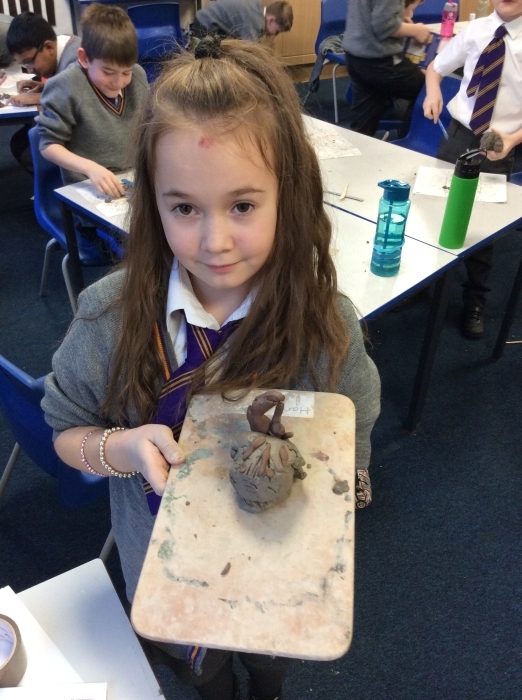 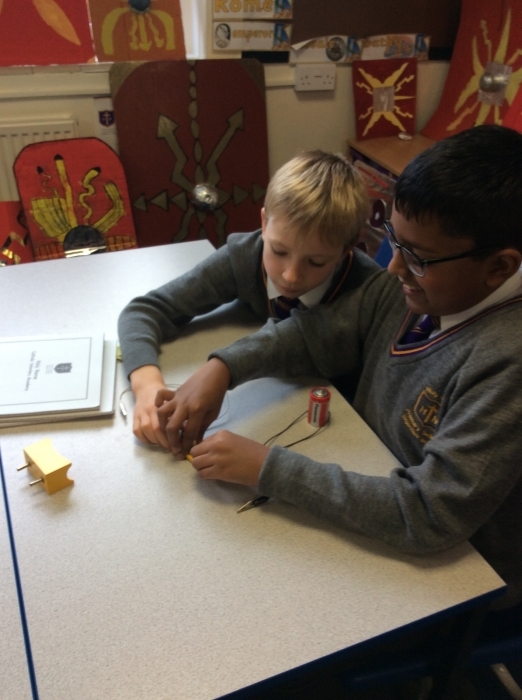 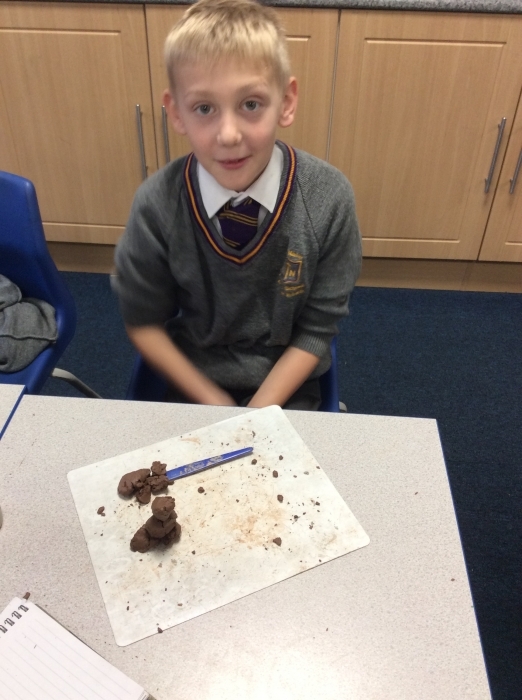 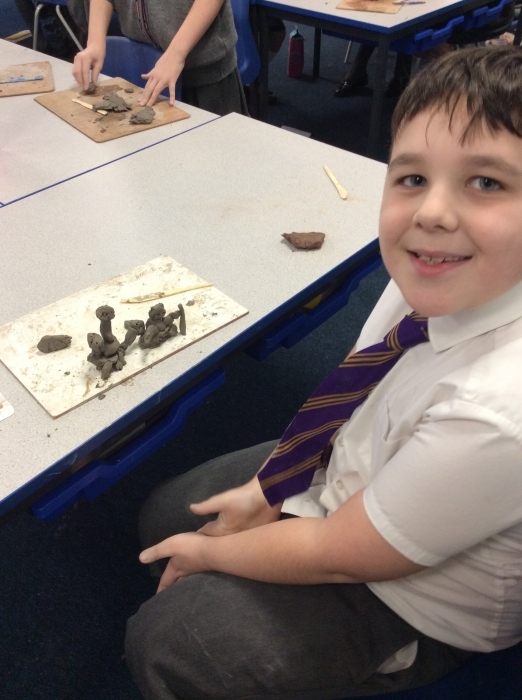 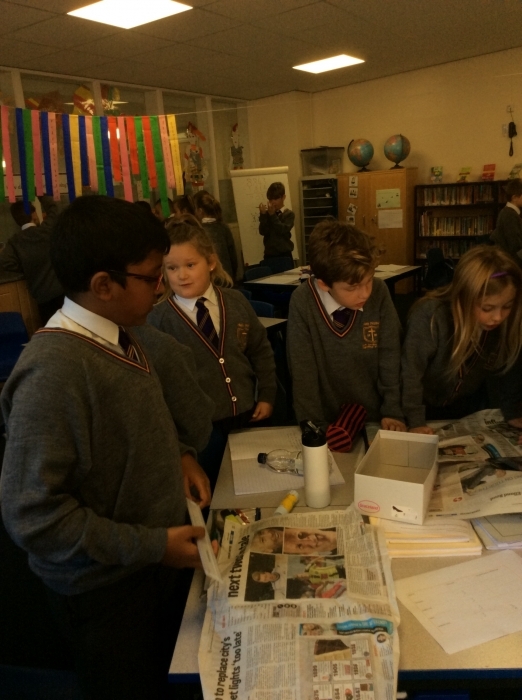 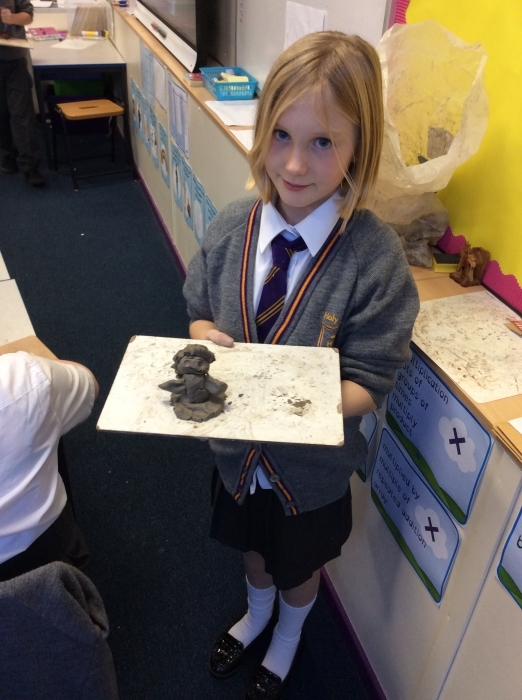 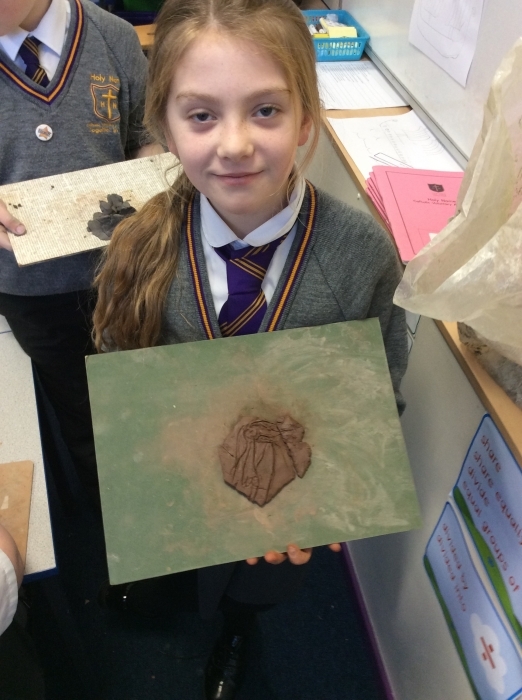 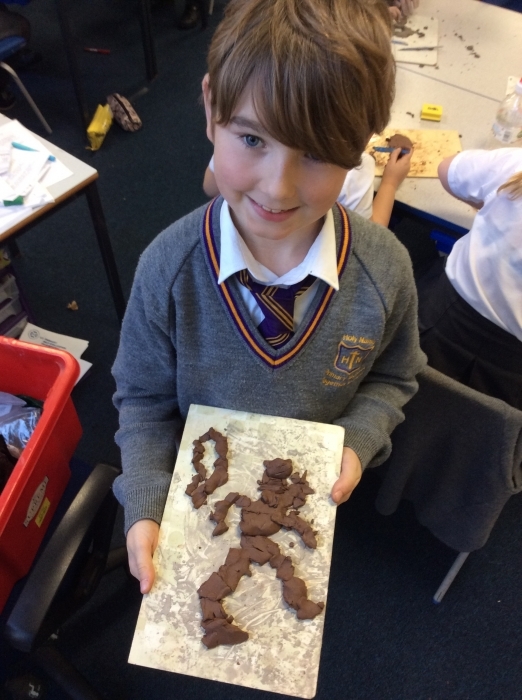 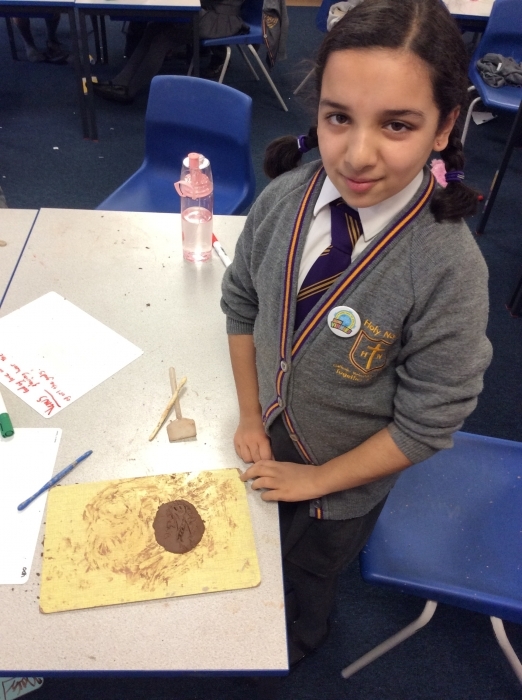 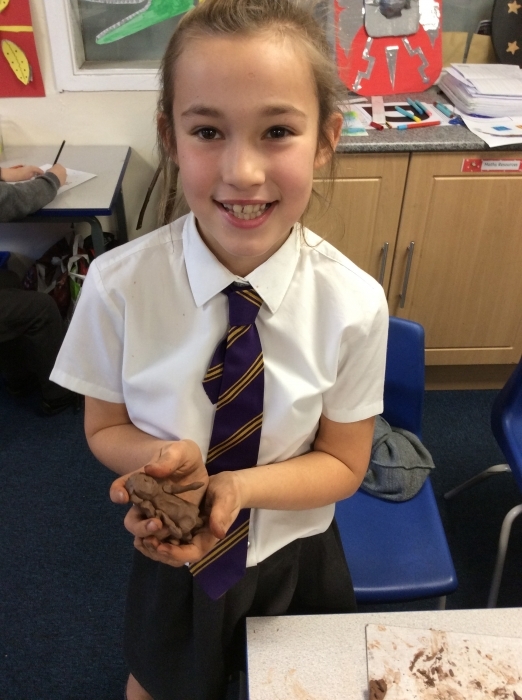 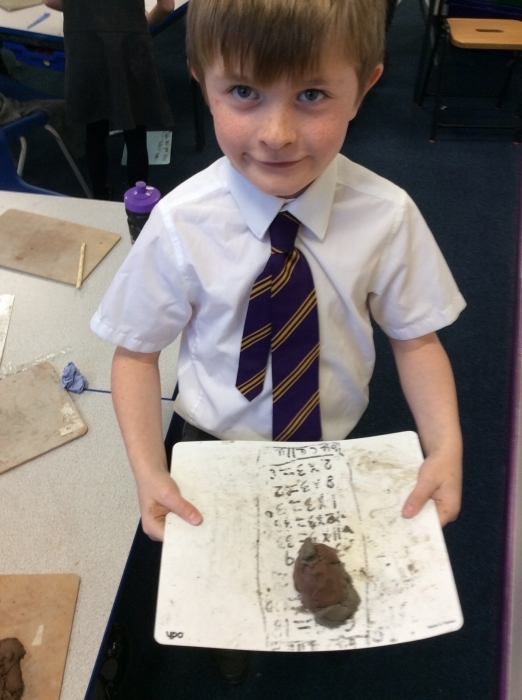 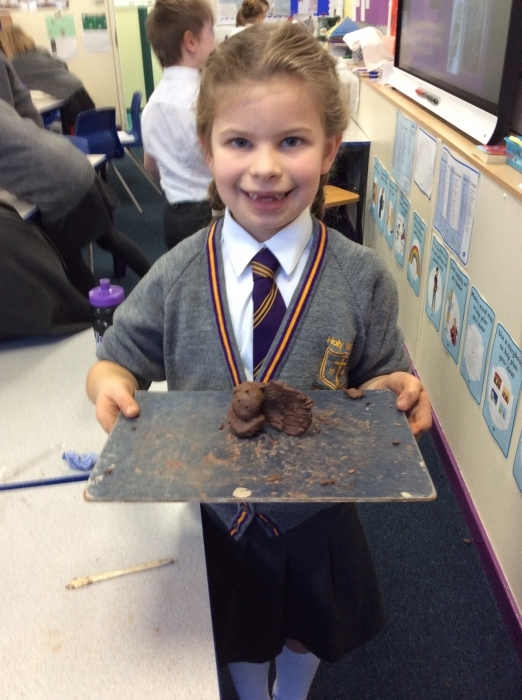 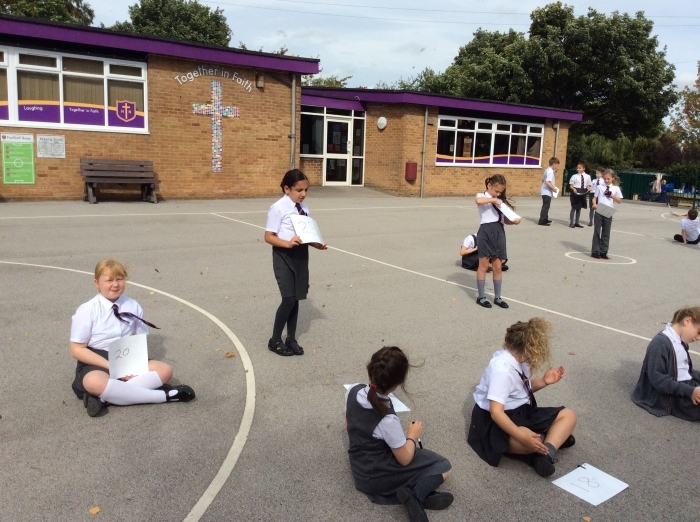 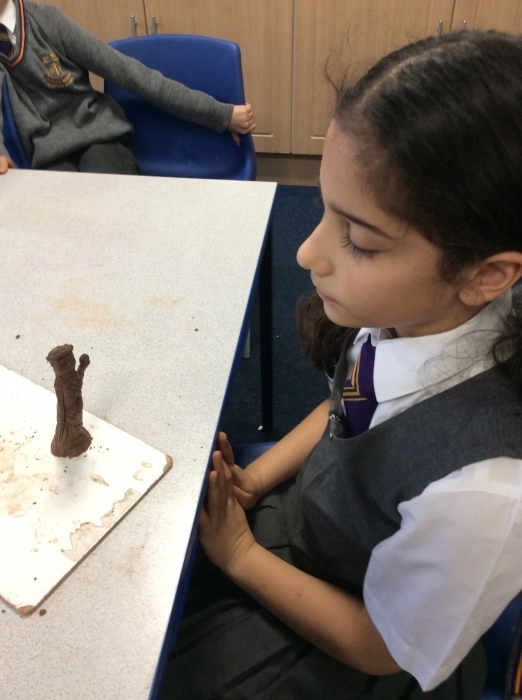 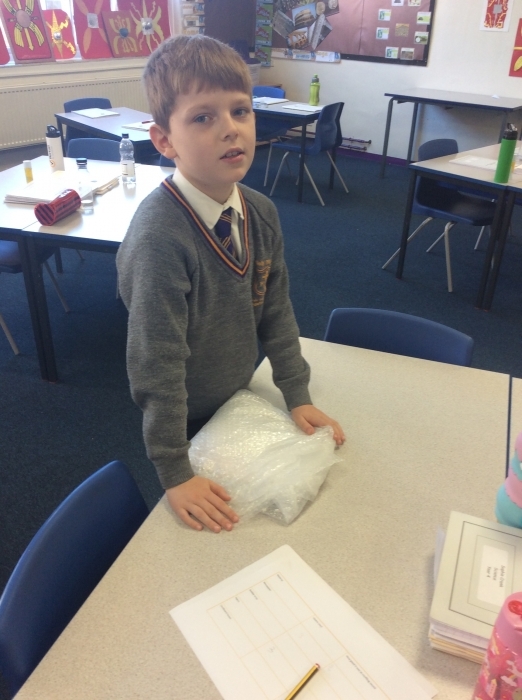 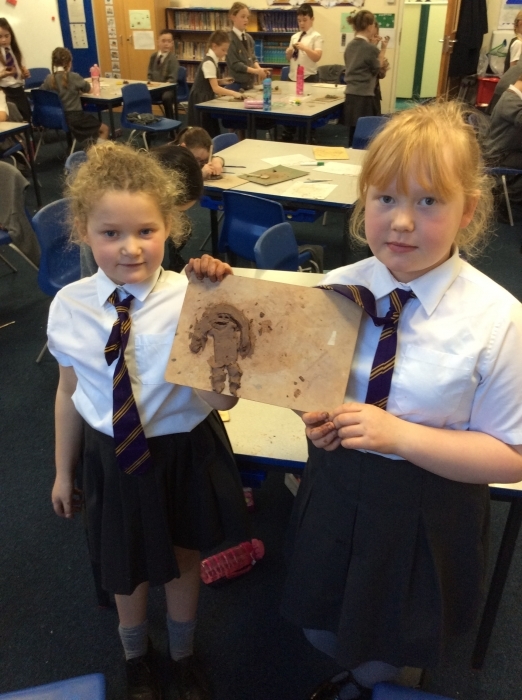 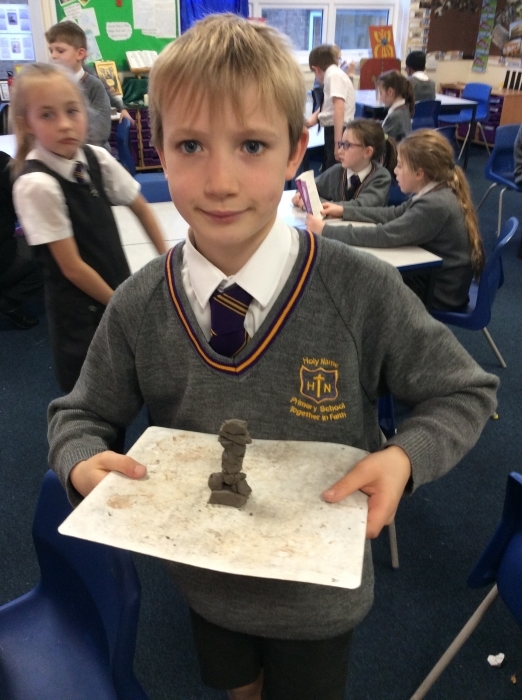 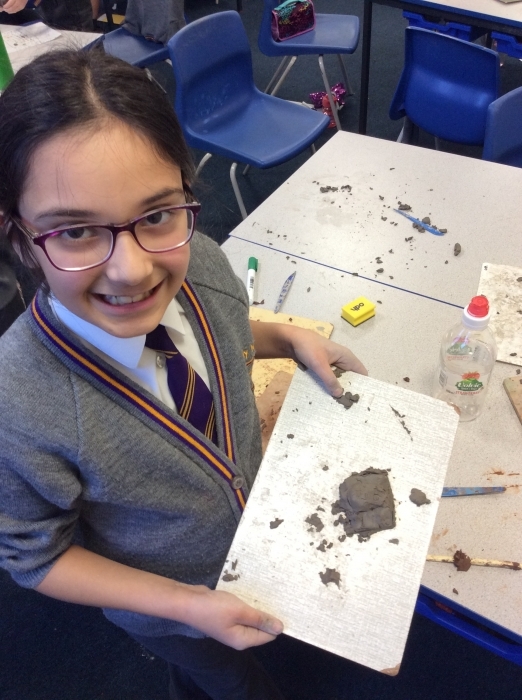 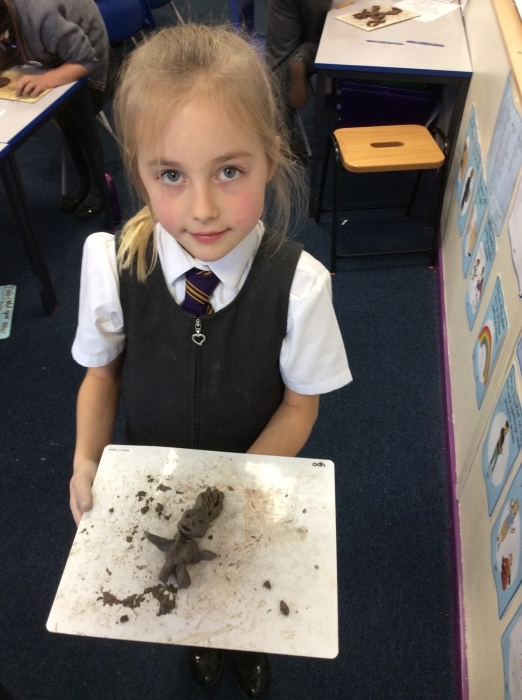 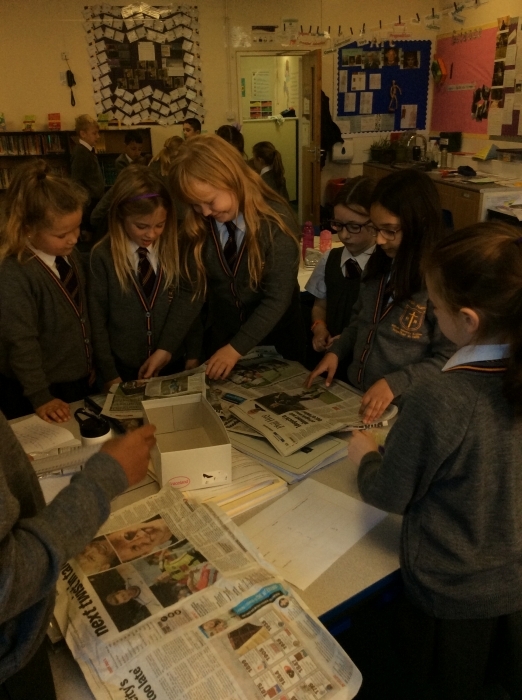 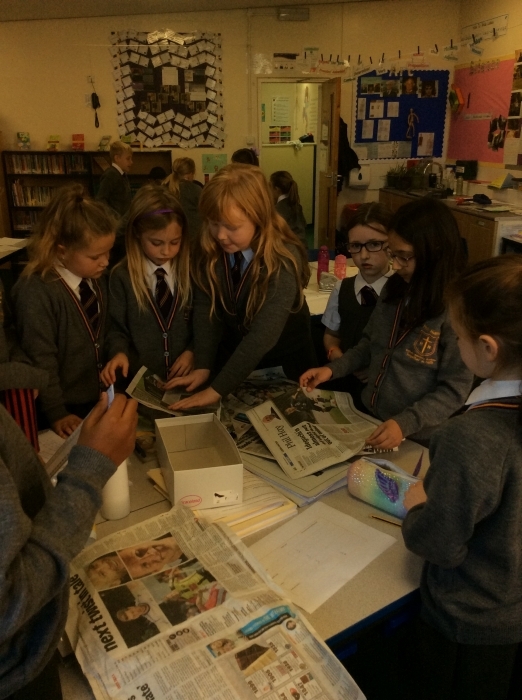 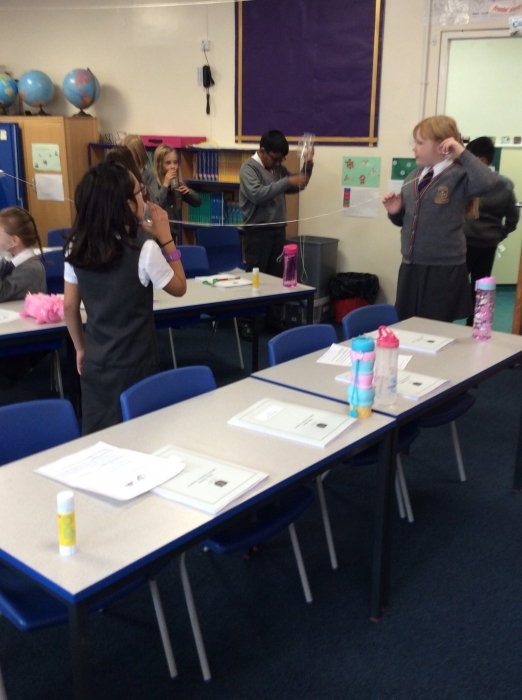 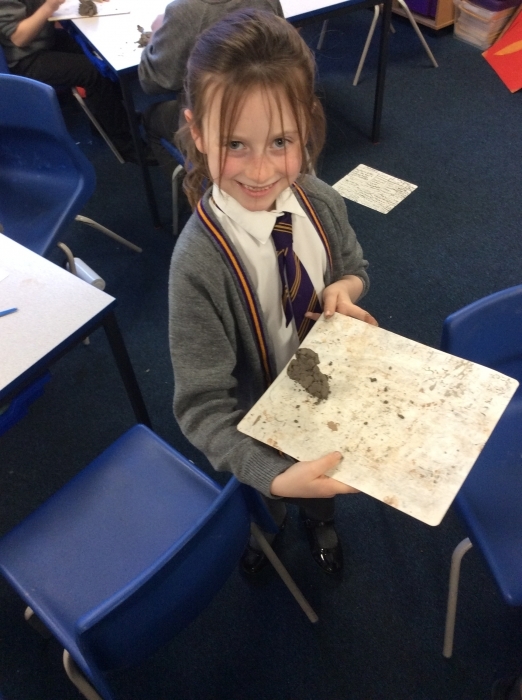 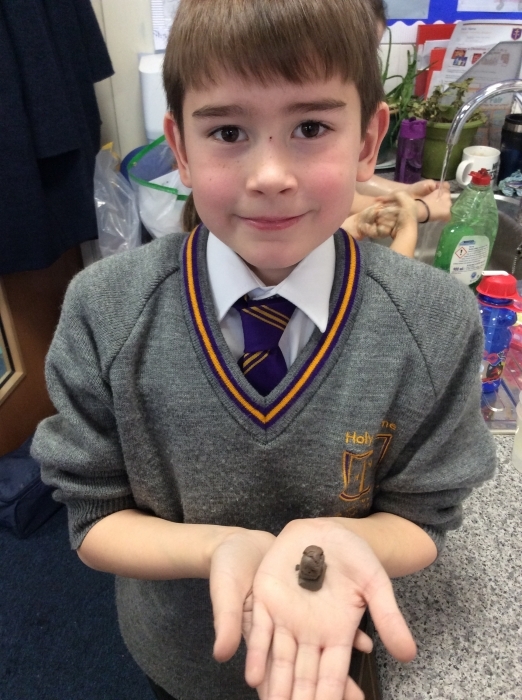 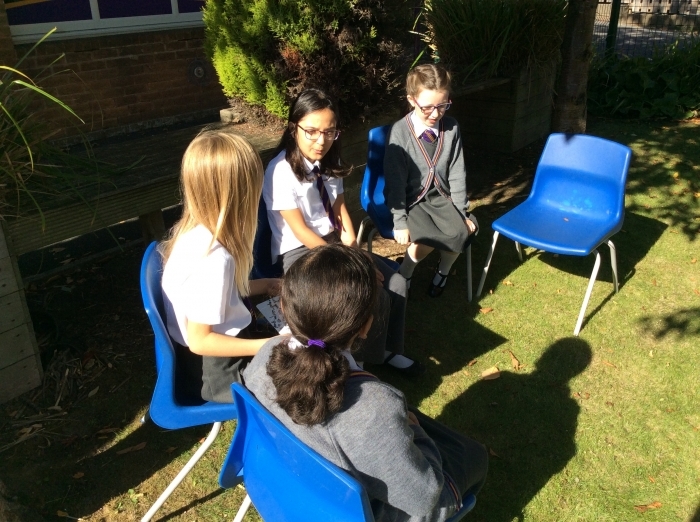 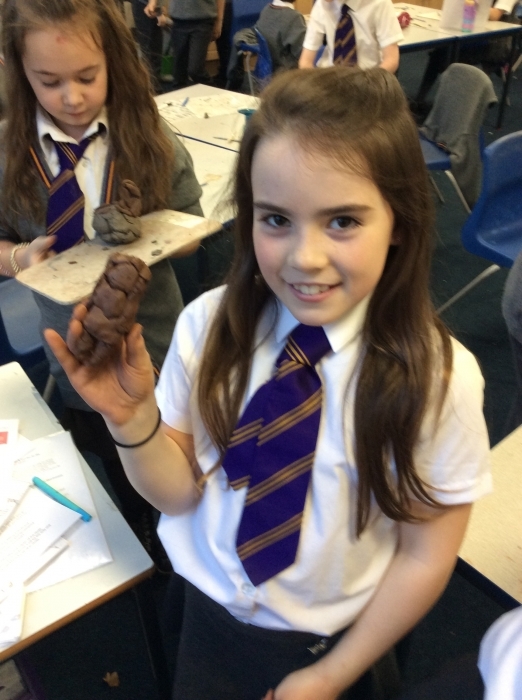 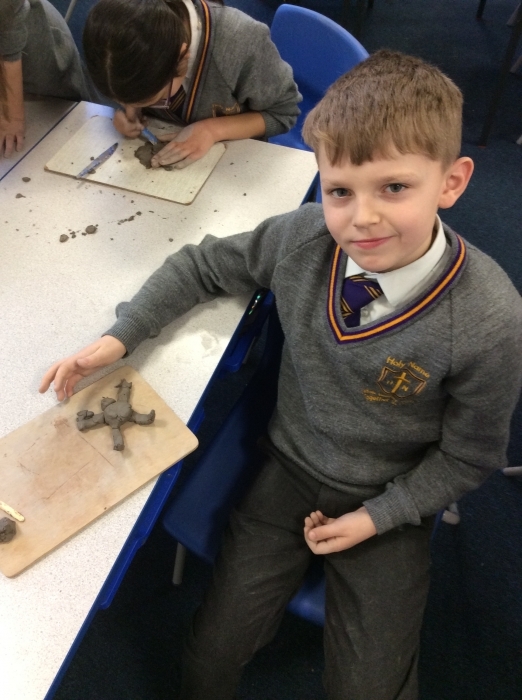 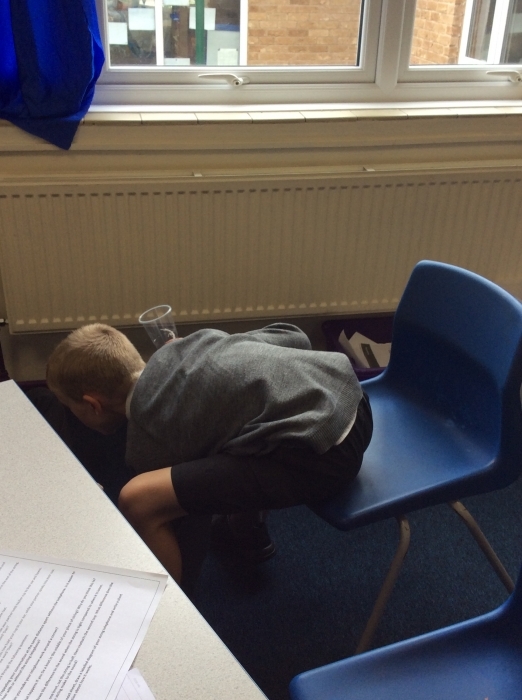 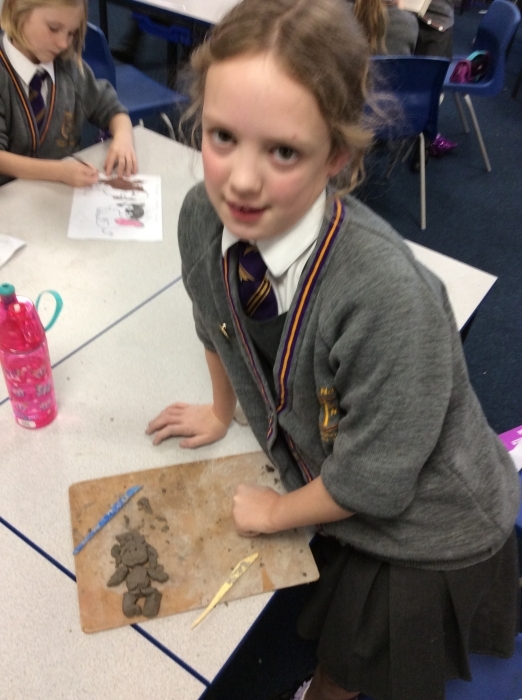 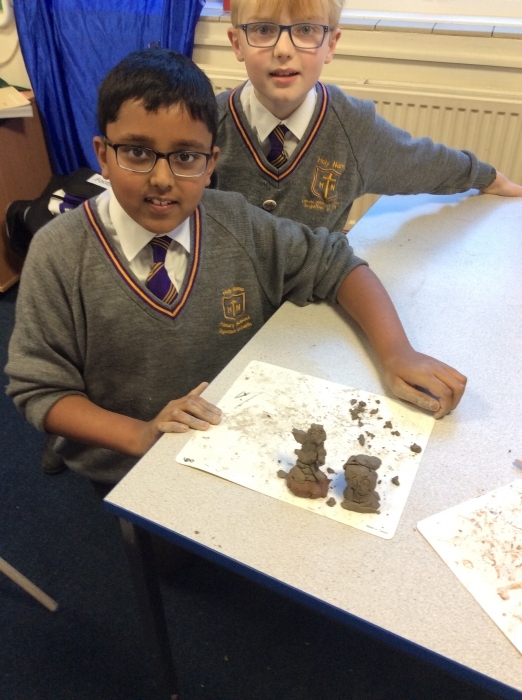 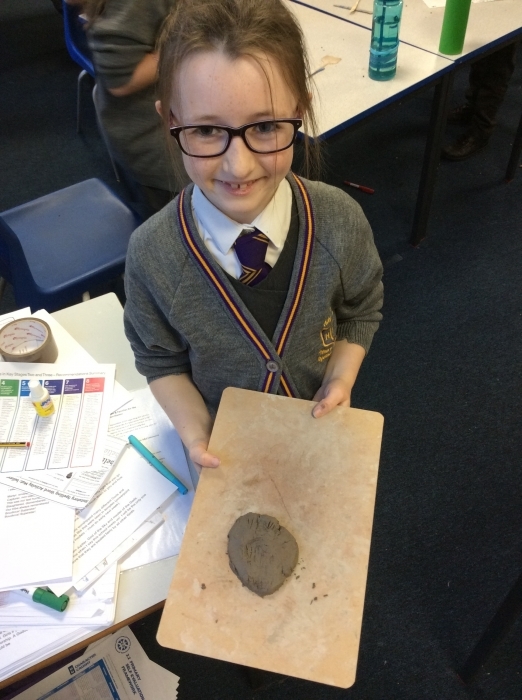 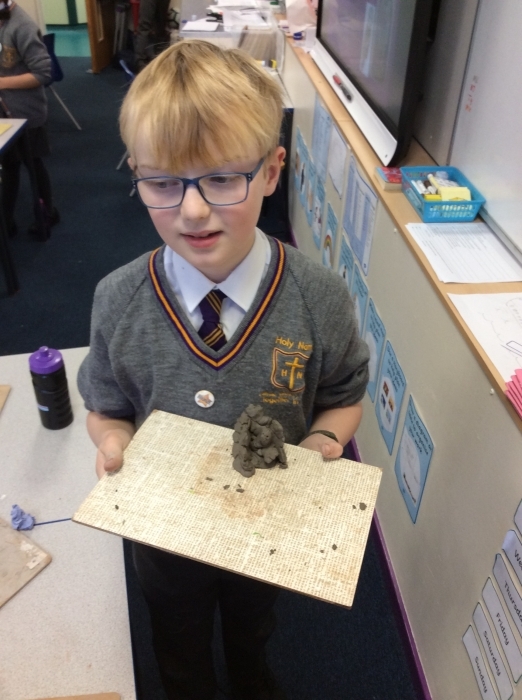 Year 4 have been learning all about how the Romans often made statues of the Gods they worshiped. 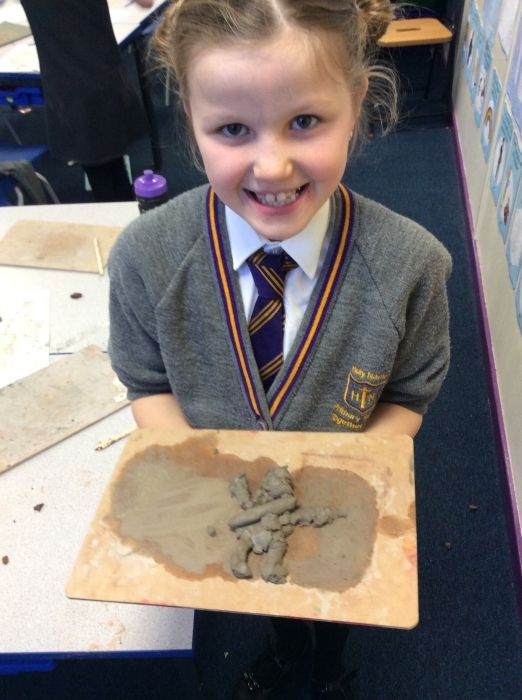 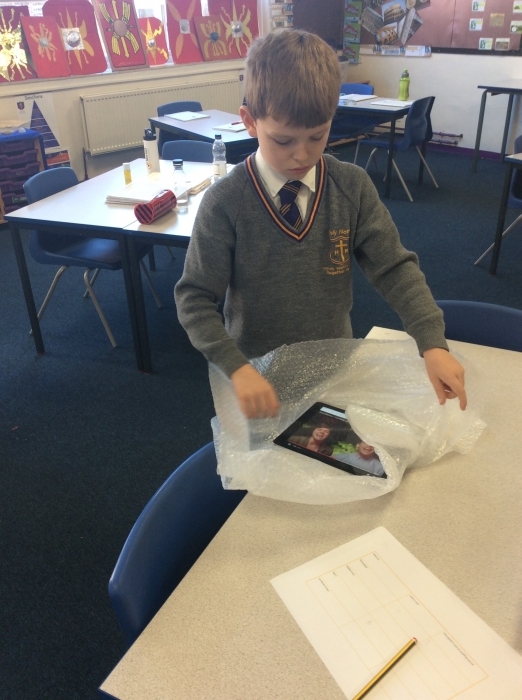 They then had a go at making some of their own. 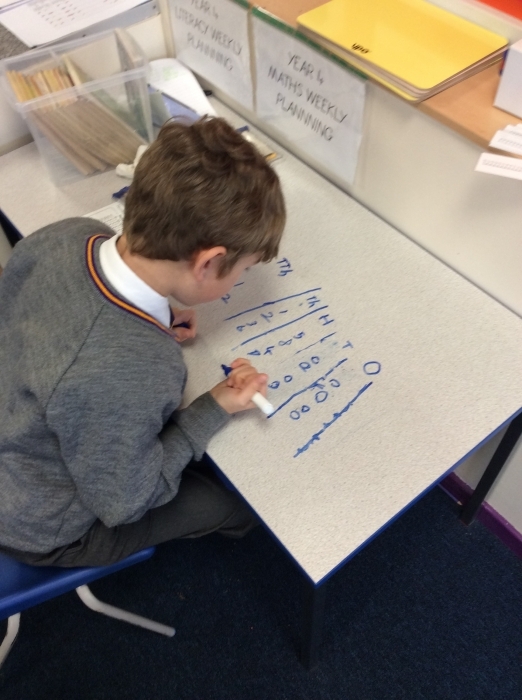 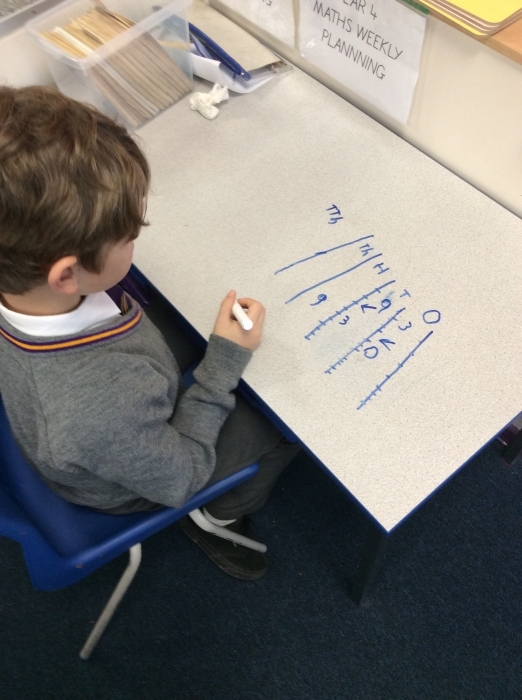 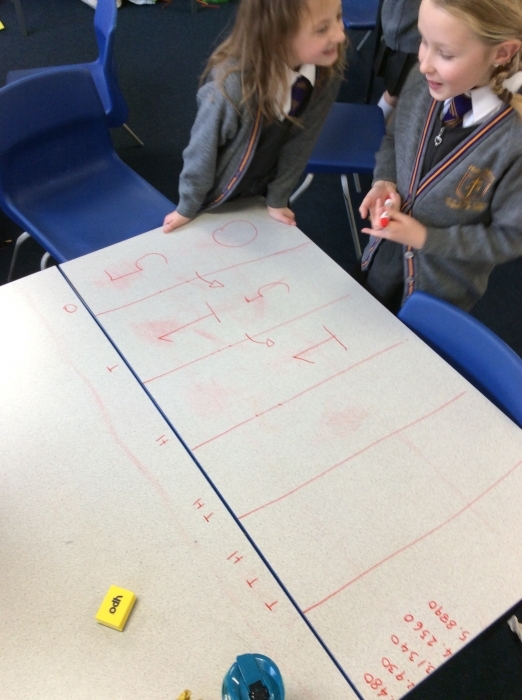 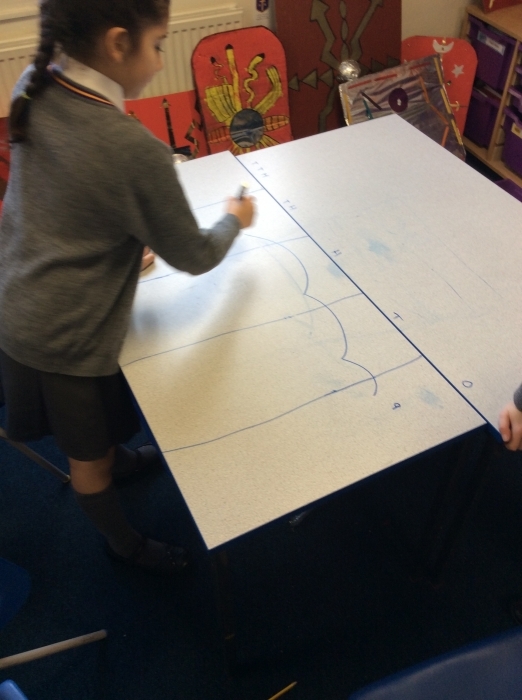 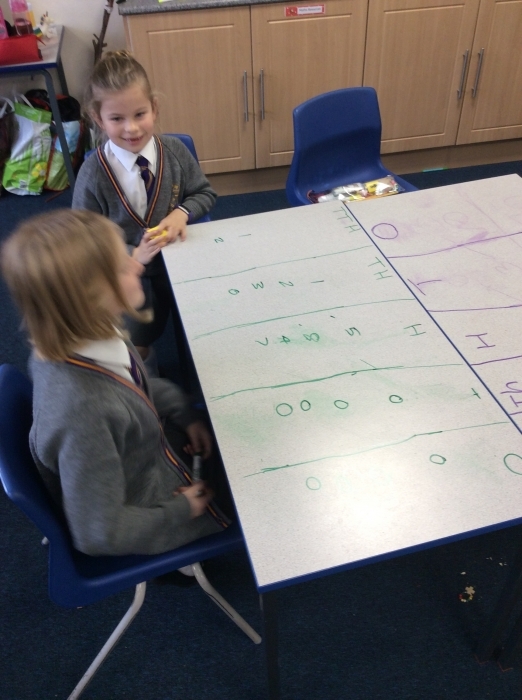 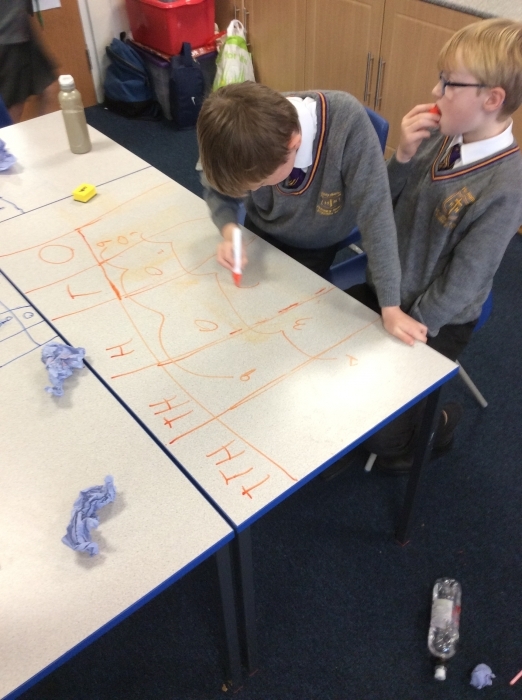 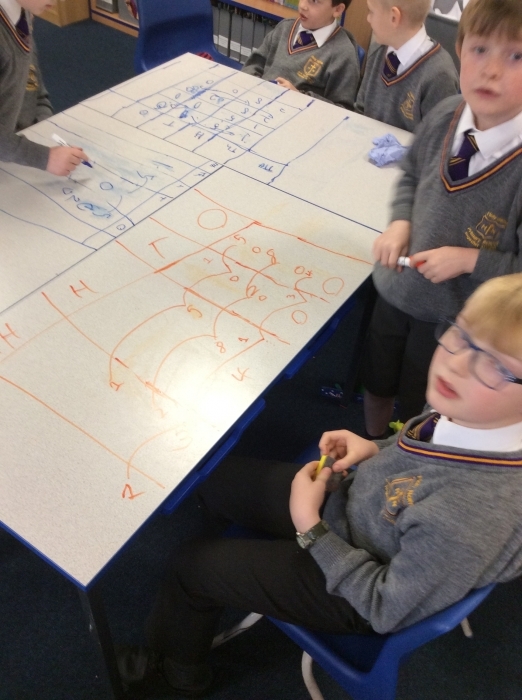 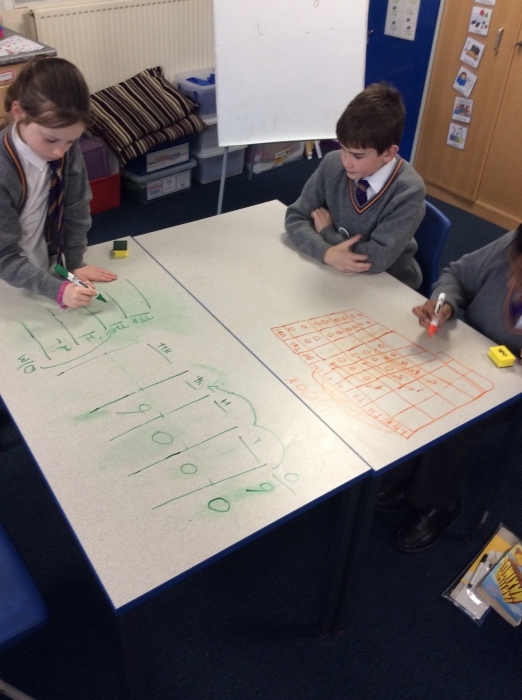 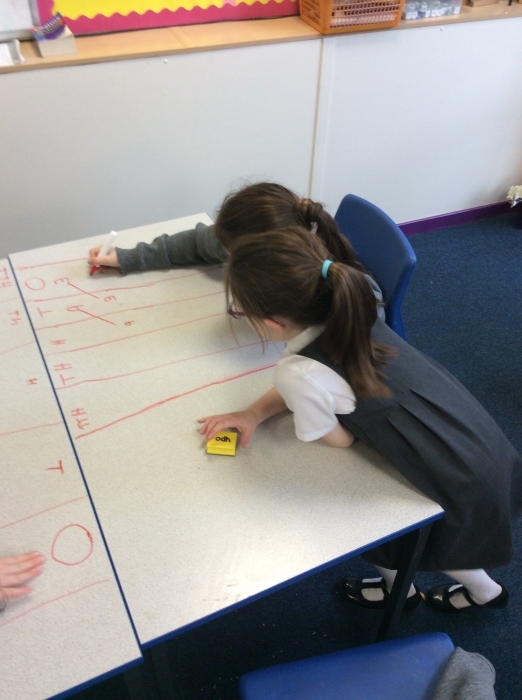 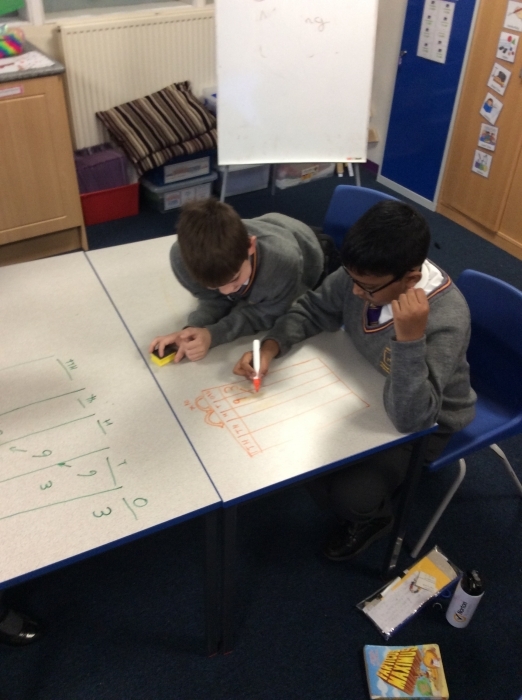 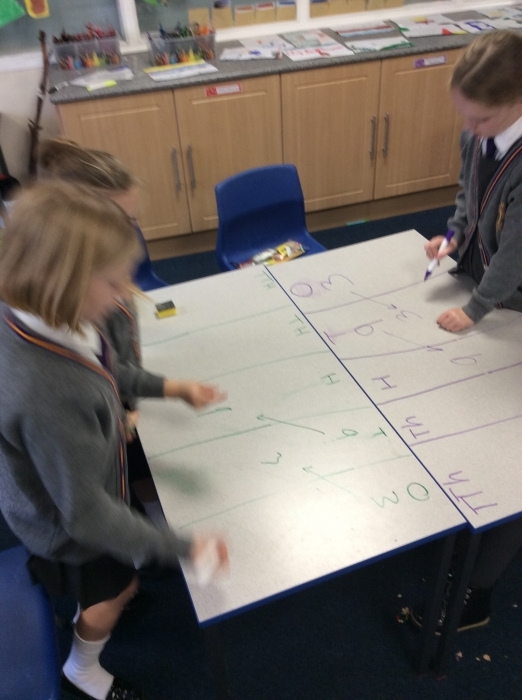 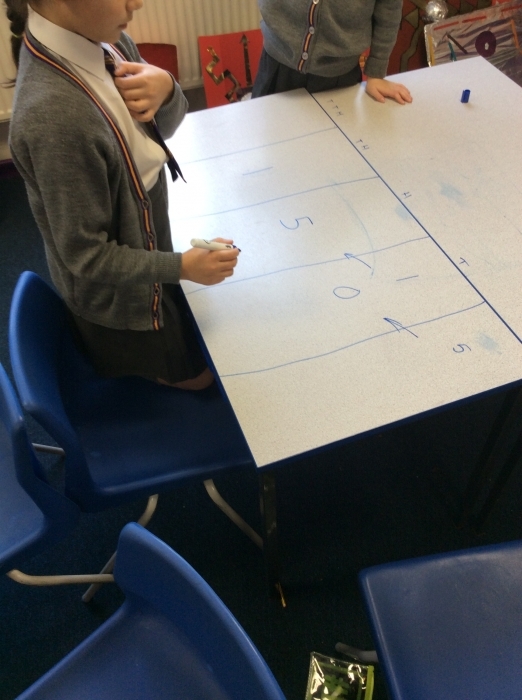 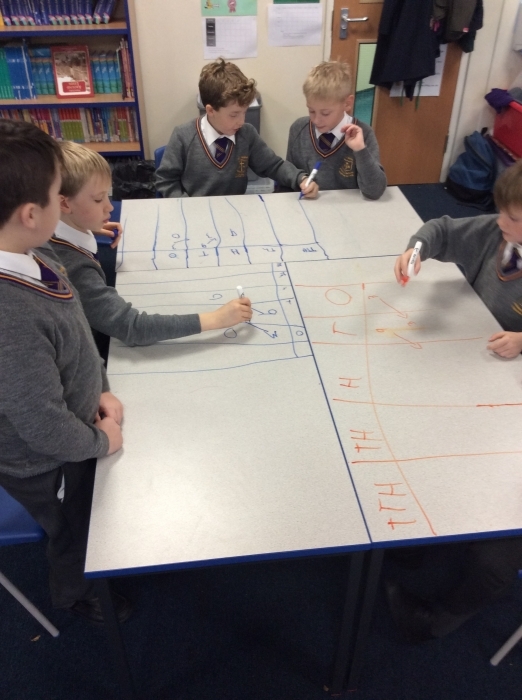 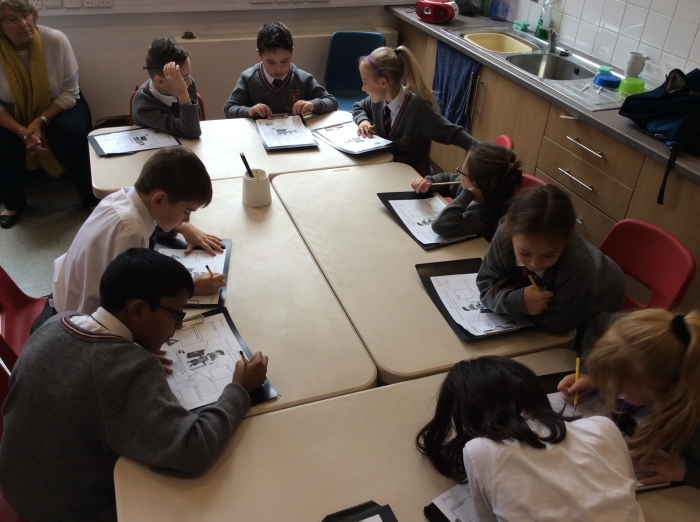 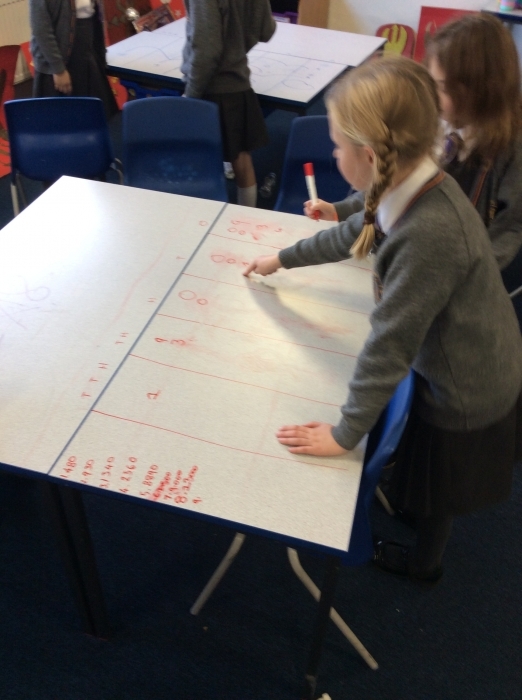 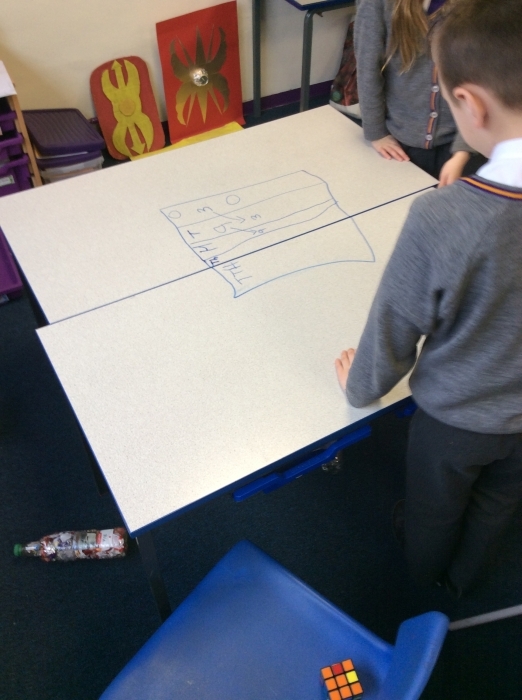 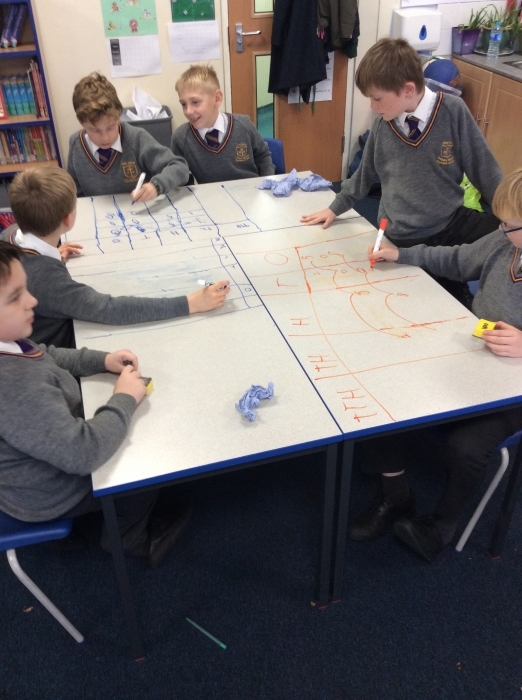 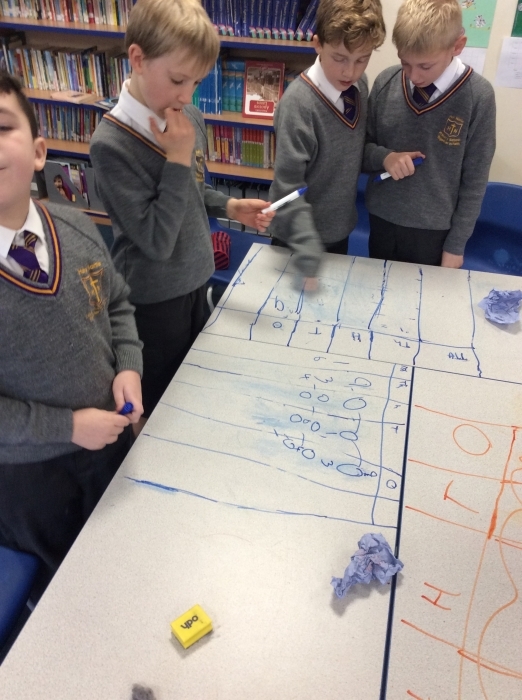 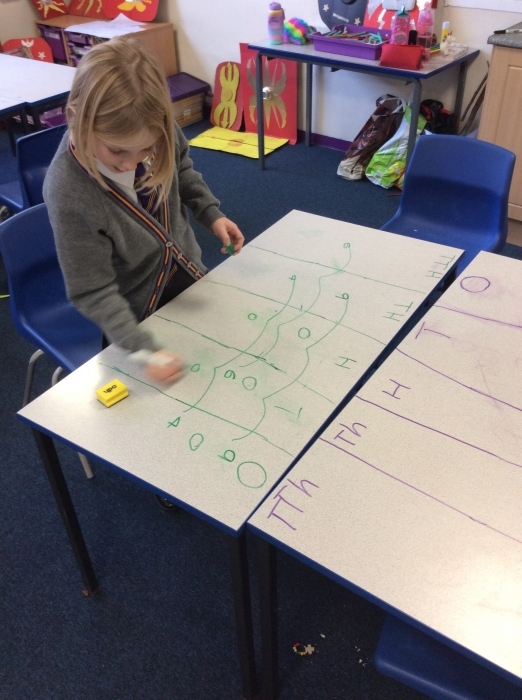 Year 4 have draw all over the tables in maths - it is ok though, they have become giant whiteboards. 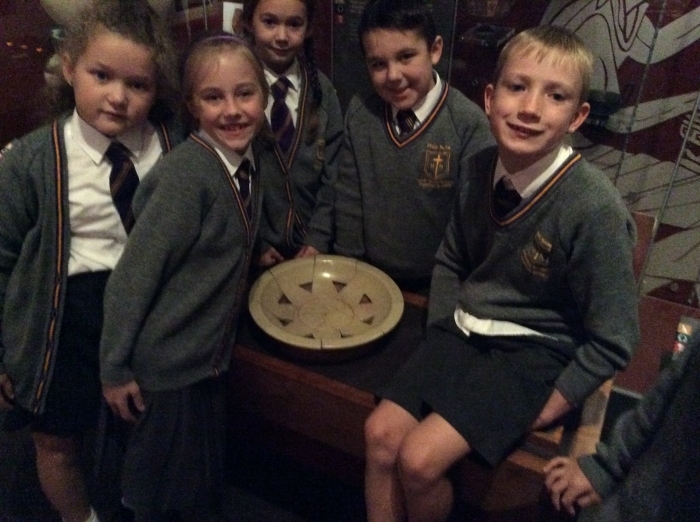 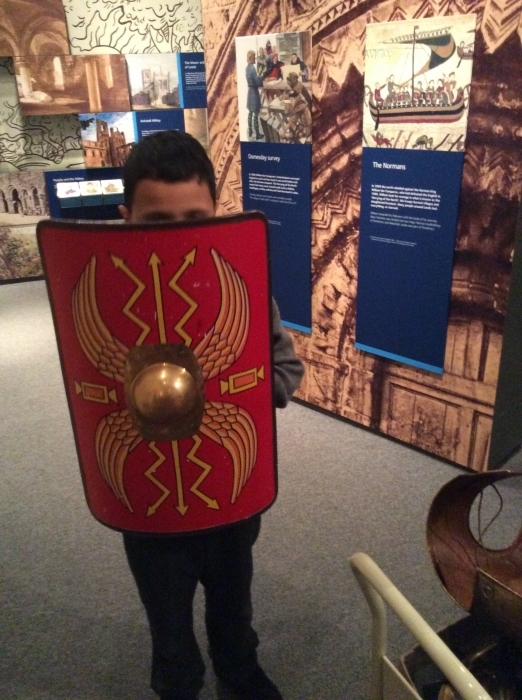 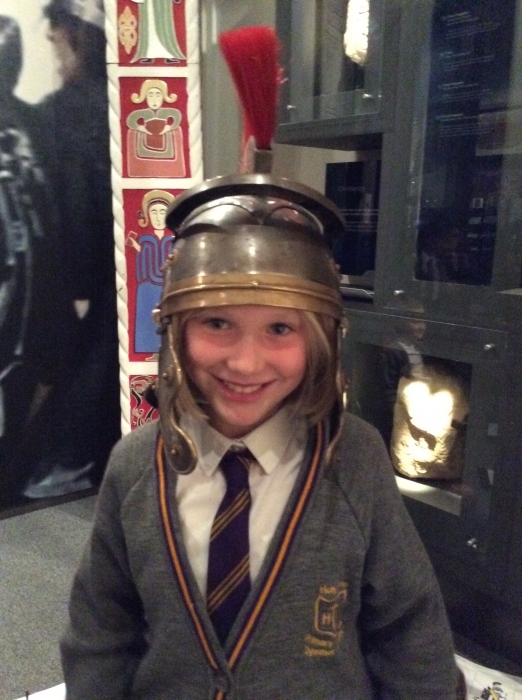 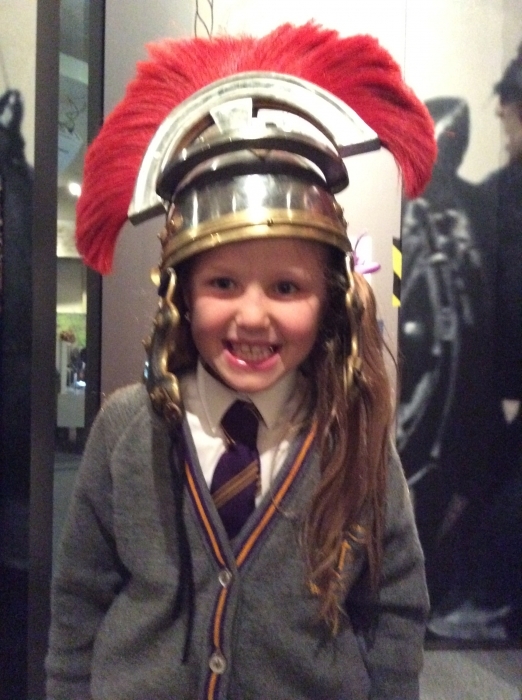 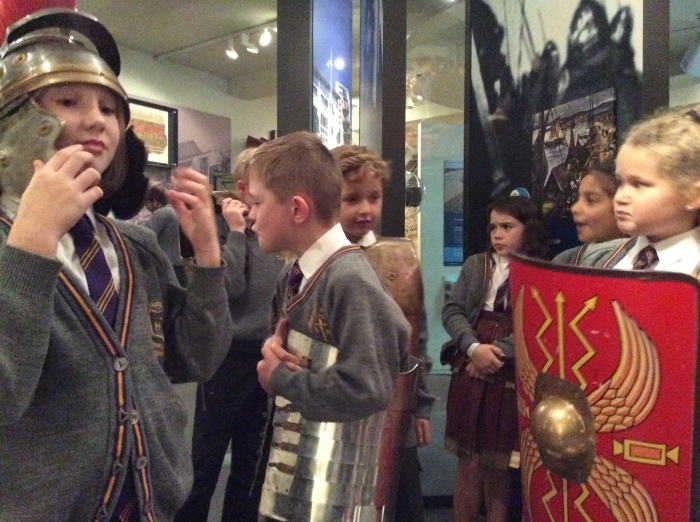 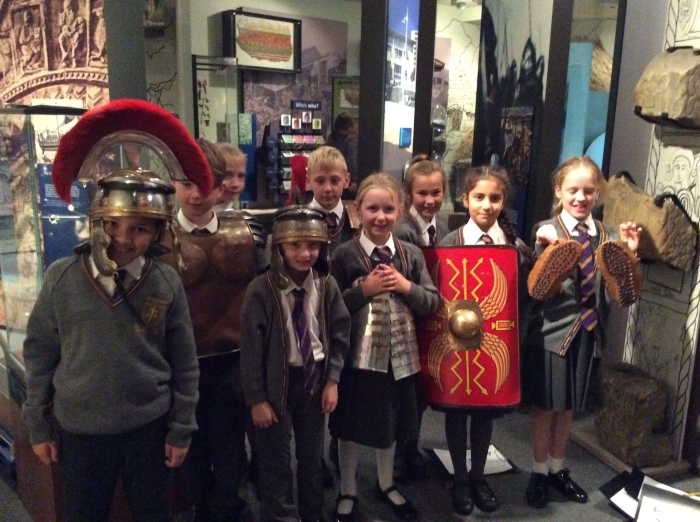 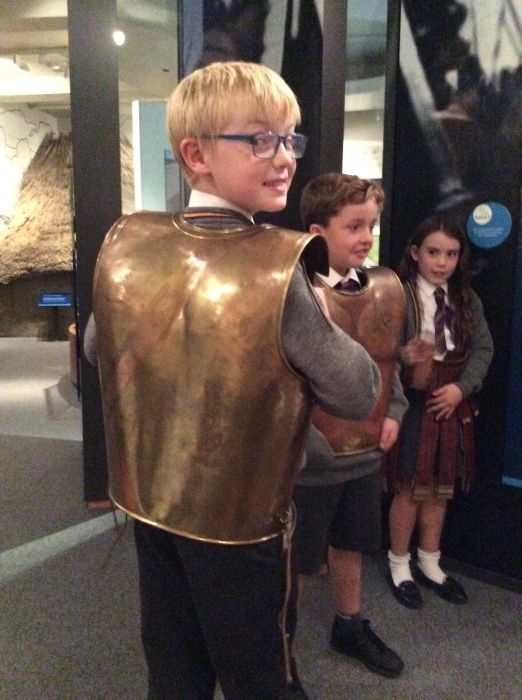 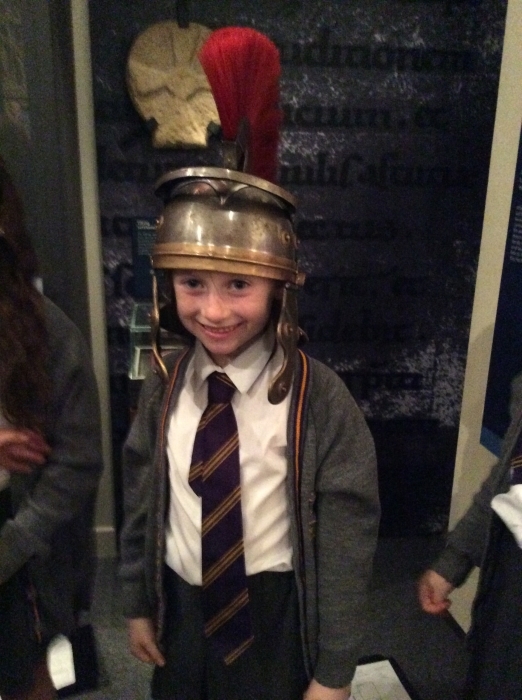 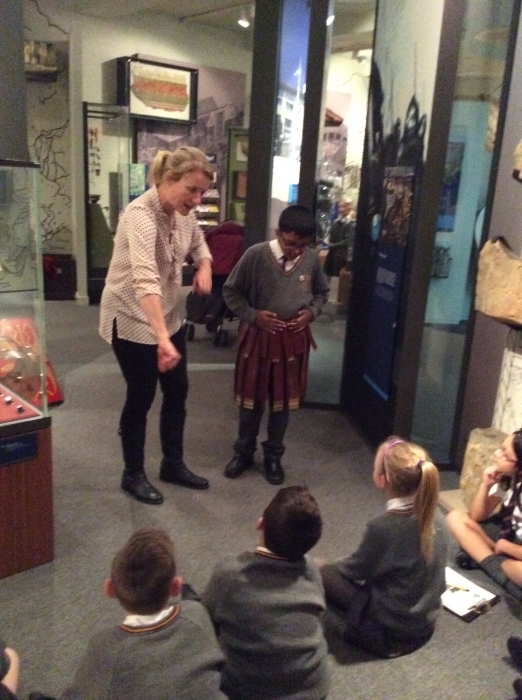 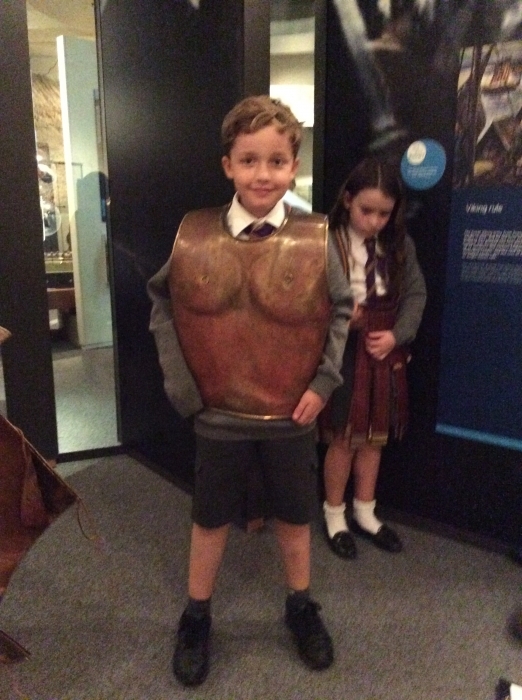 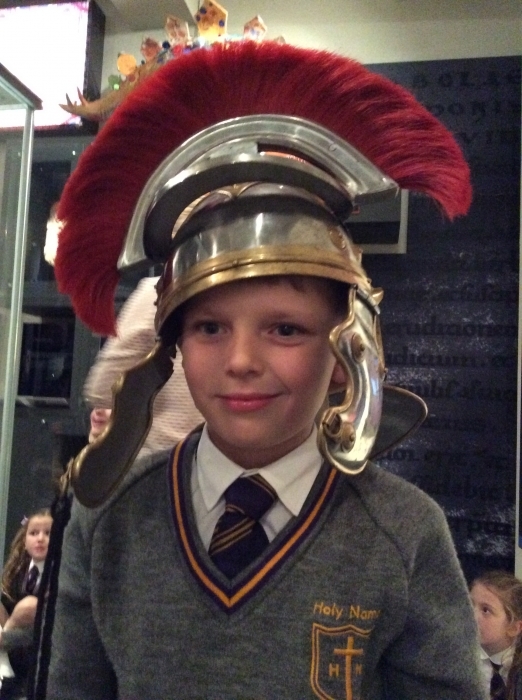 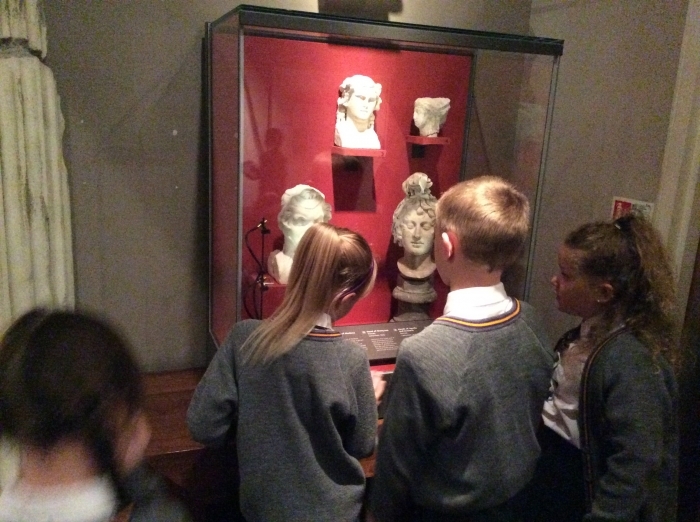 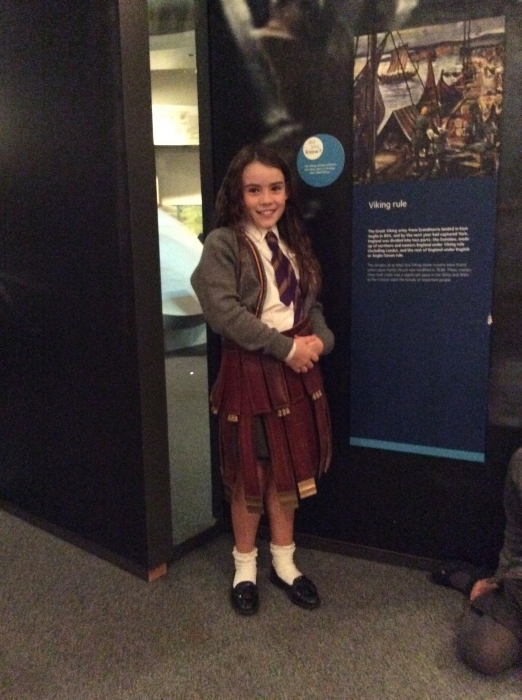 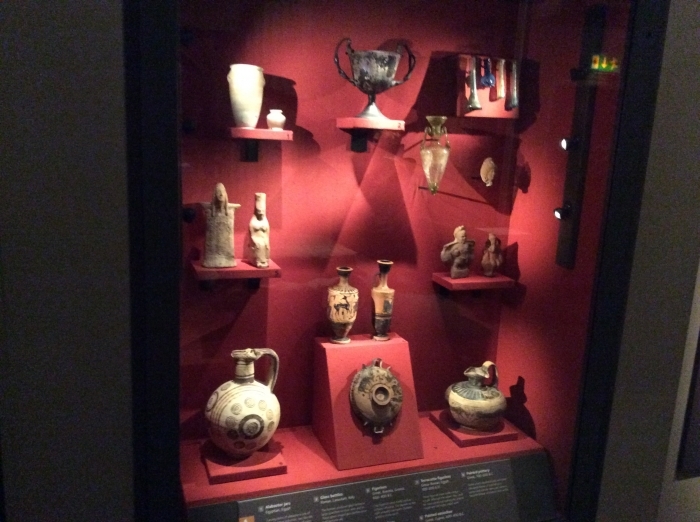 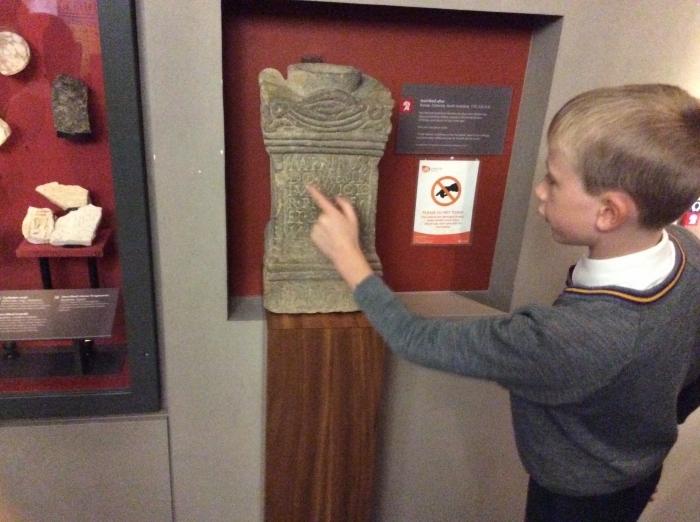 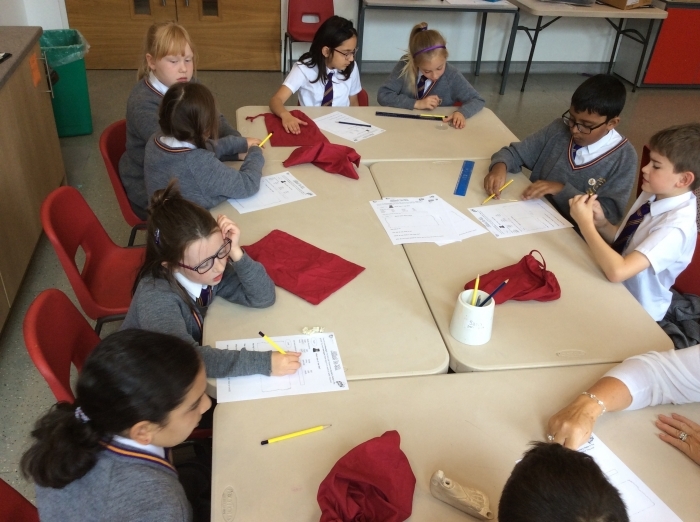 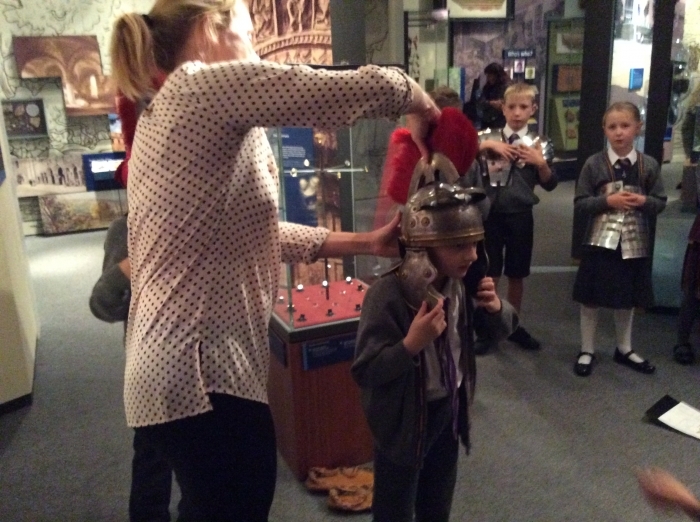 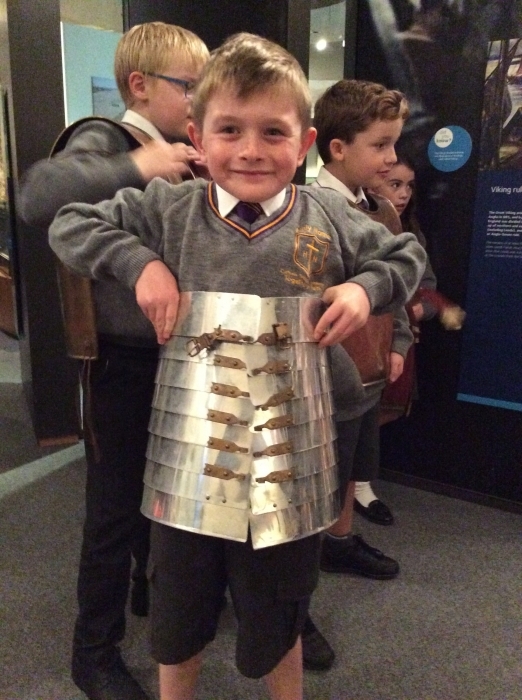 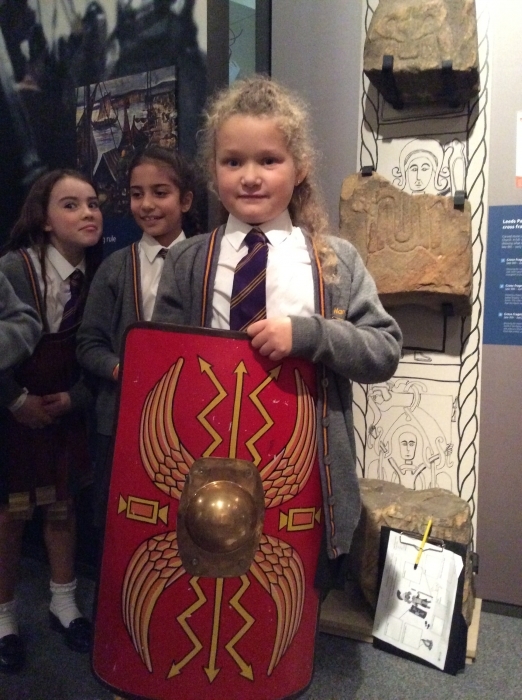 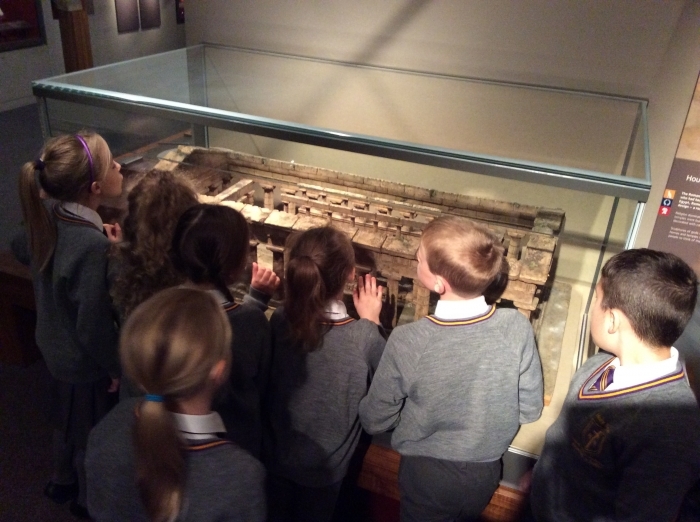 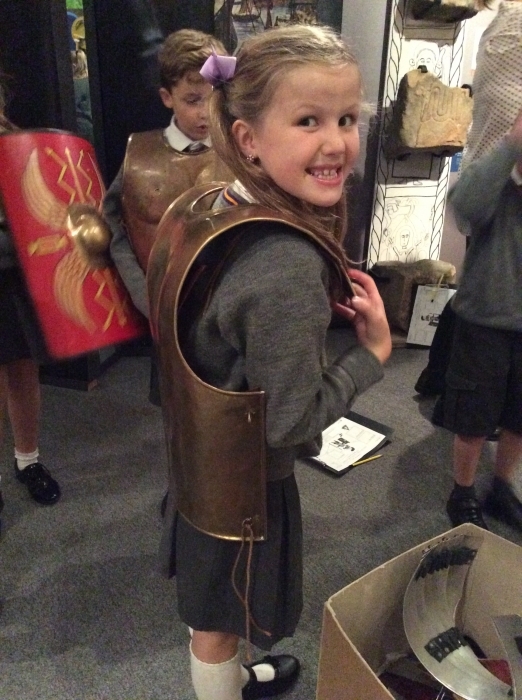 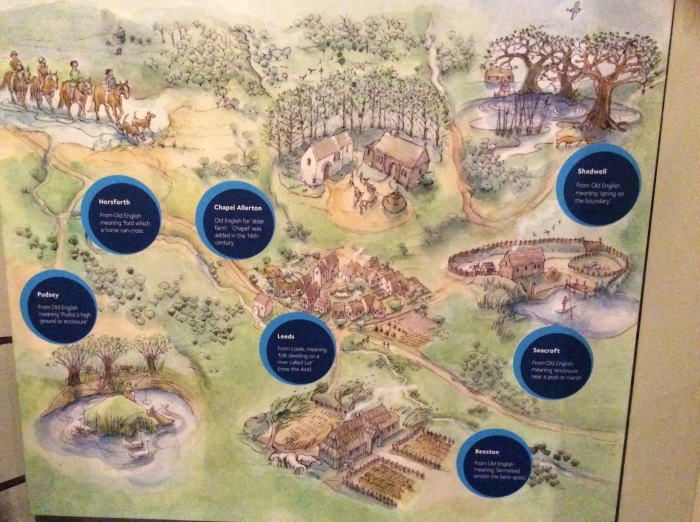 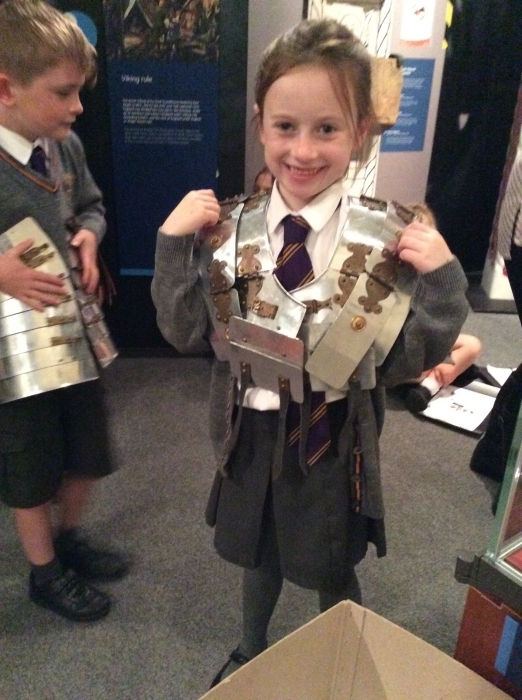 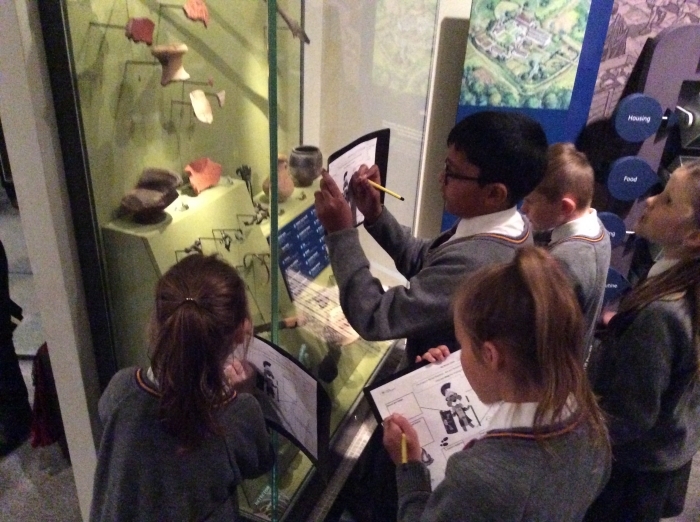 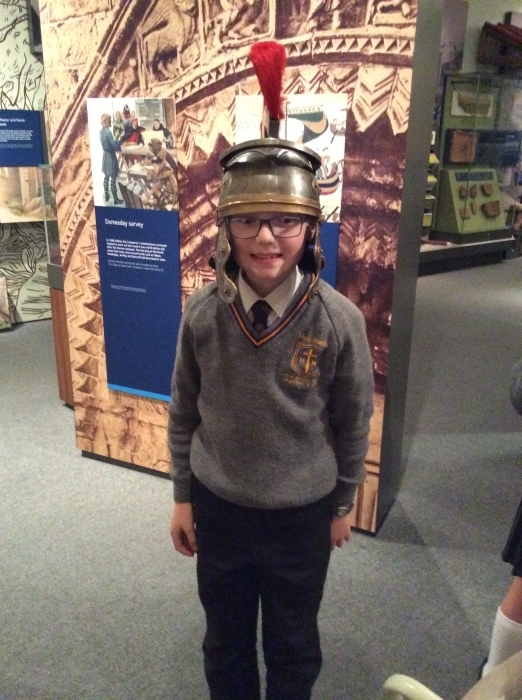 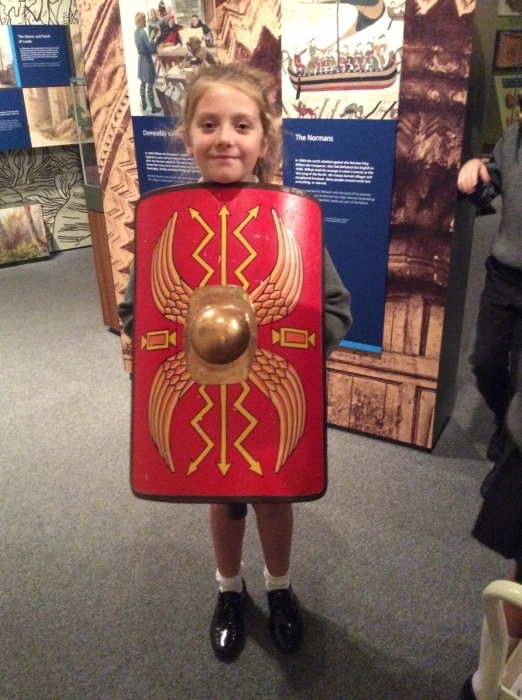 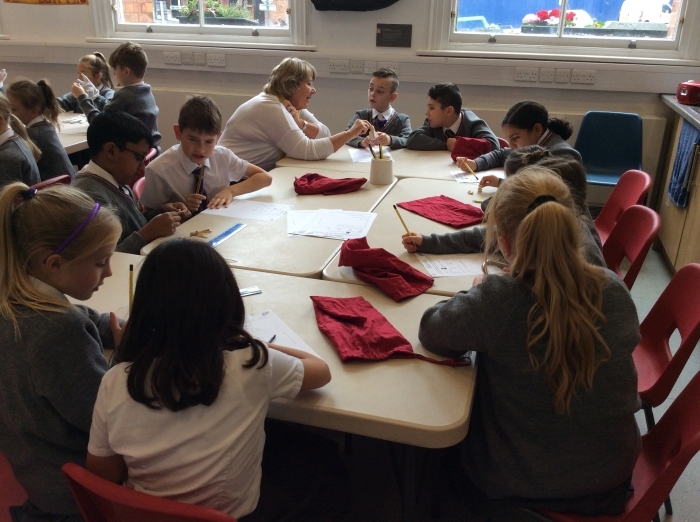 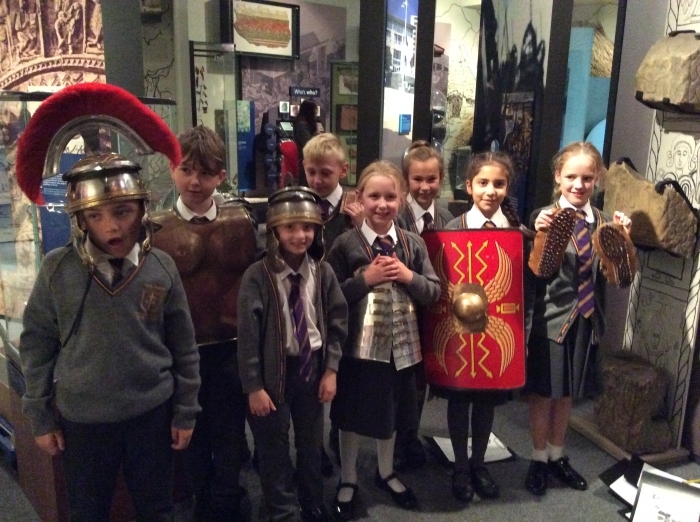 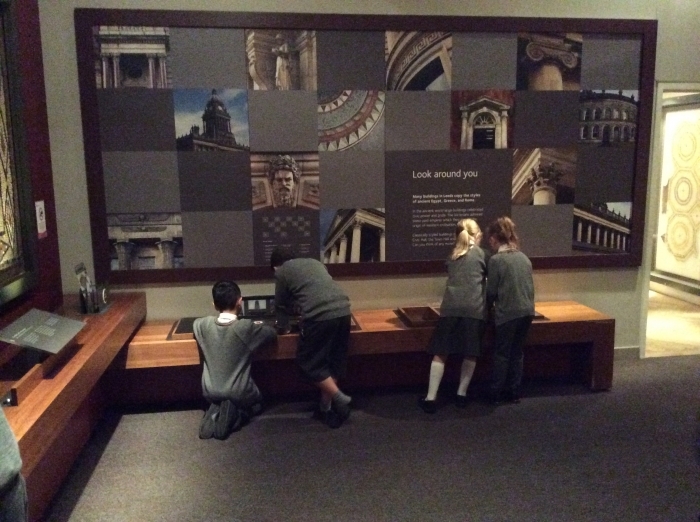 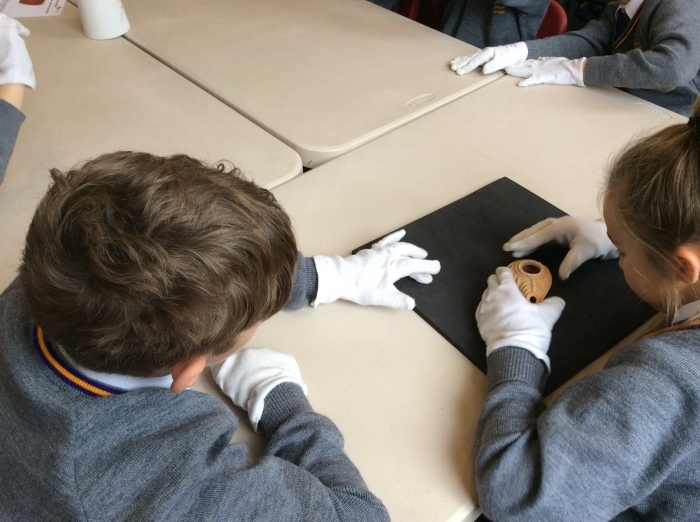 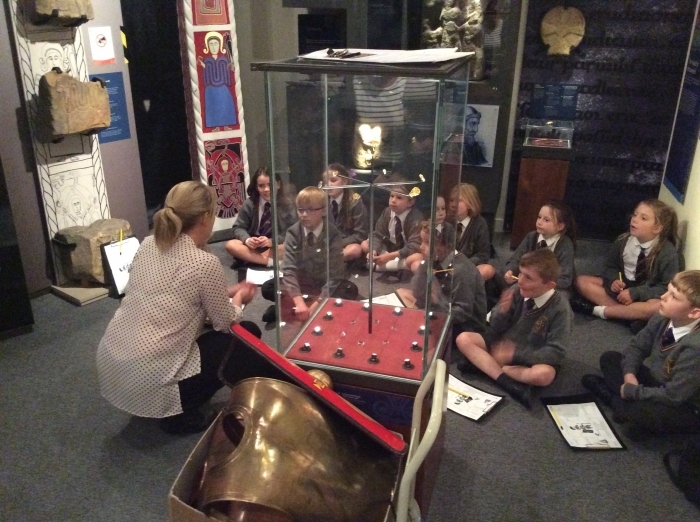 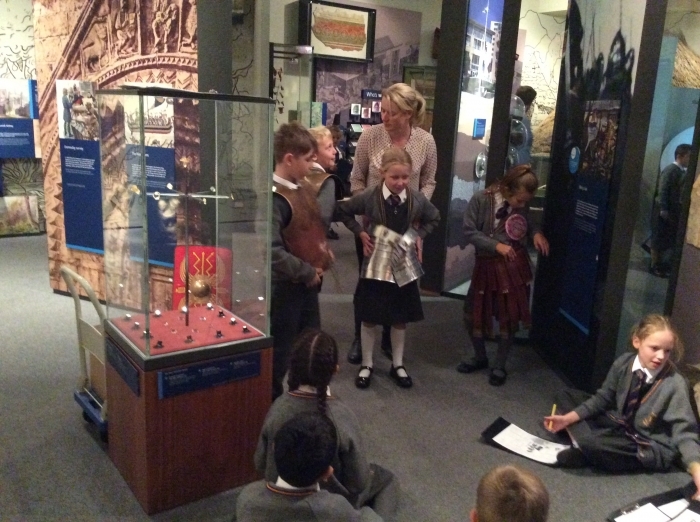 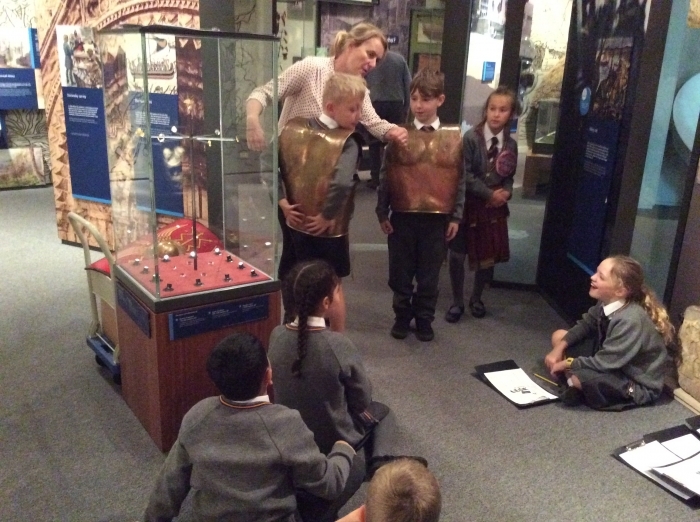 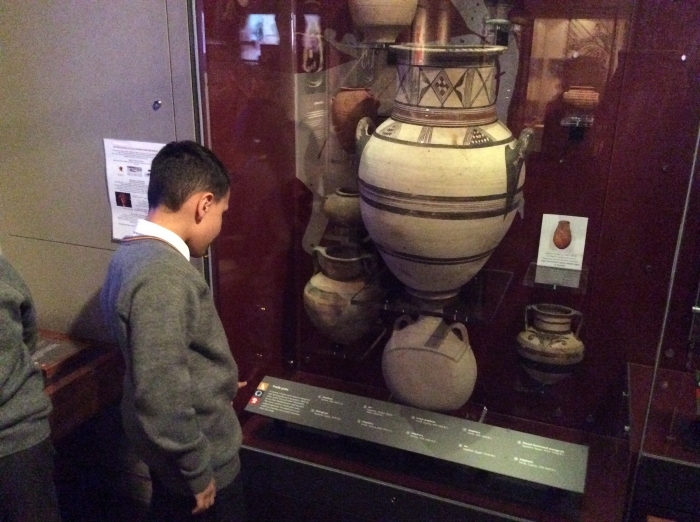 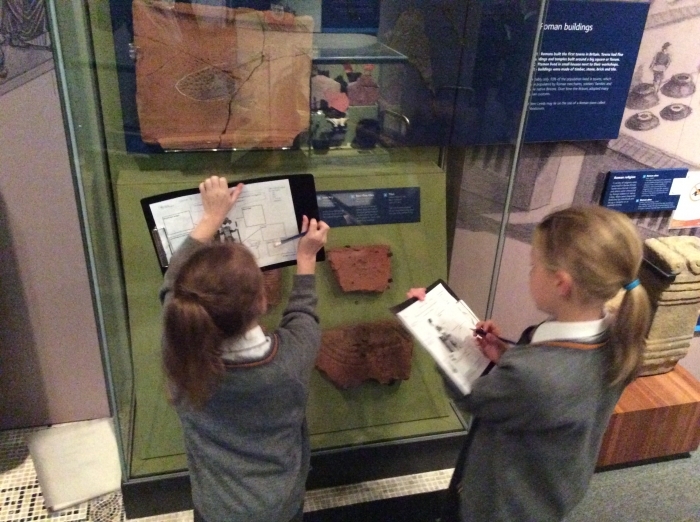 Year 4 had a great day at The Leeds Museum finding out all about Romans.